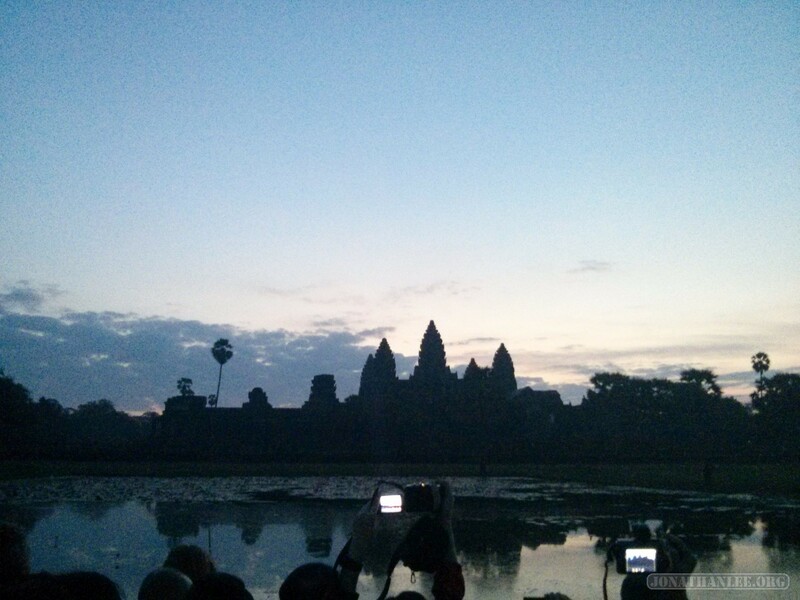 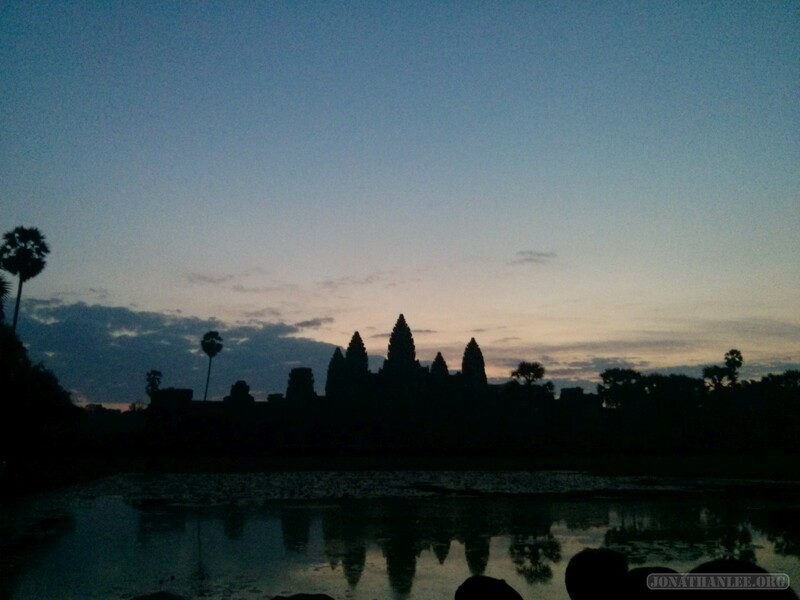 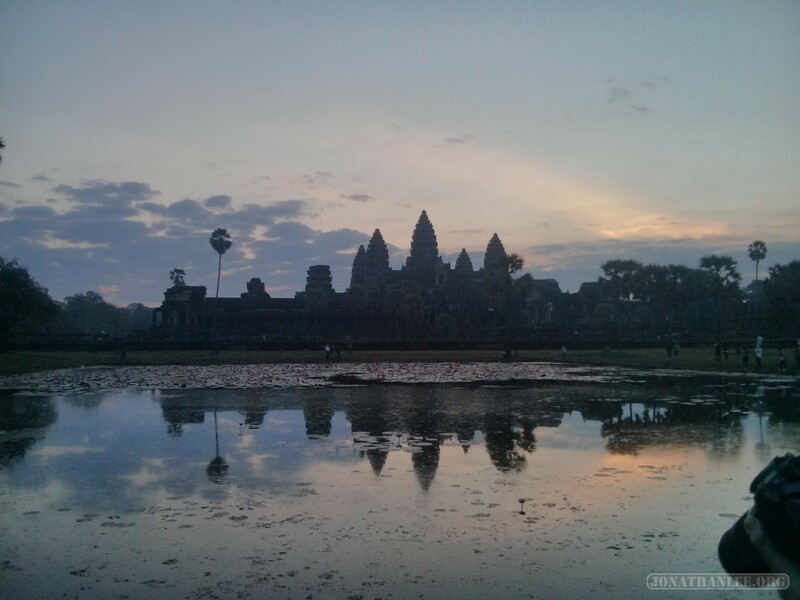 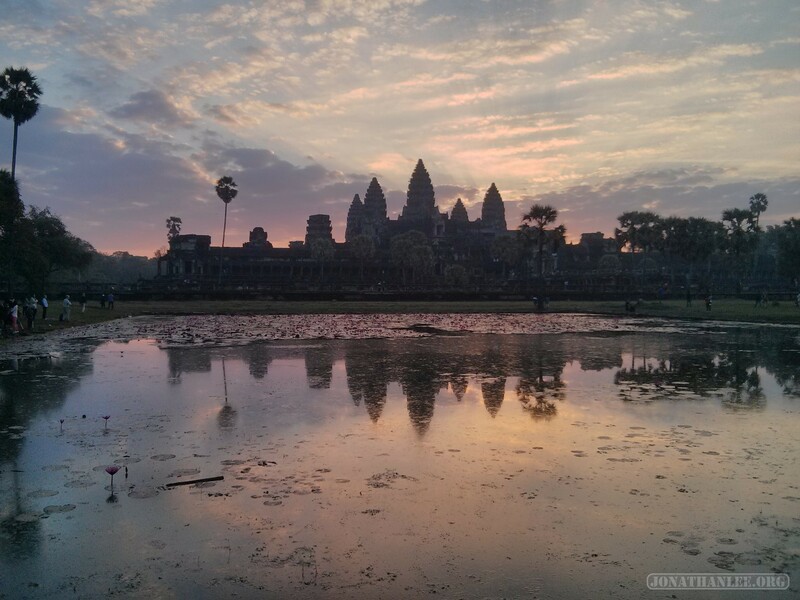 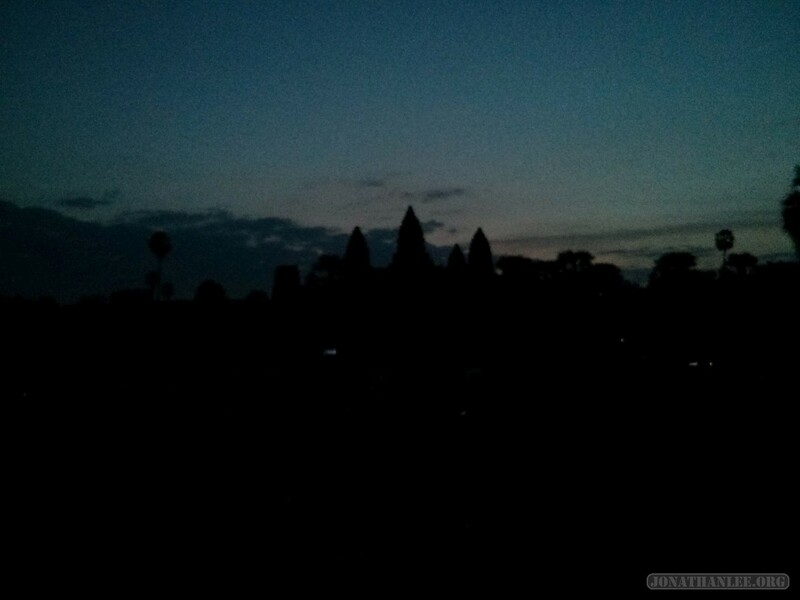 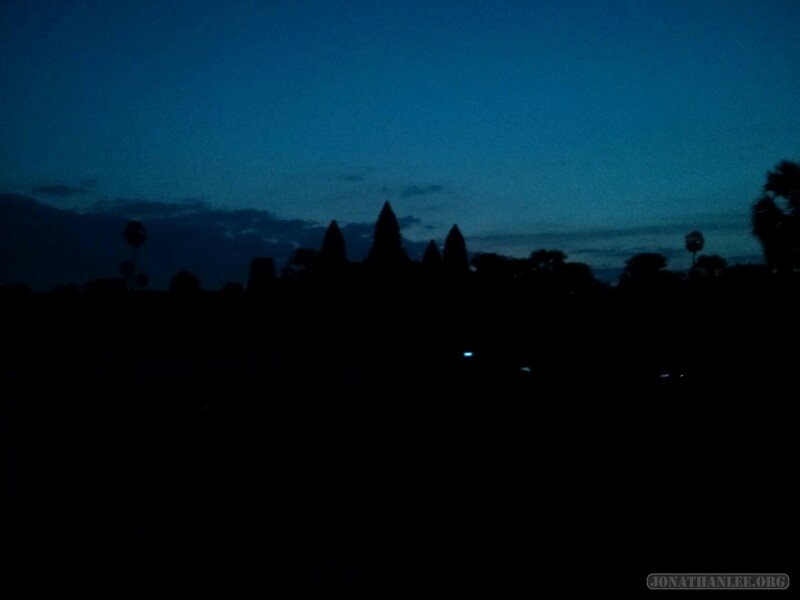 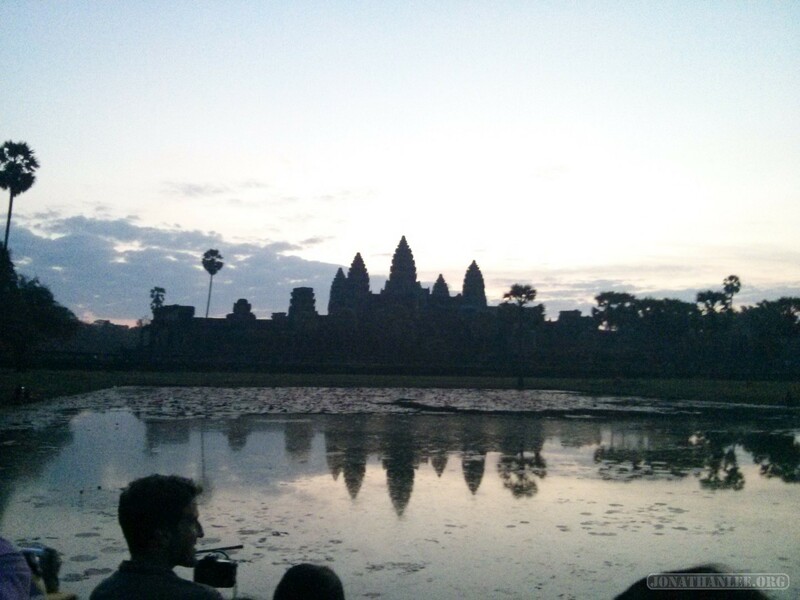 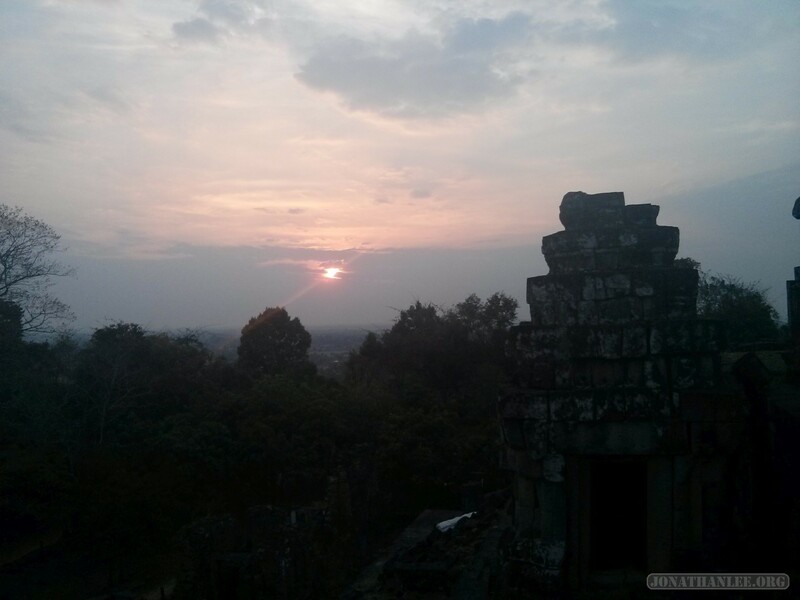 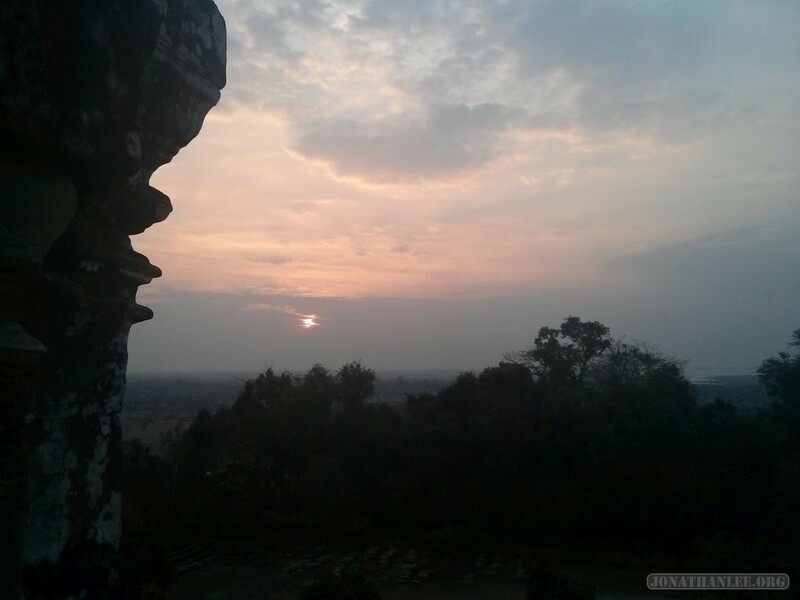 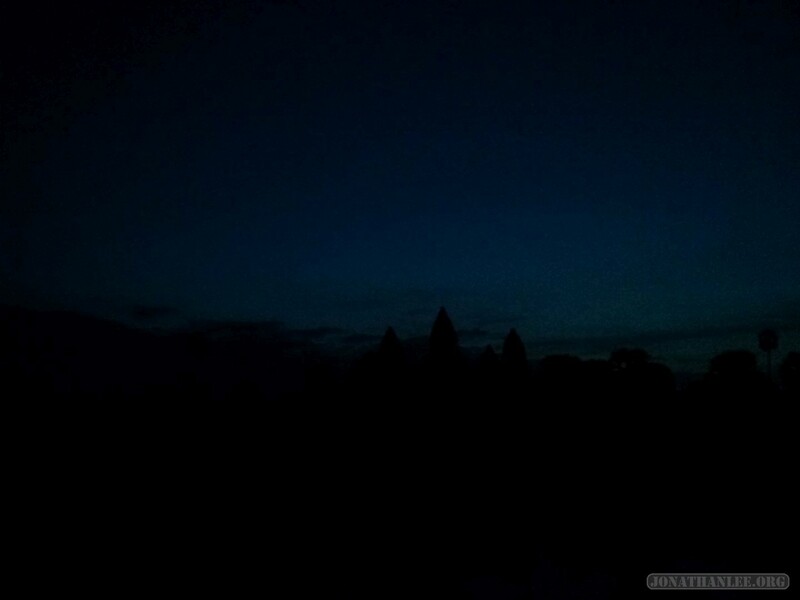 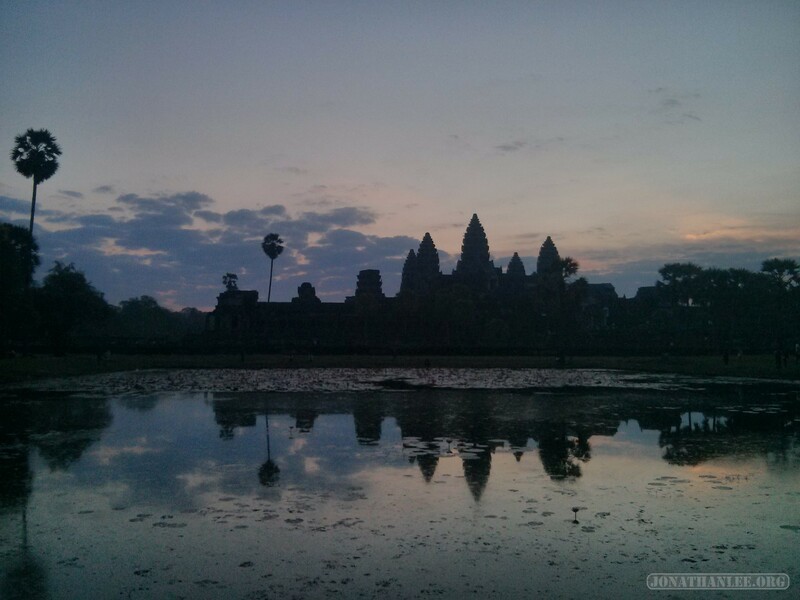 To watch the sunrise over Angkor Wat, we (me + 3 other crazy people I looped into this) woke up at 4 AM, chartered a tuktuk for the day, and set off! 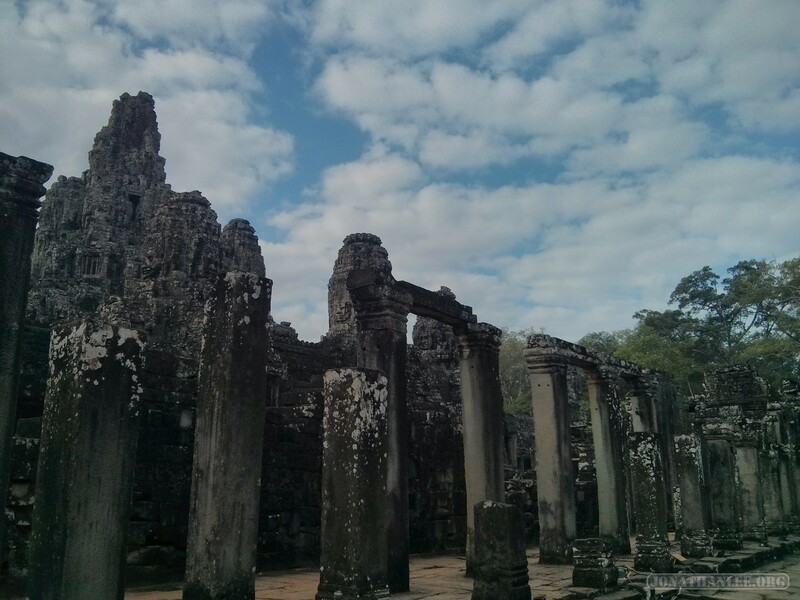 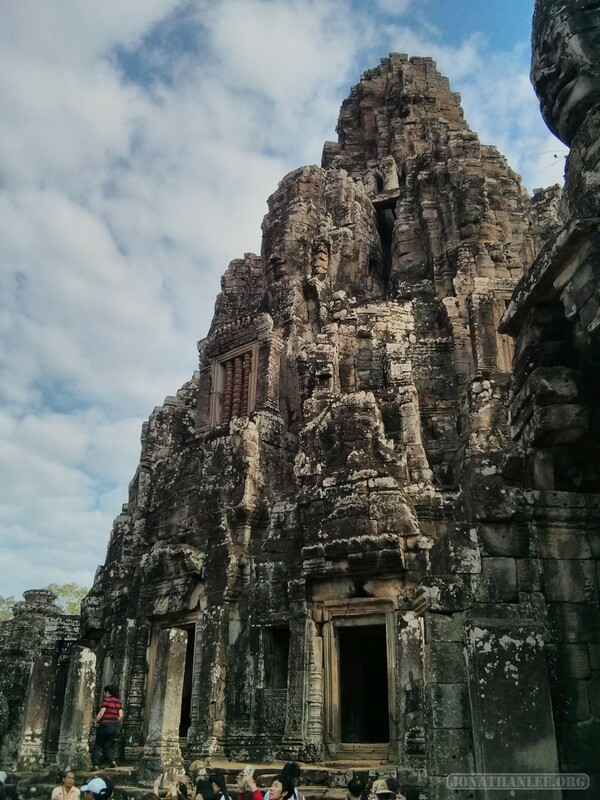 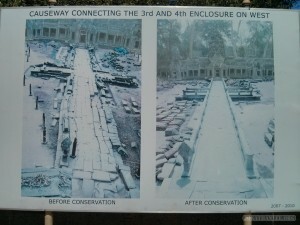 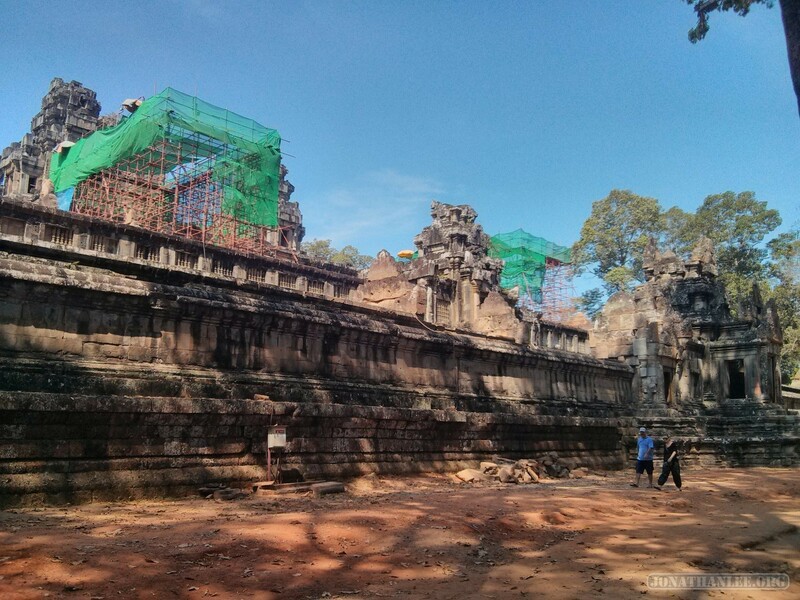 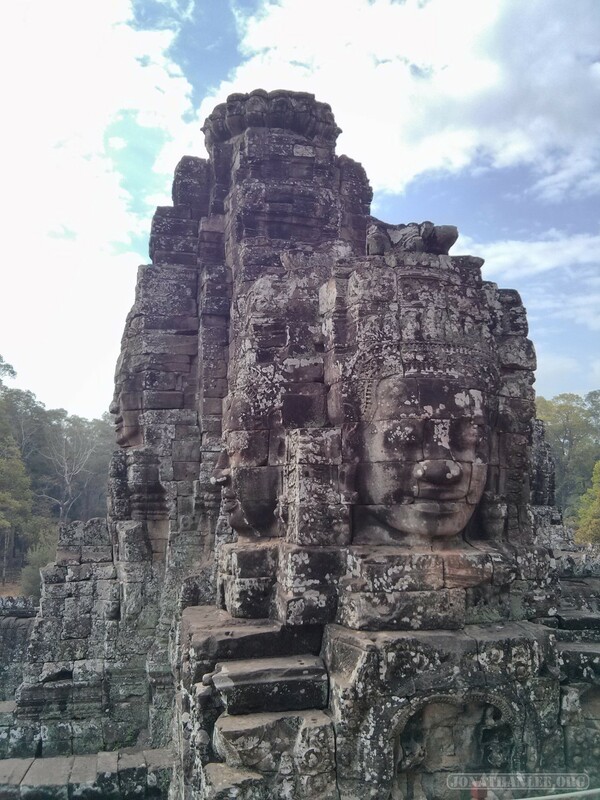 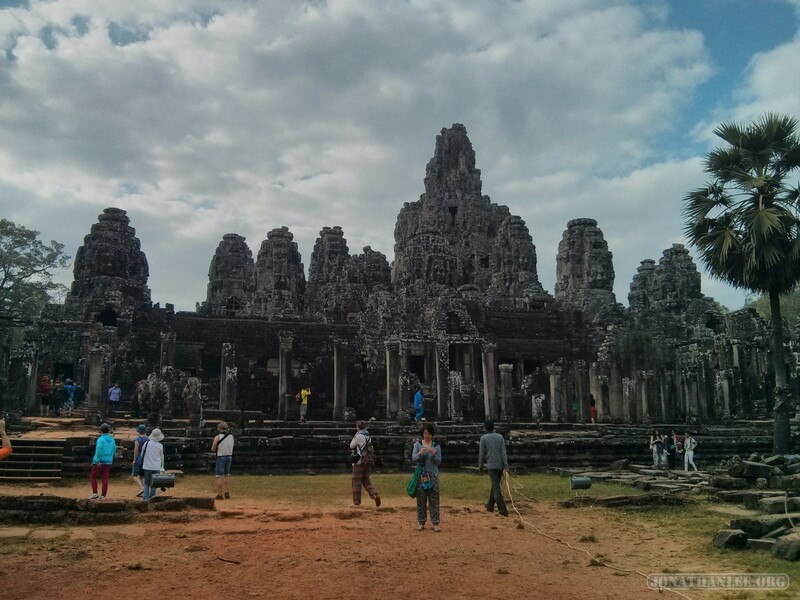 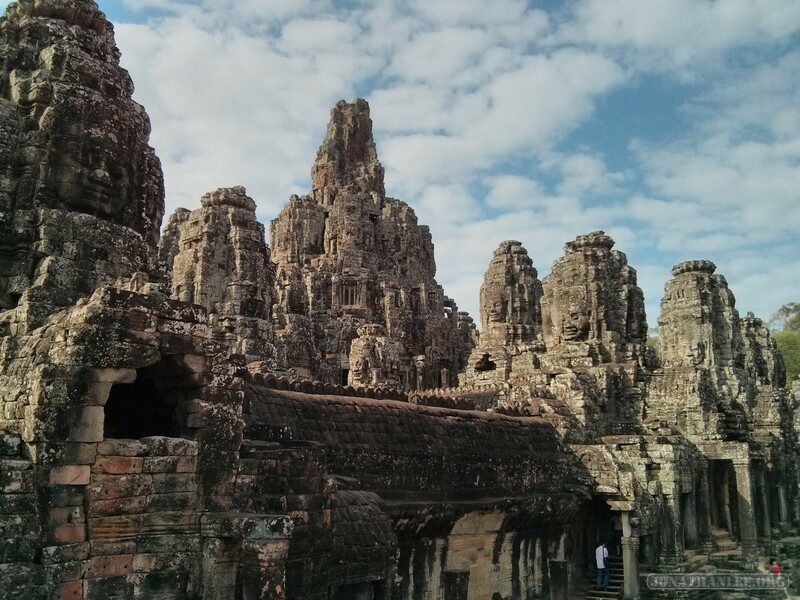 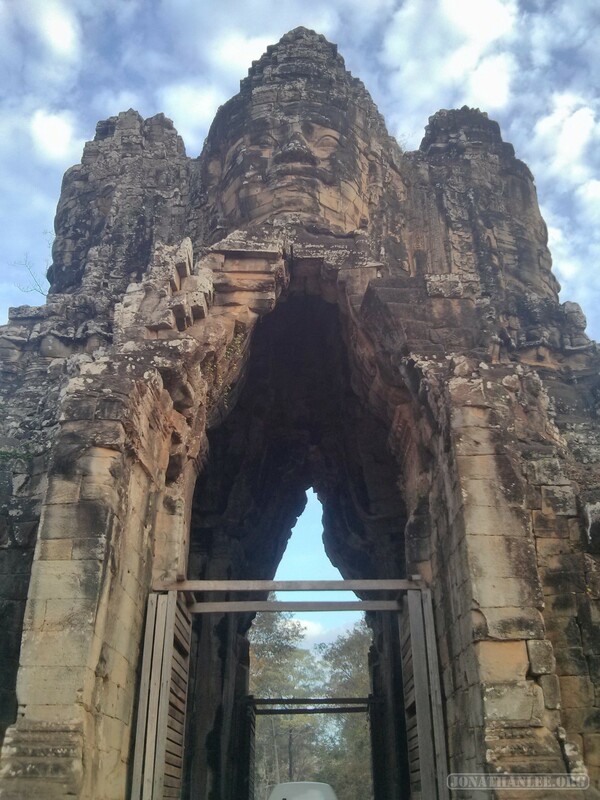 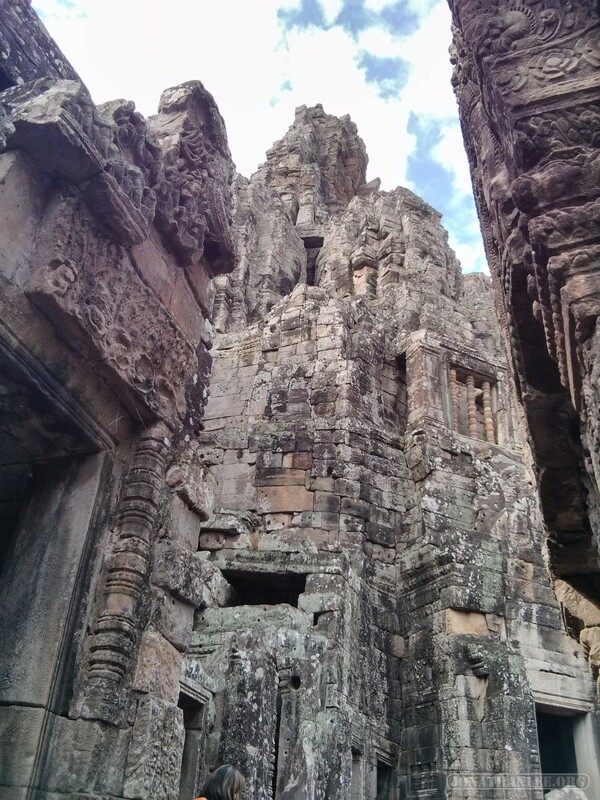 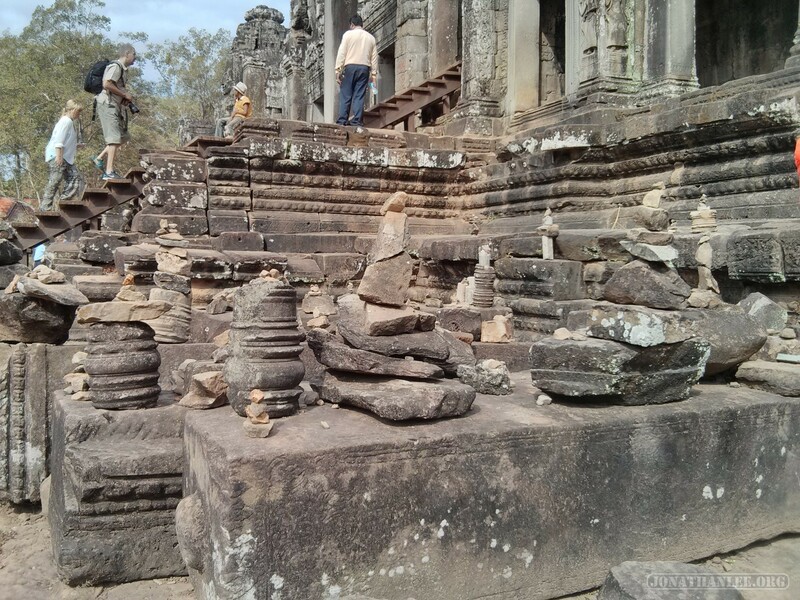 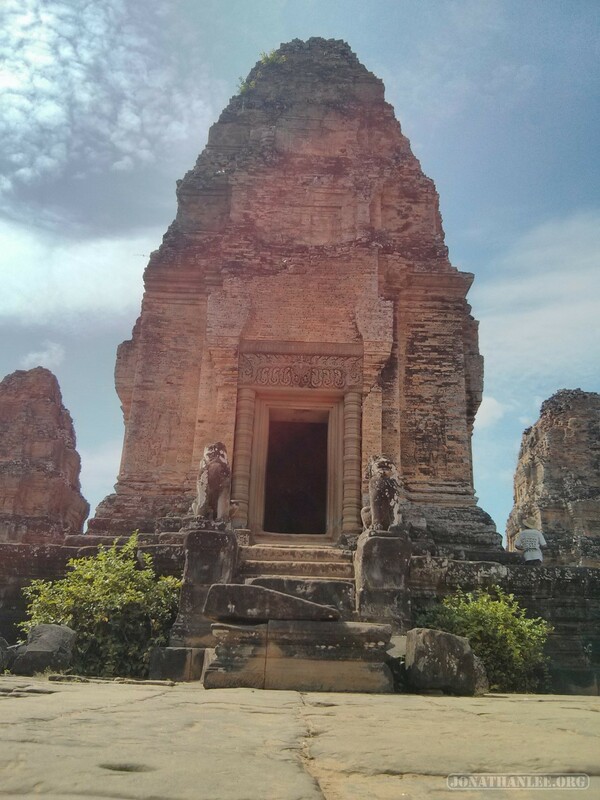 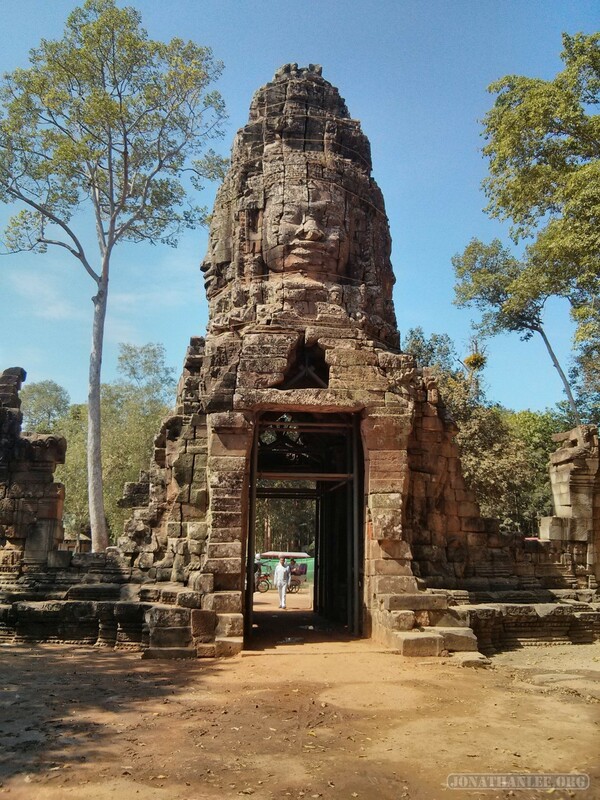 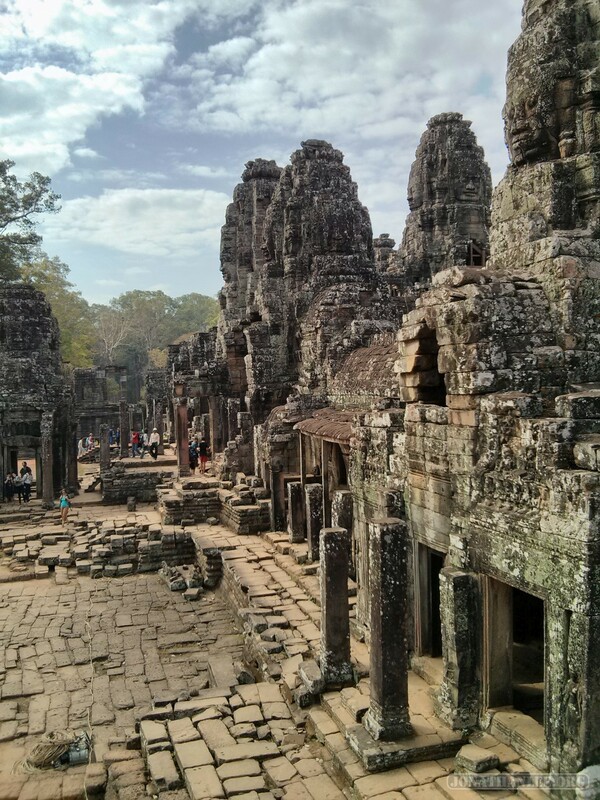 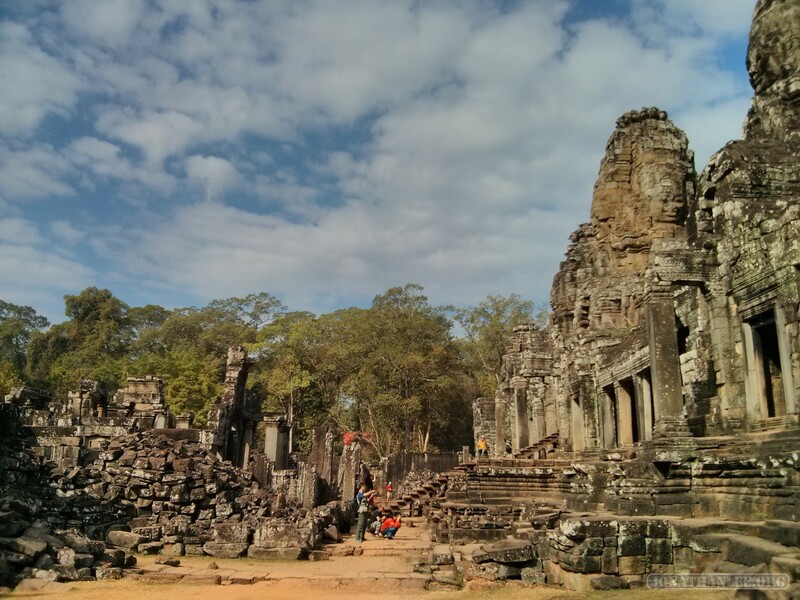 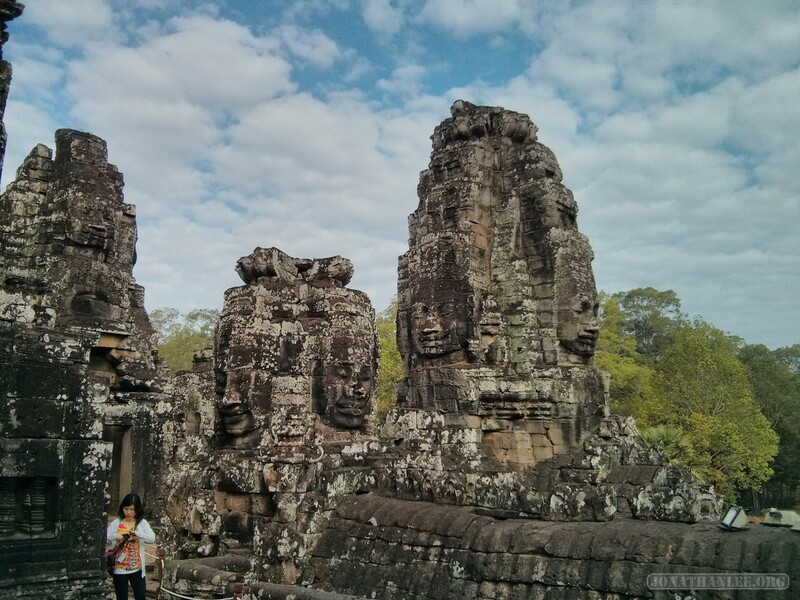 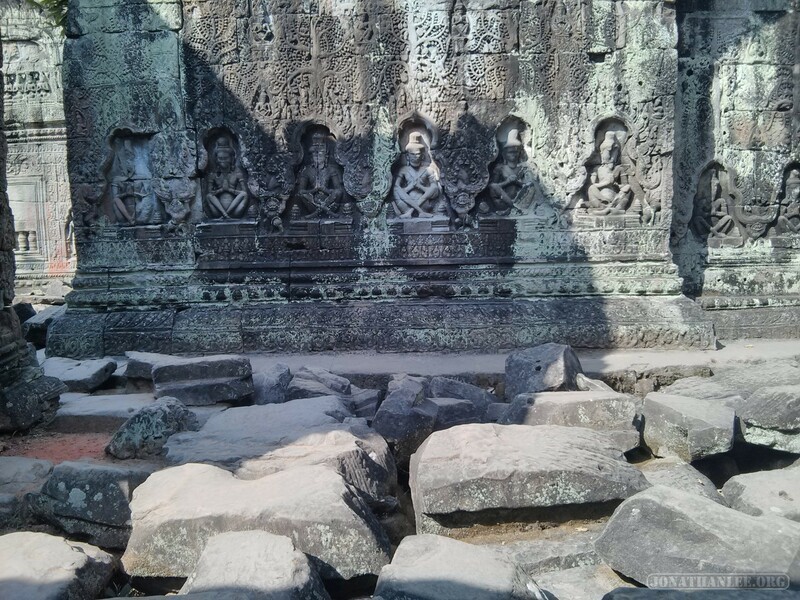 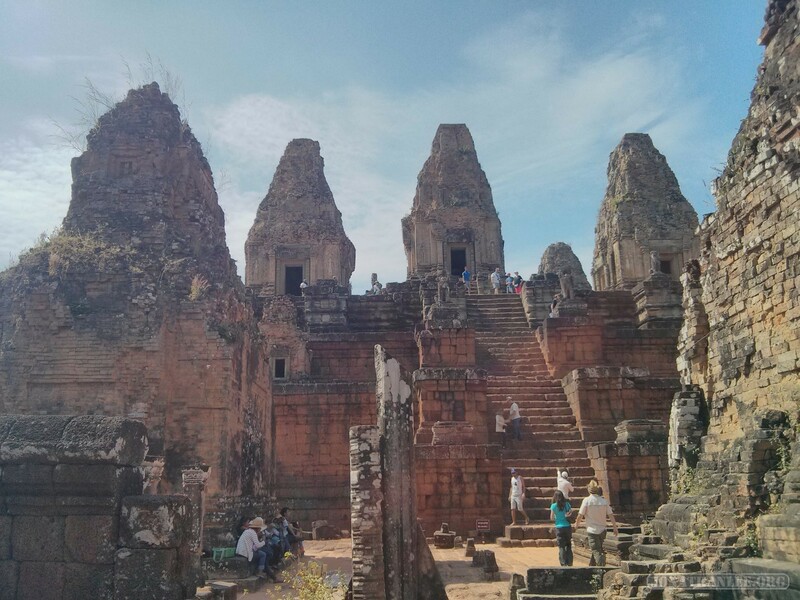 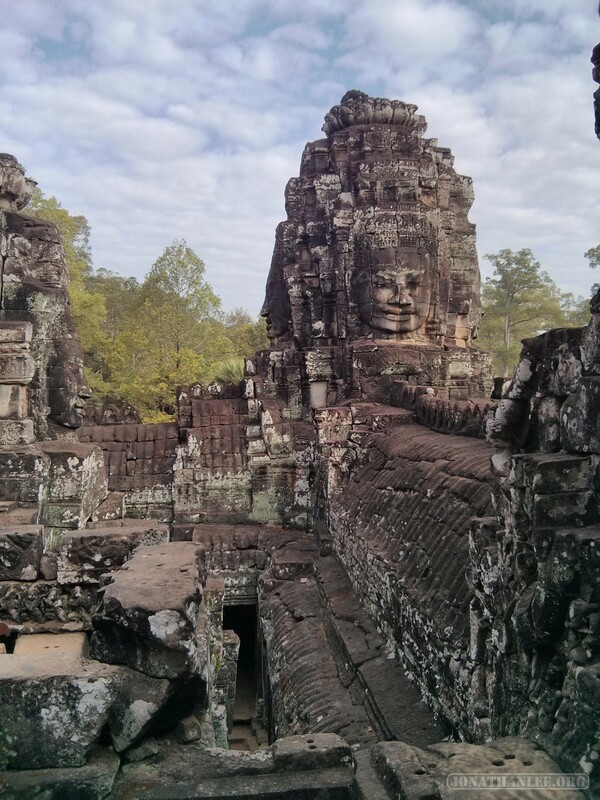 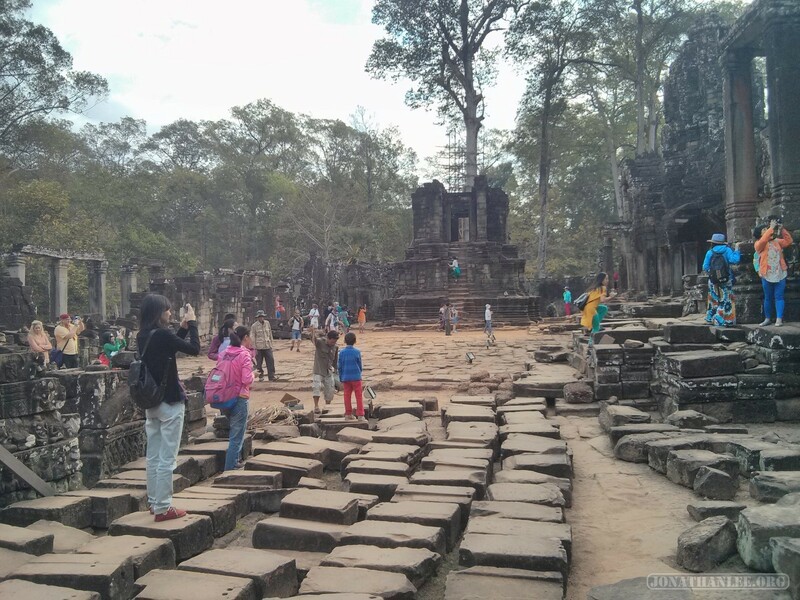 Notable of Bayon was the north Library, completely restored by the archaeological teams! 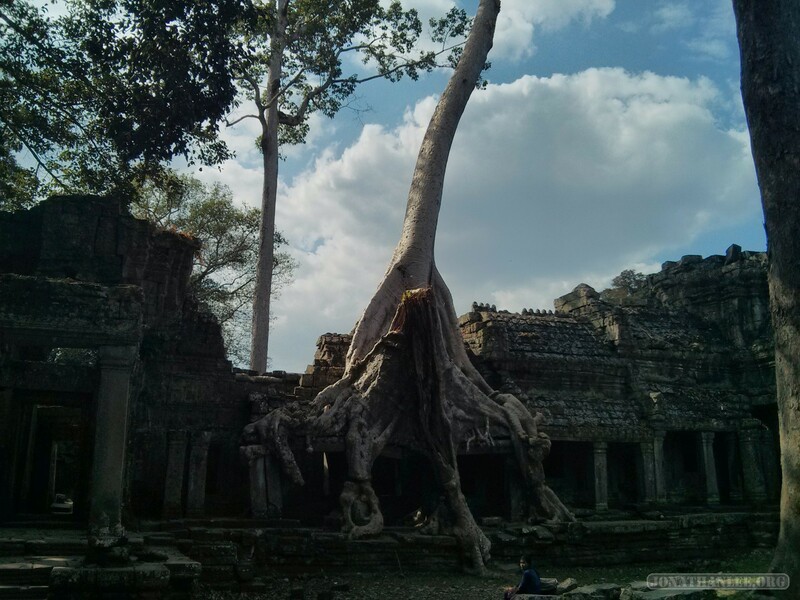 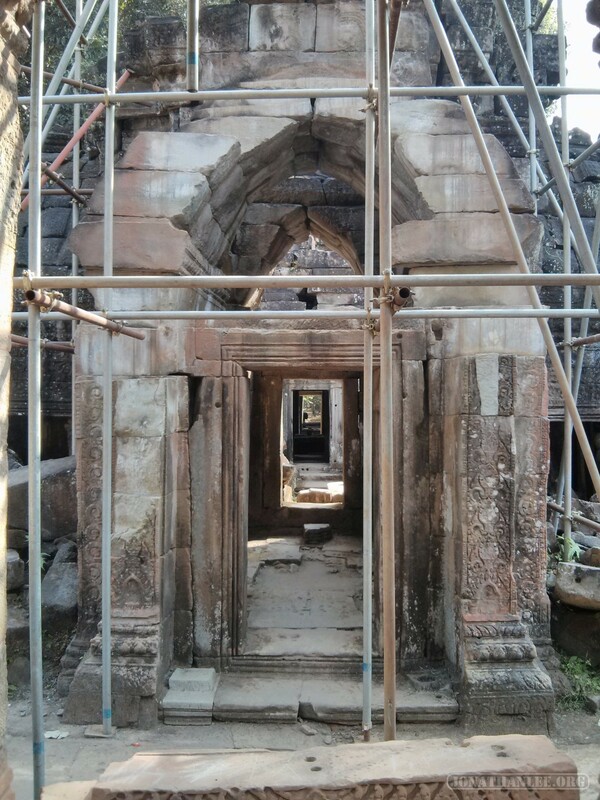 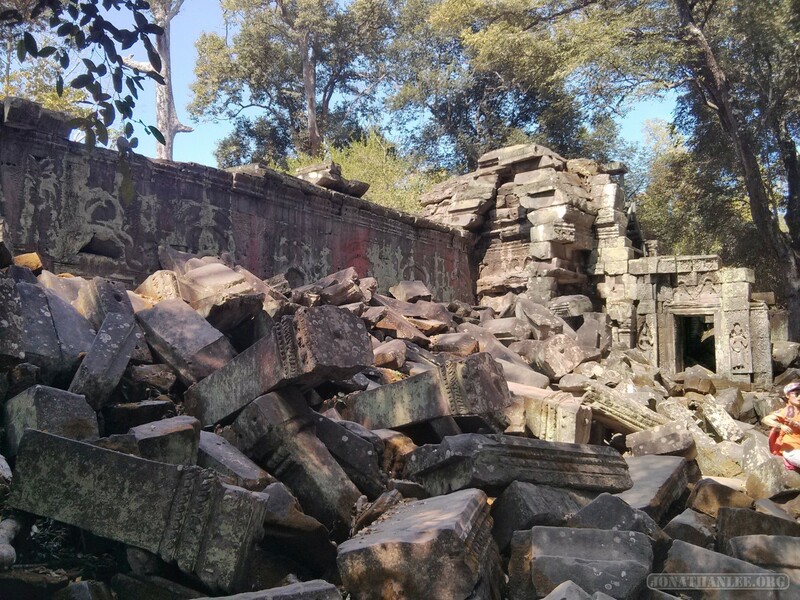 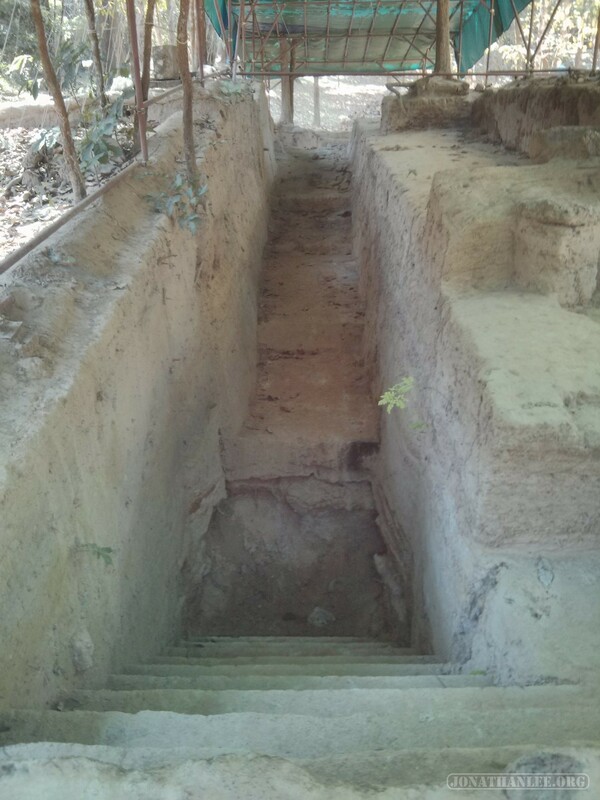 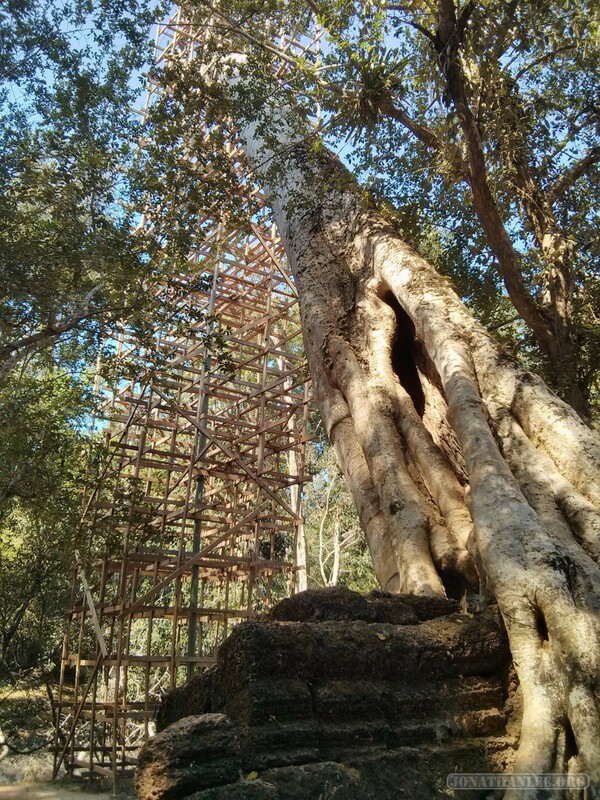 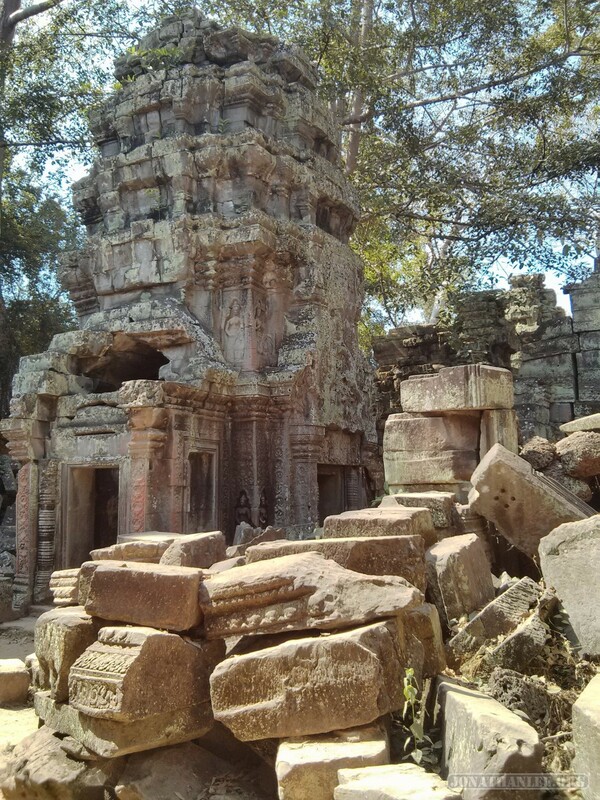 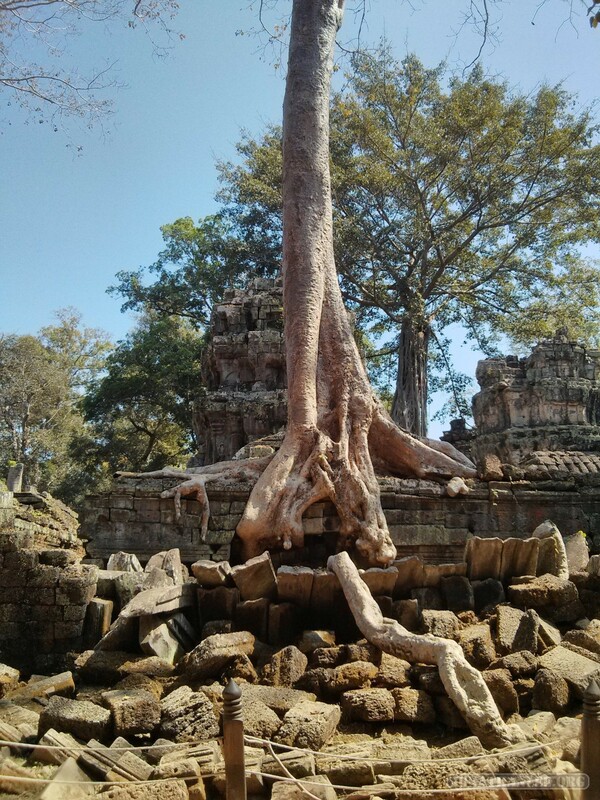 After Ta Prohm, I wondered, if this sort of thing happened to Ta Prohm, what’ll happy to this age’s iconic landmarks in another 500 years? Will the Statue of Liberty still be standing? Will it still be recognizable? 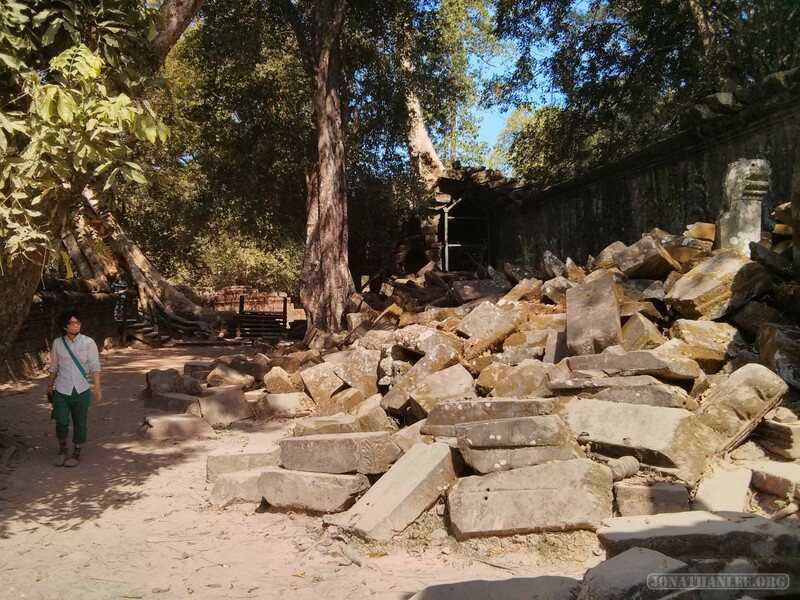 Will only parts of it still be around? 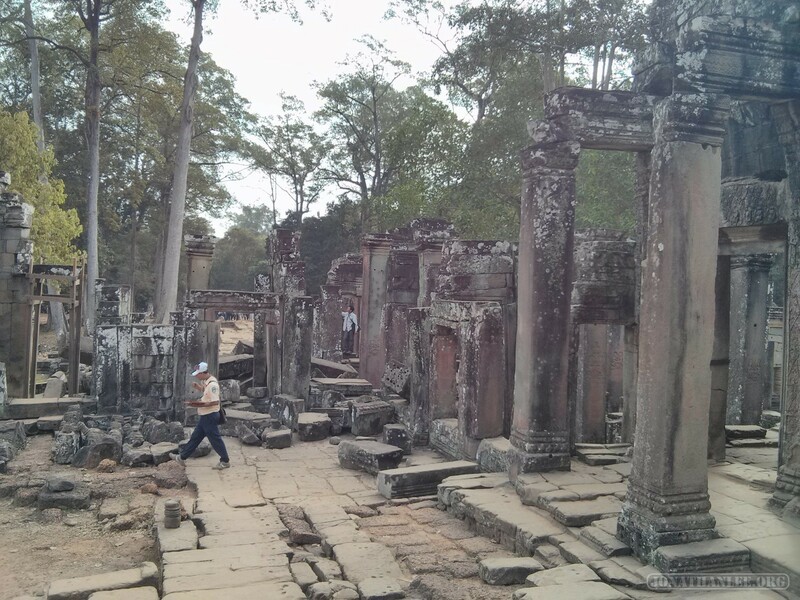 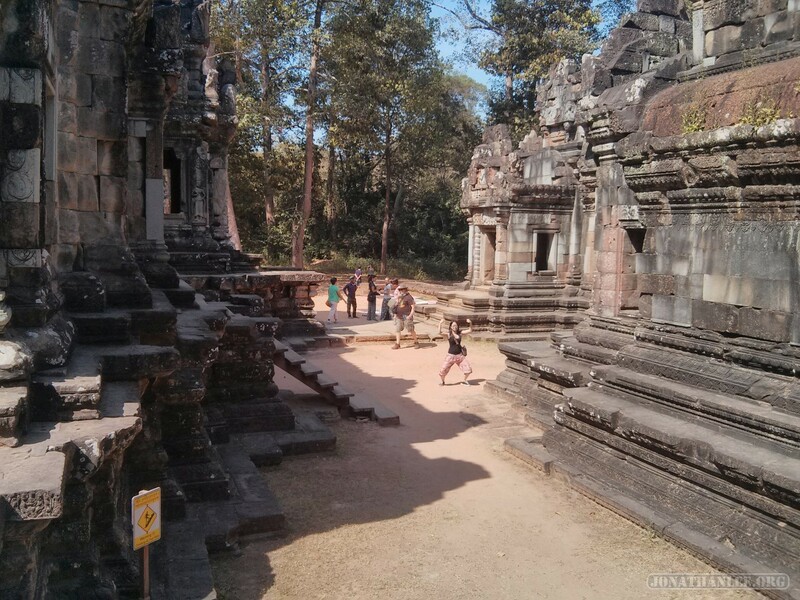 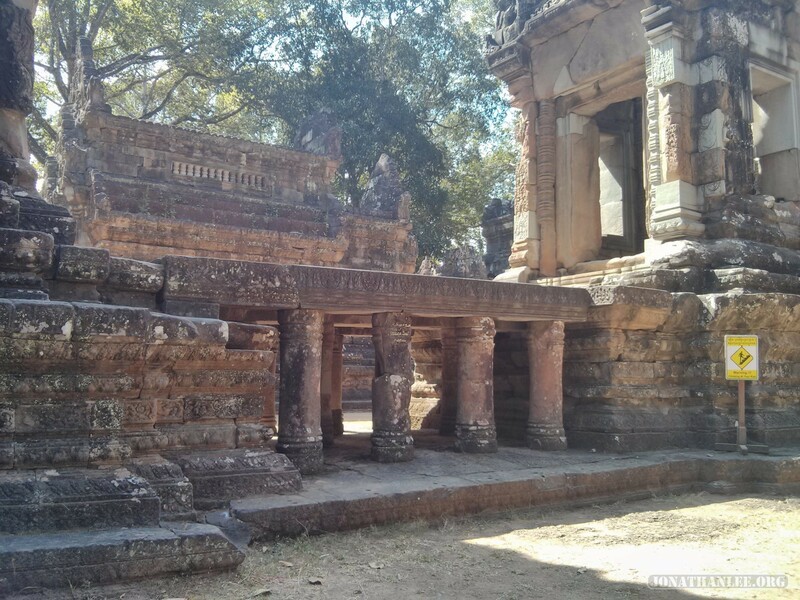 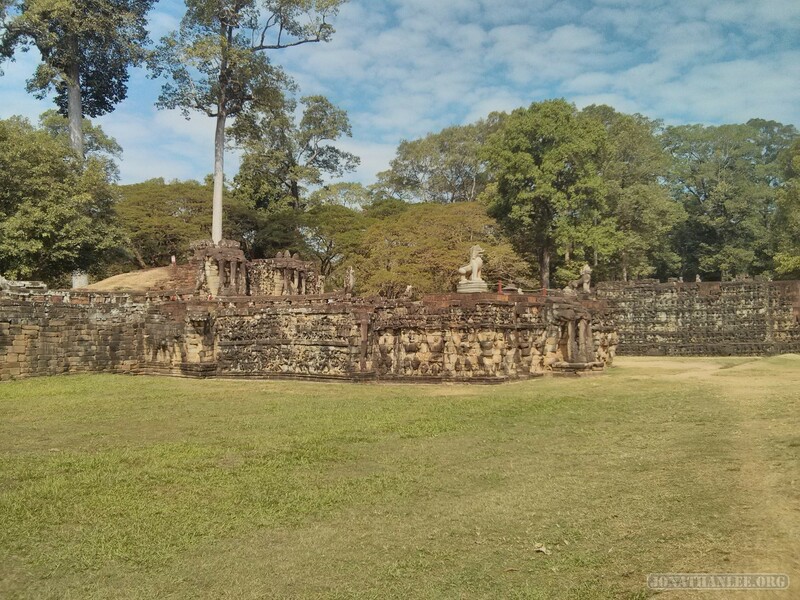 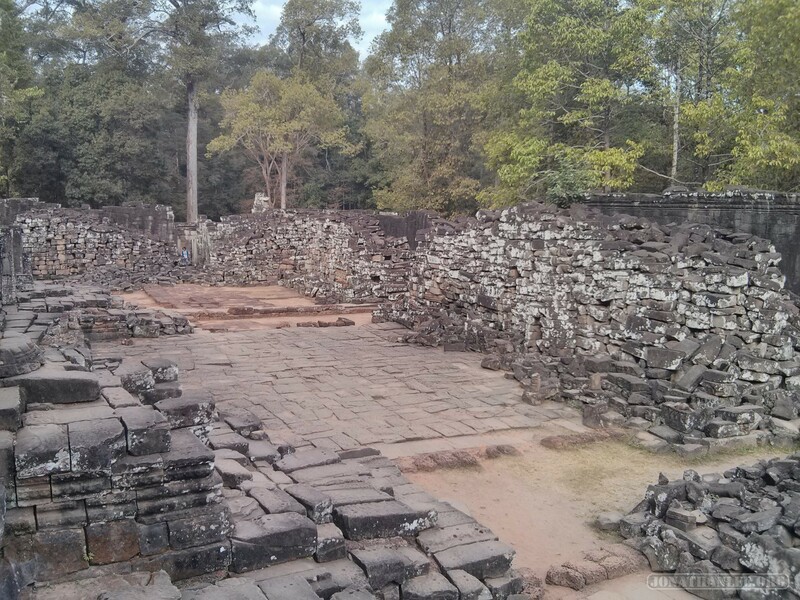 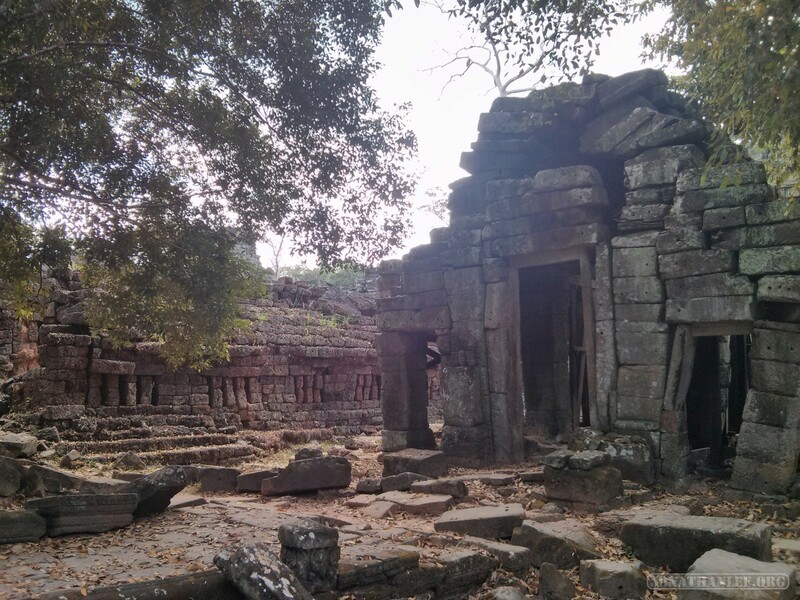 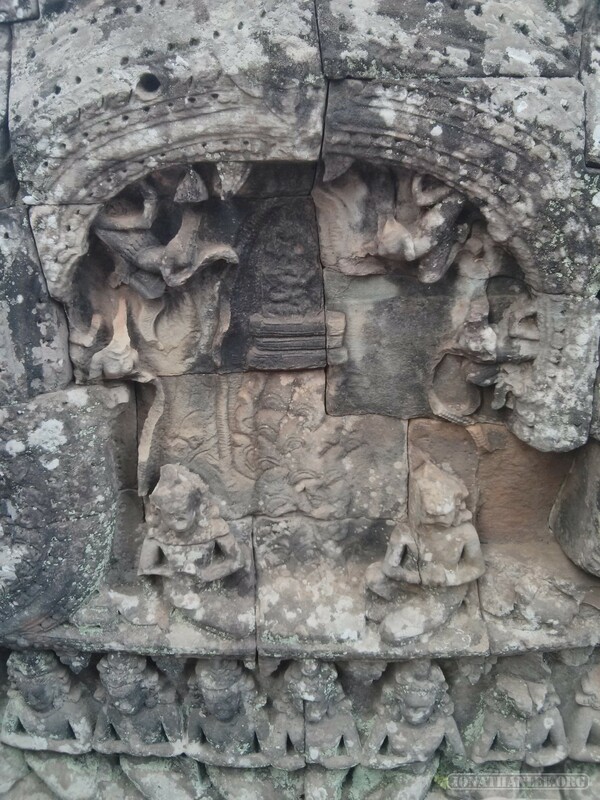 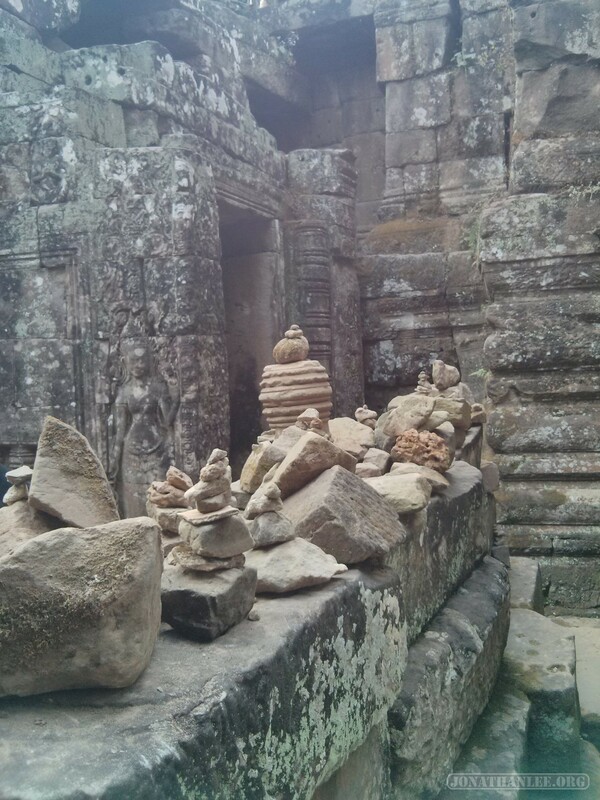 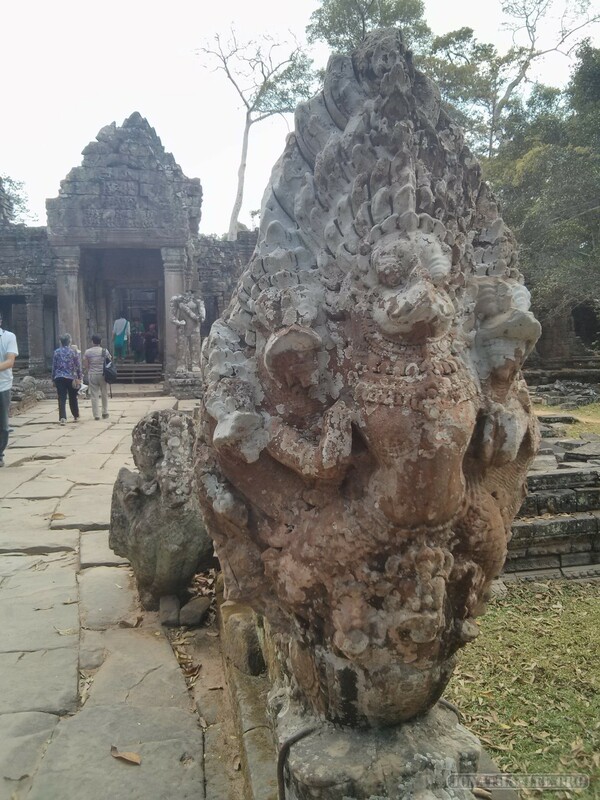 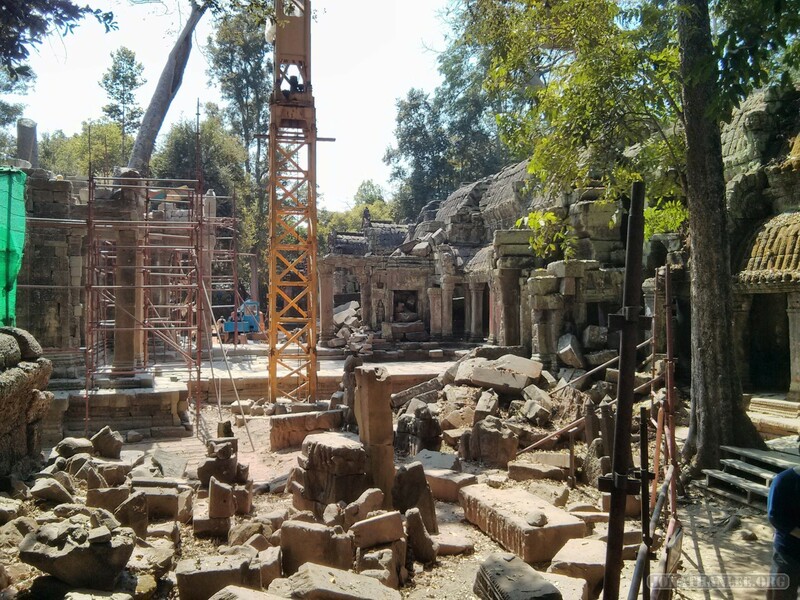 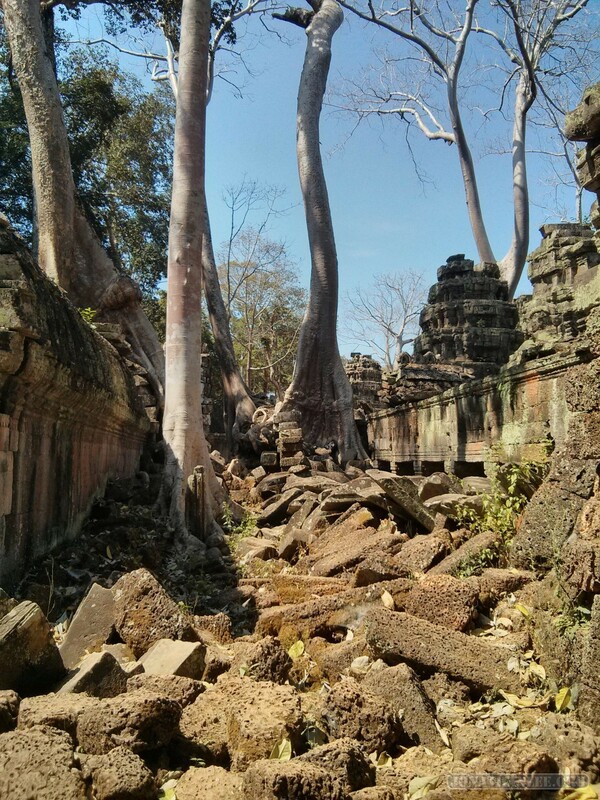 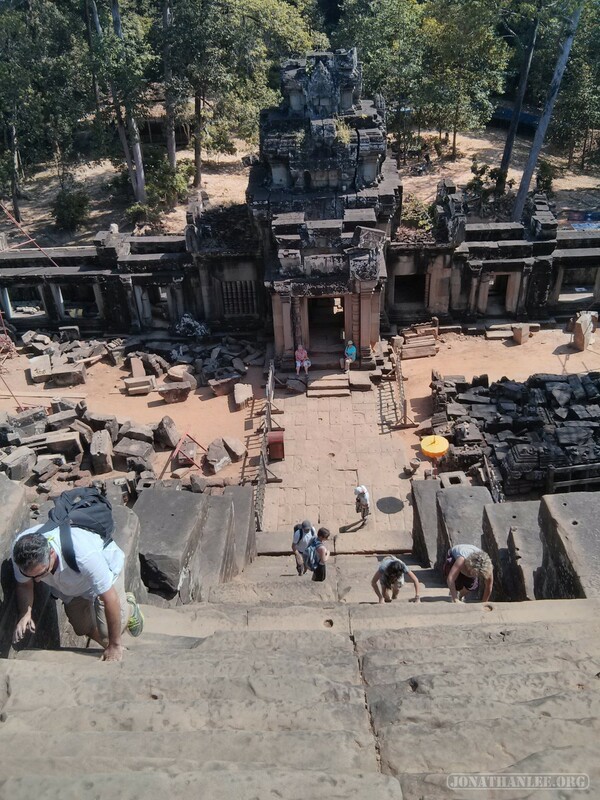 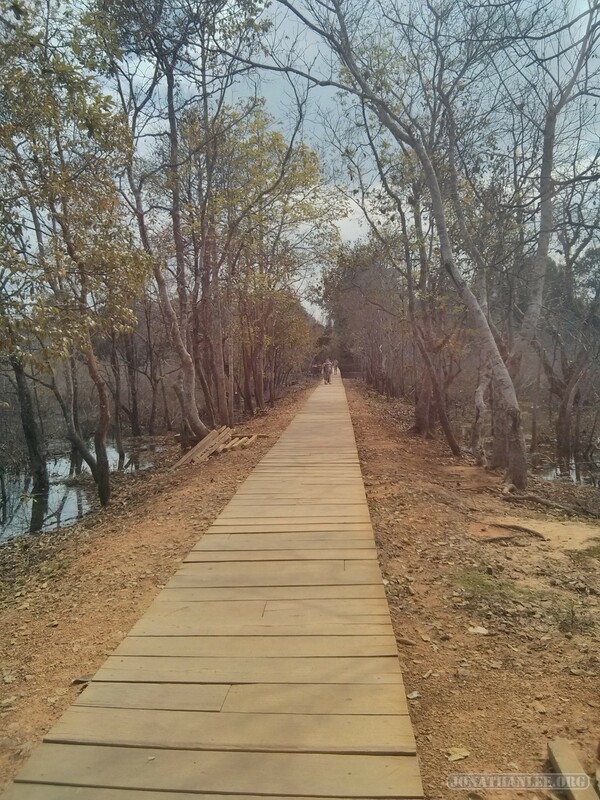 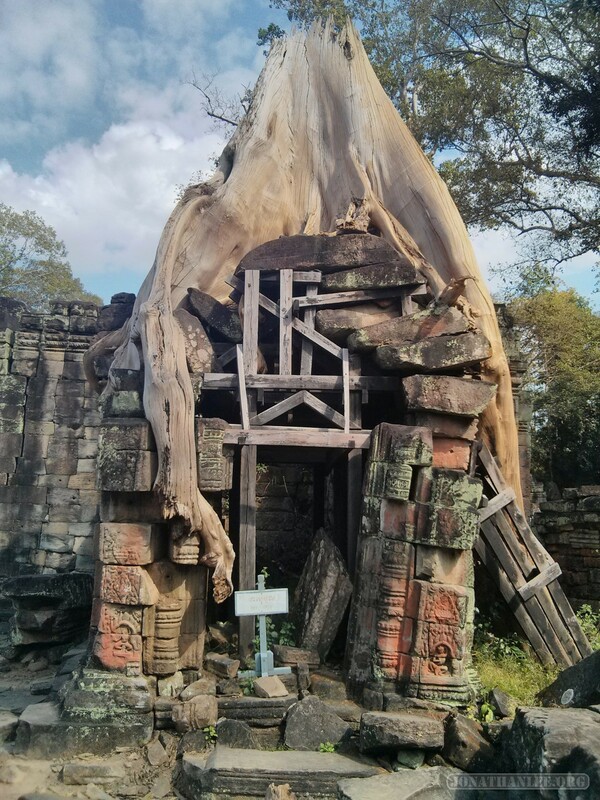 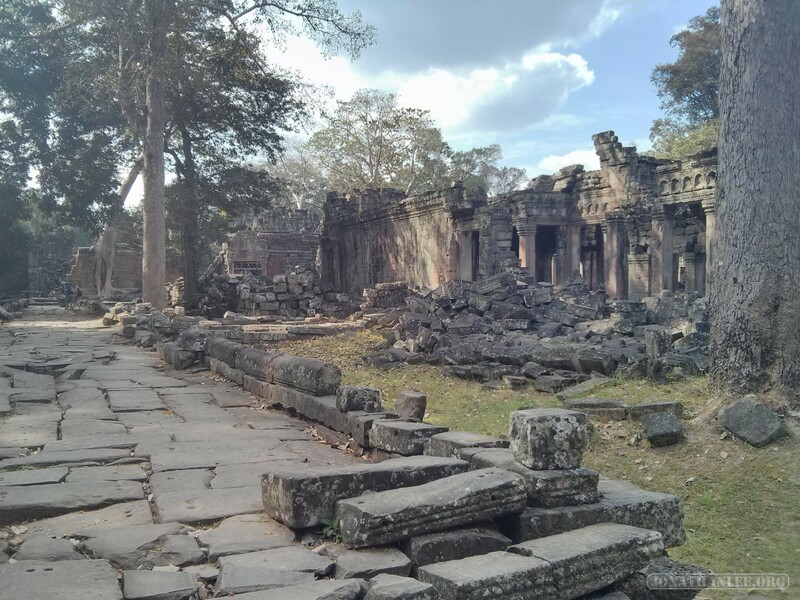 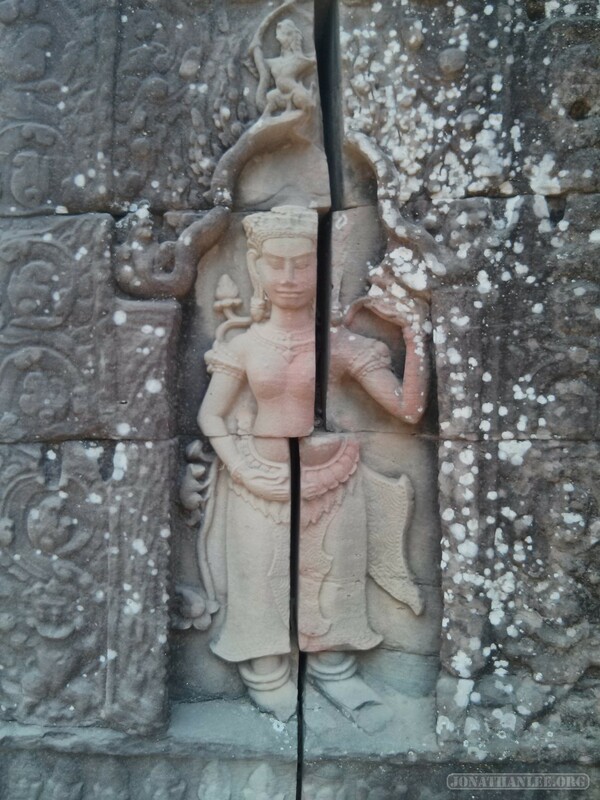 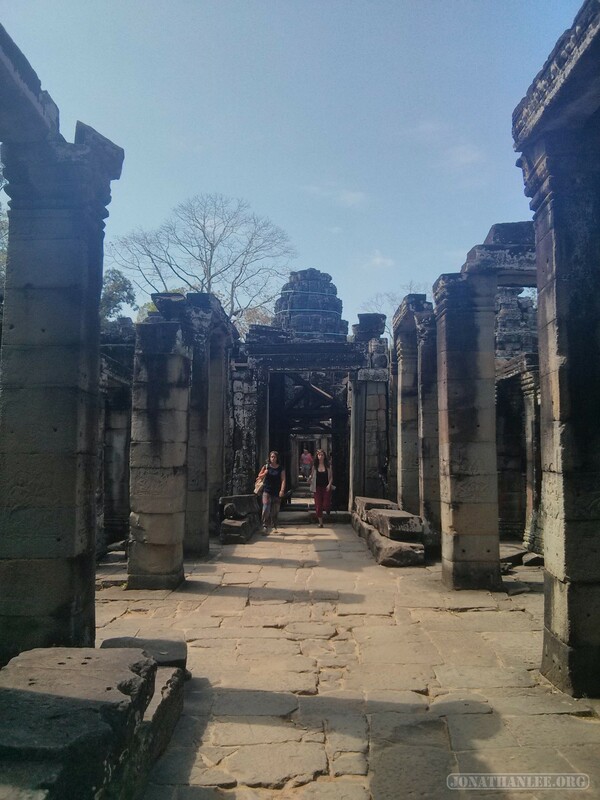 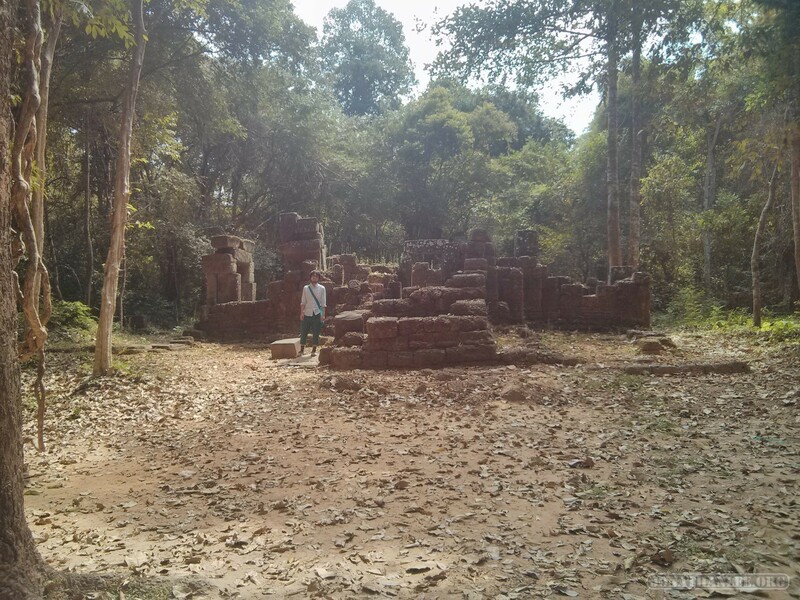 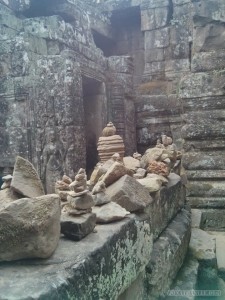 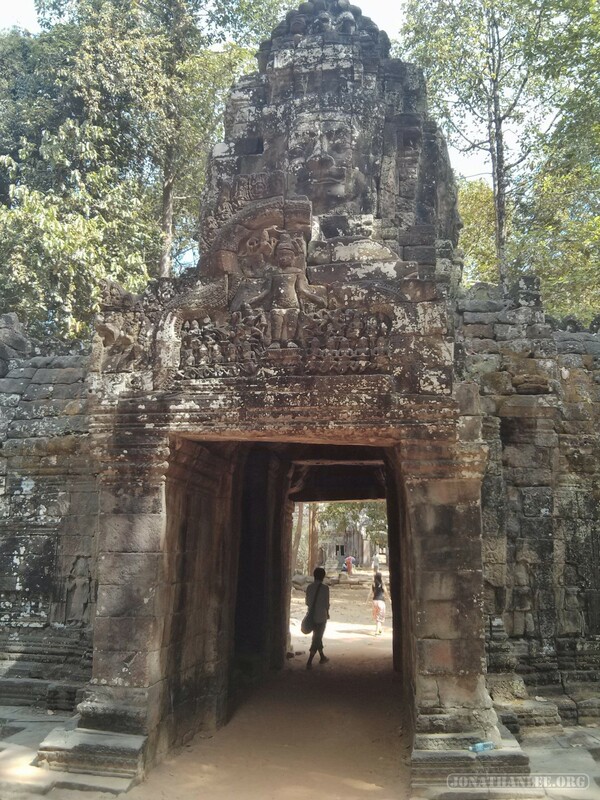 Preah Khan, it’s an absolute maze, and totally ruined. 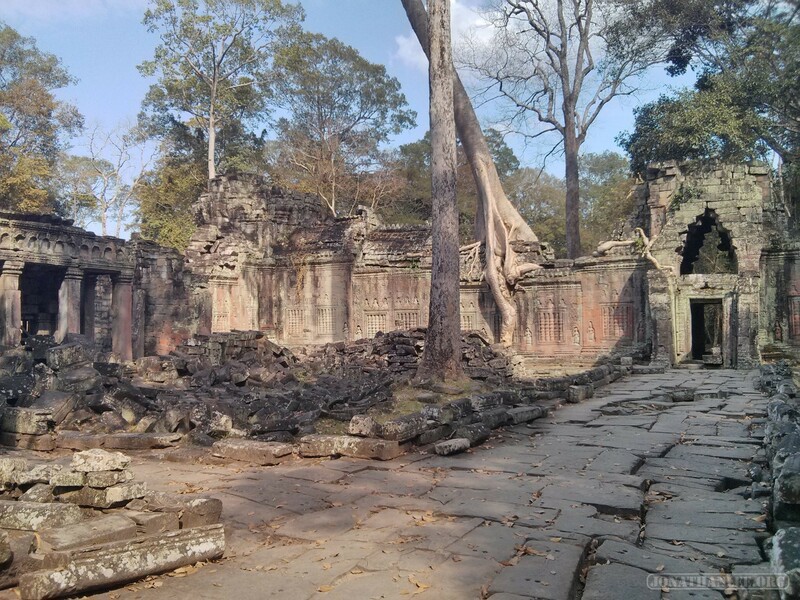 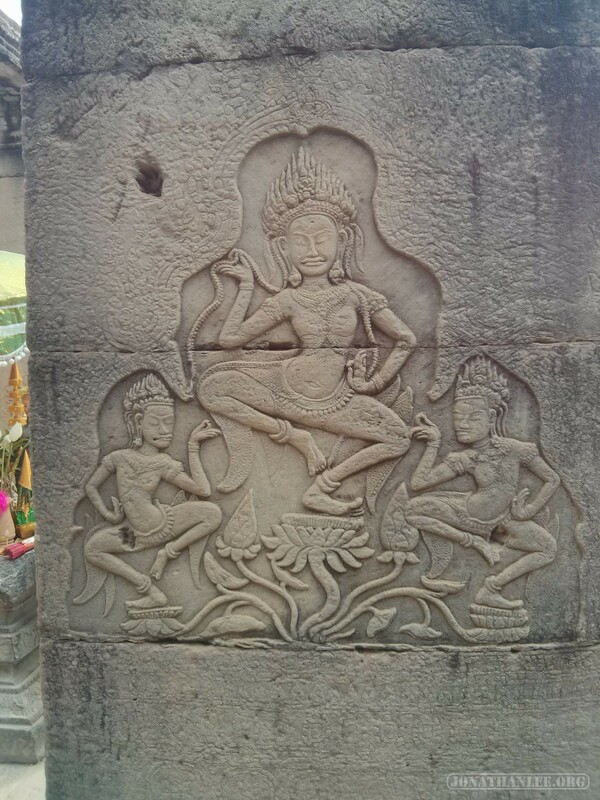 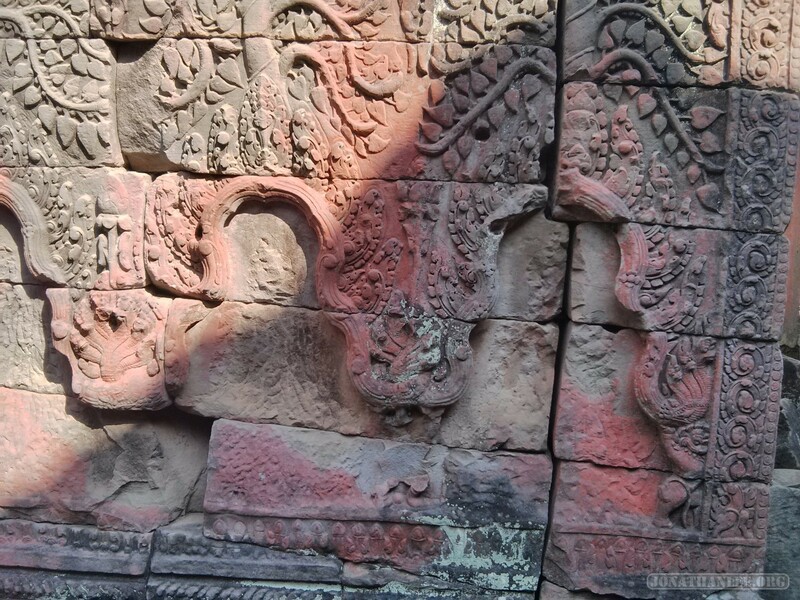 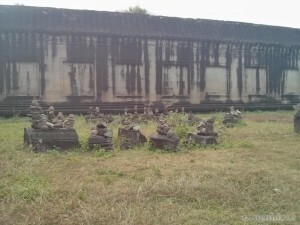 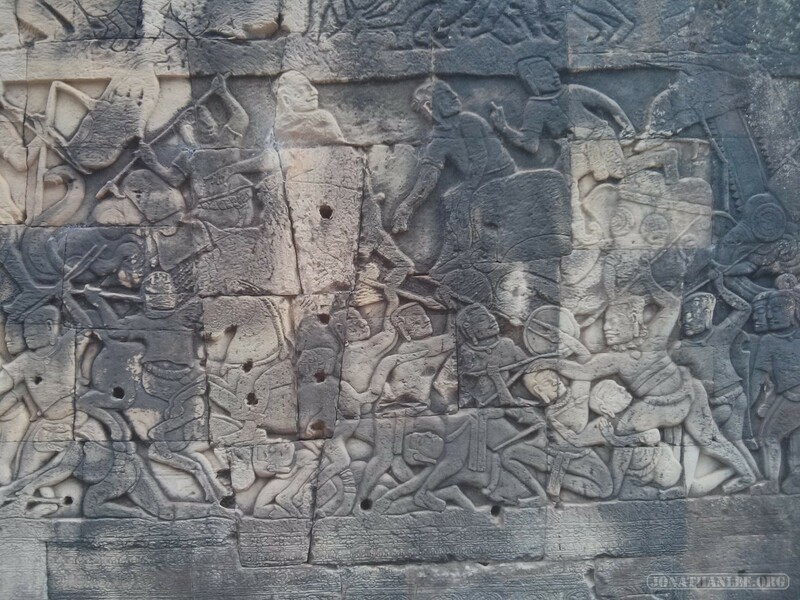 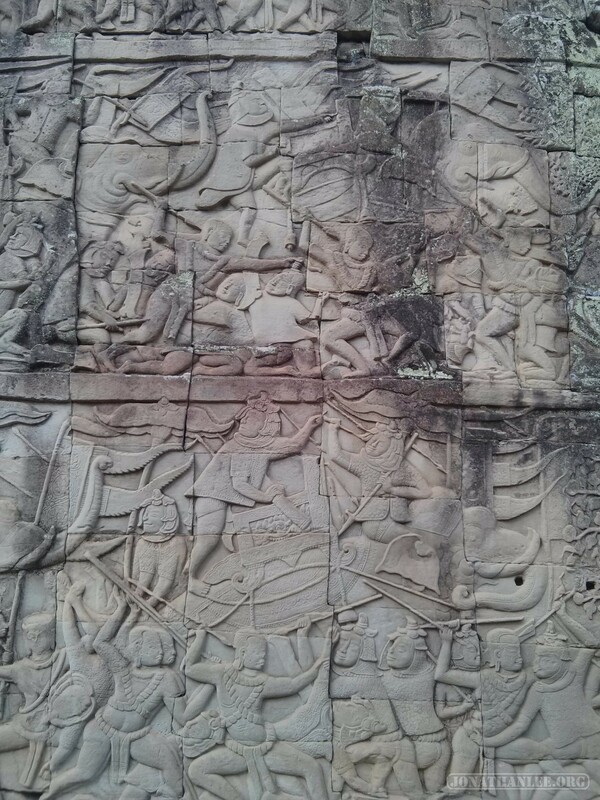 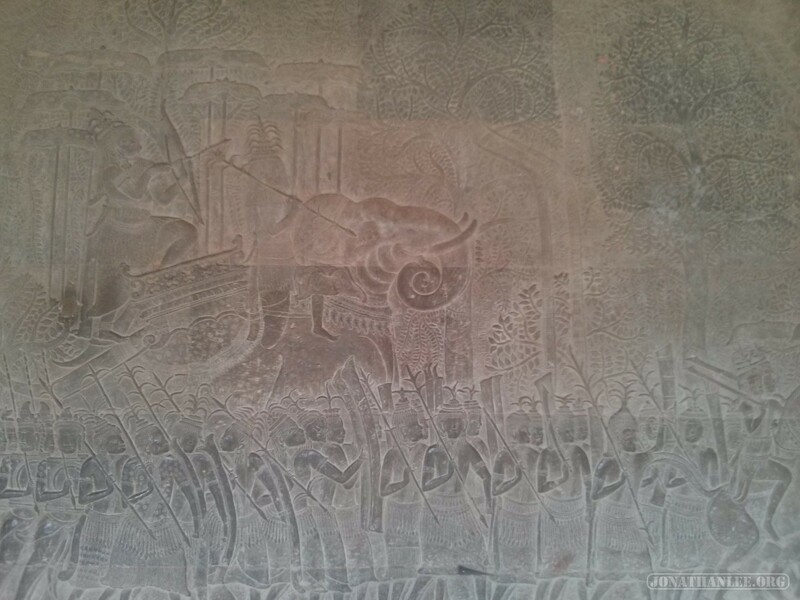 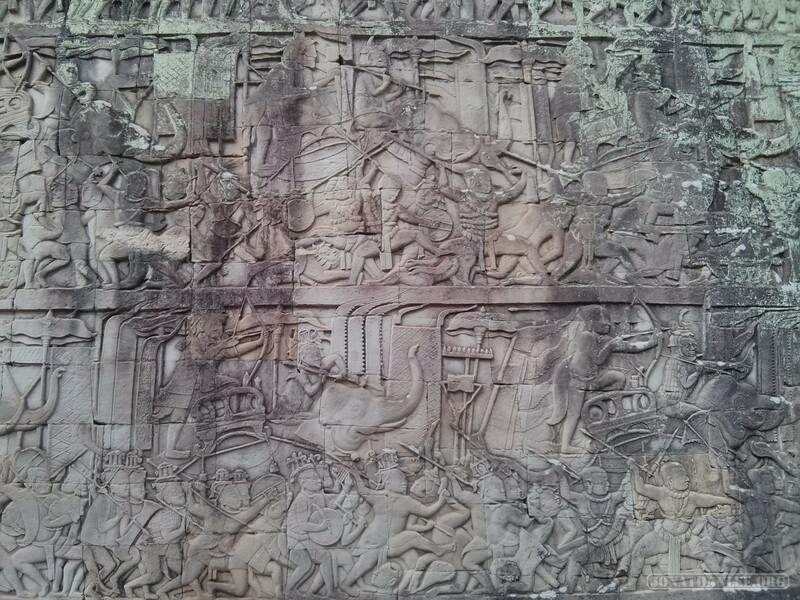 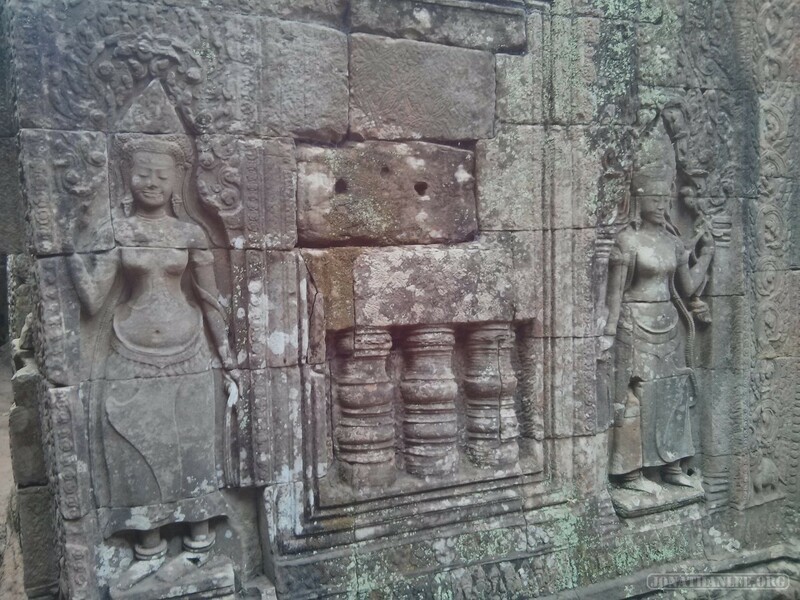 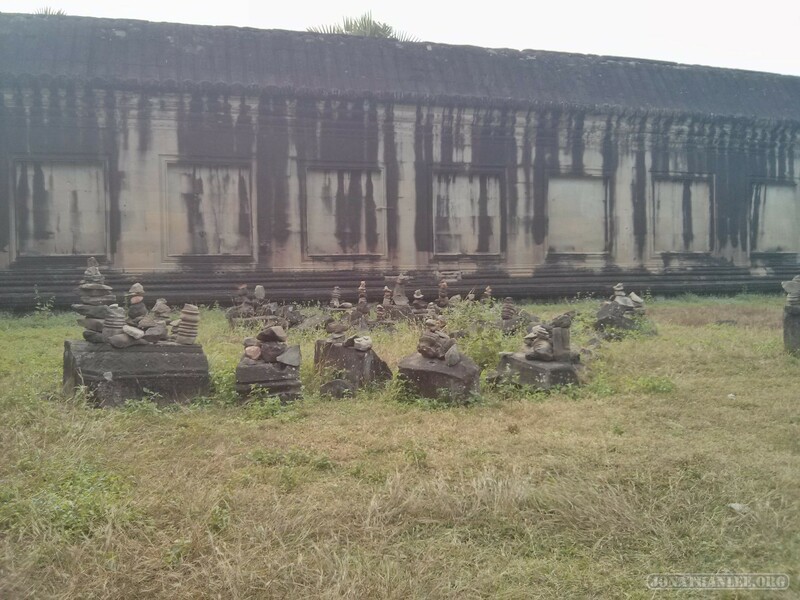 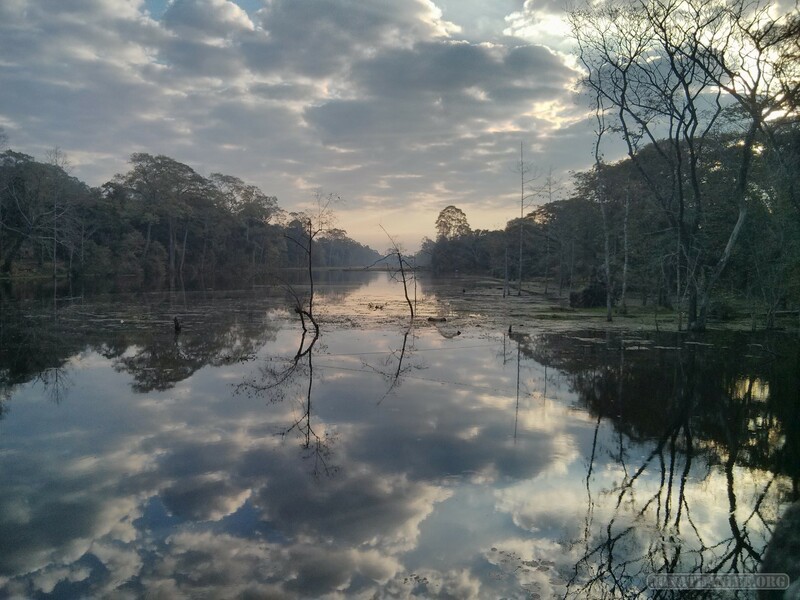 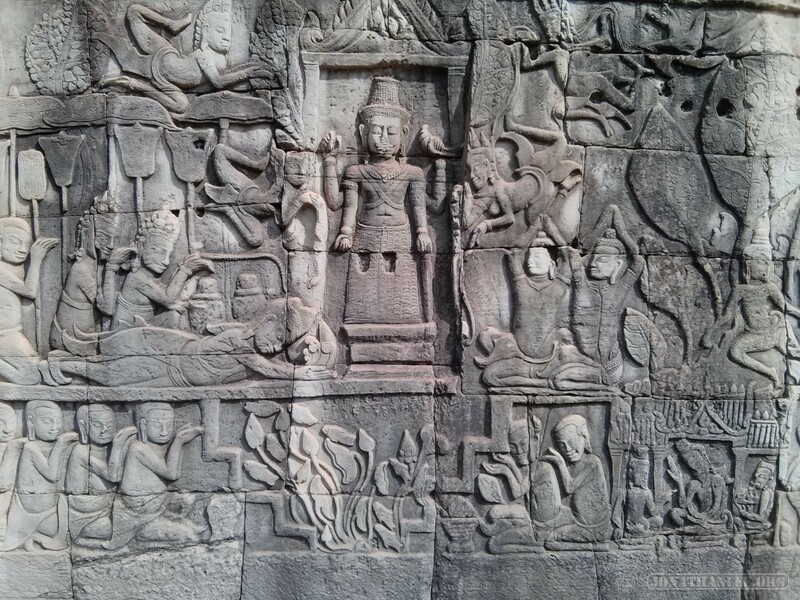 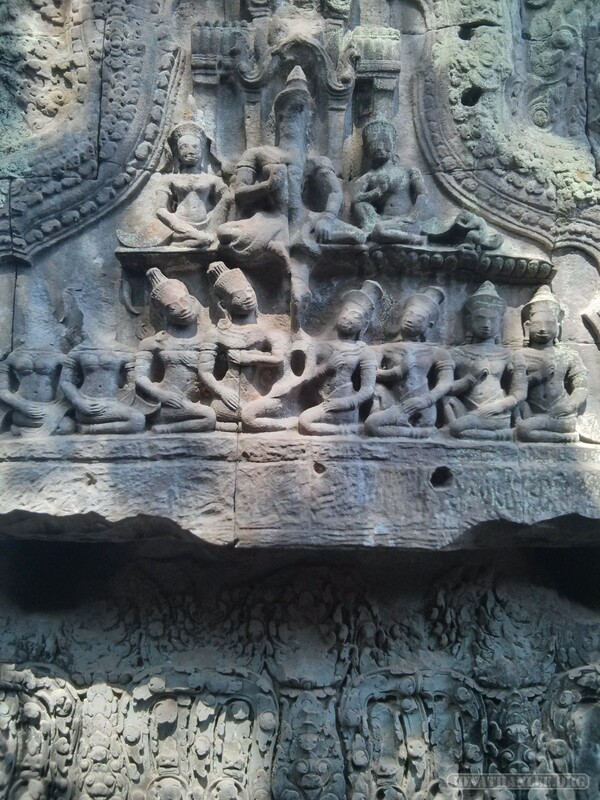 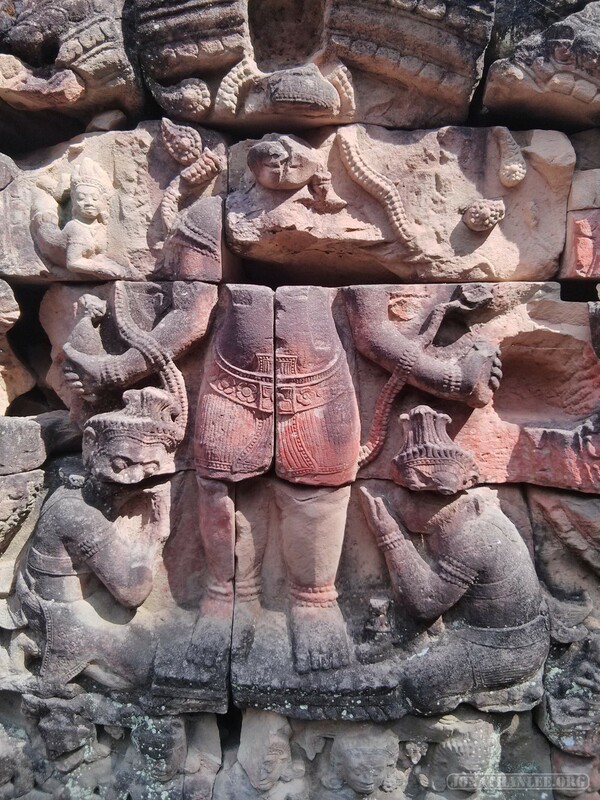 Browsing through Preah Khan, I wondered – is Angkor Wat only so well known because it is so well preserved? 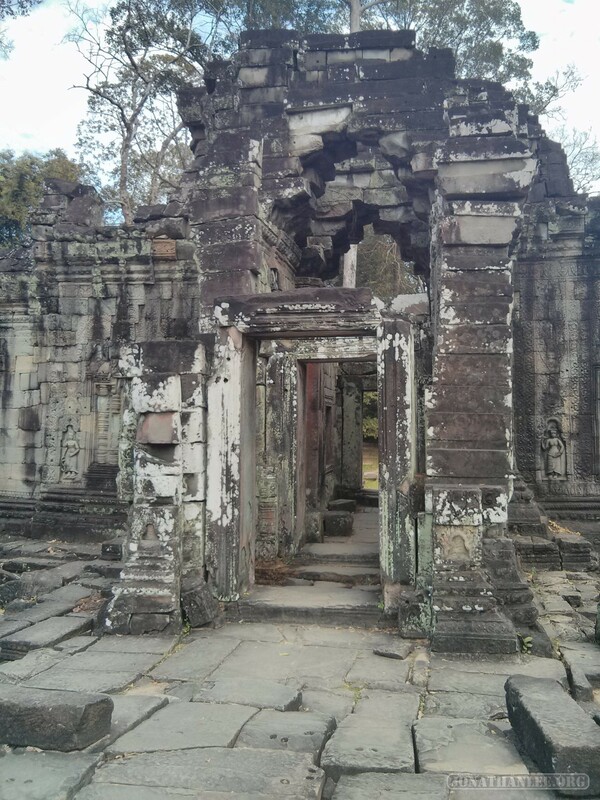 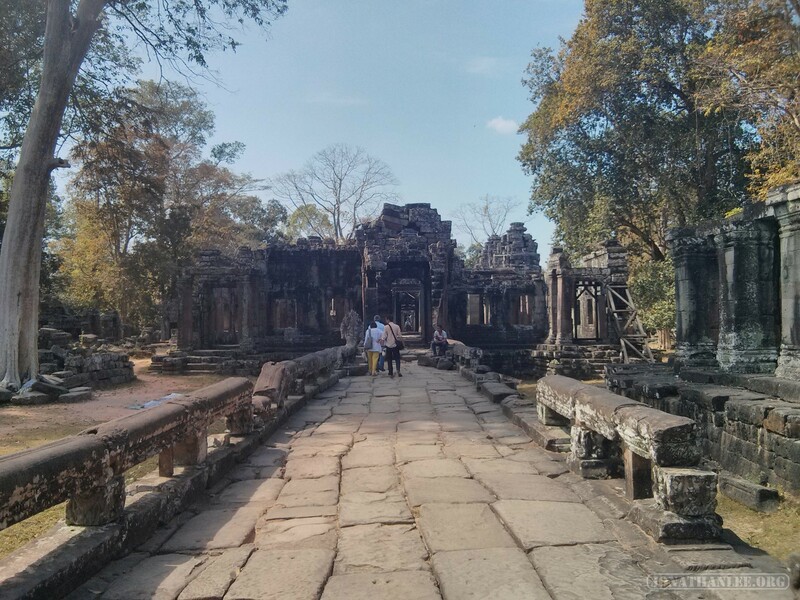 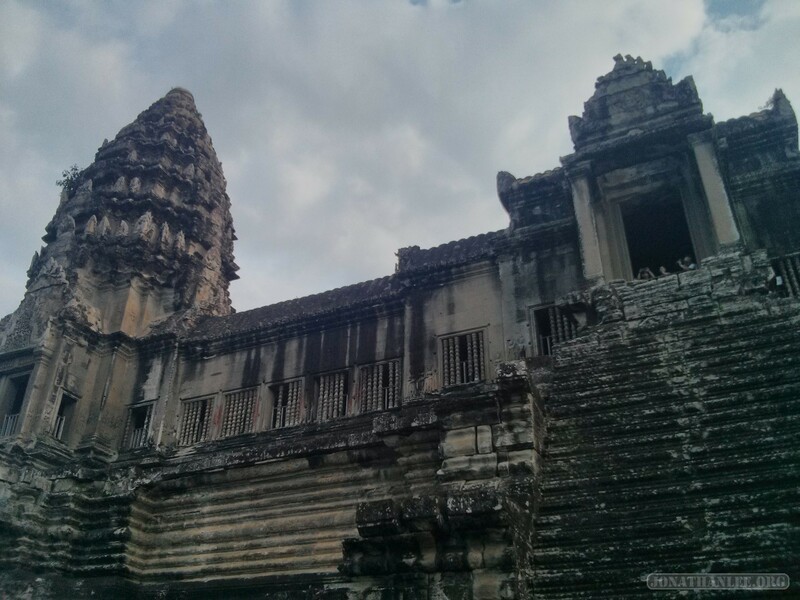 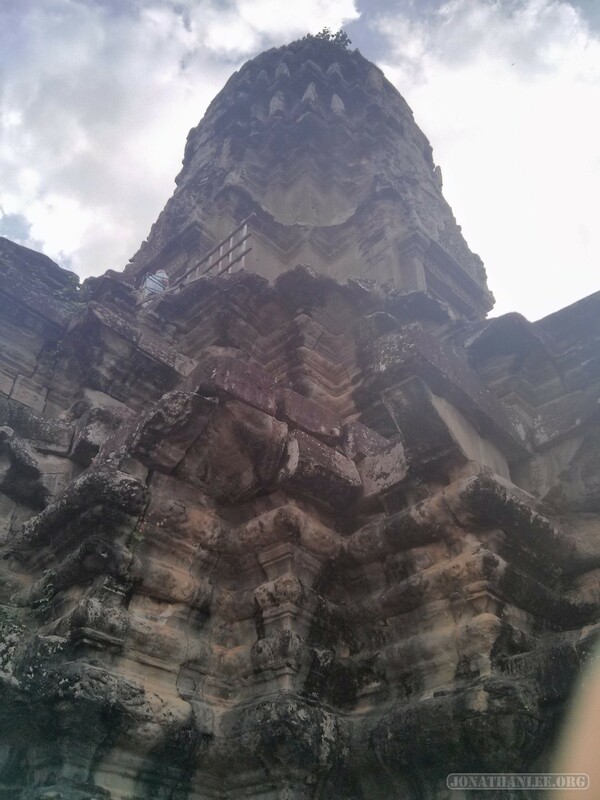 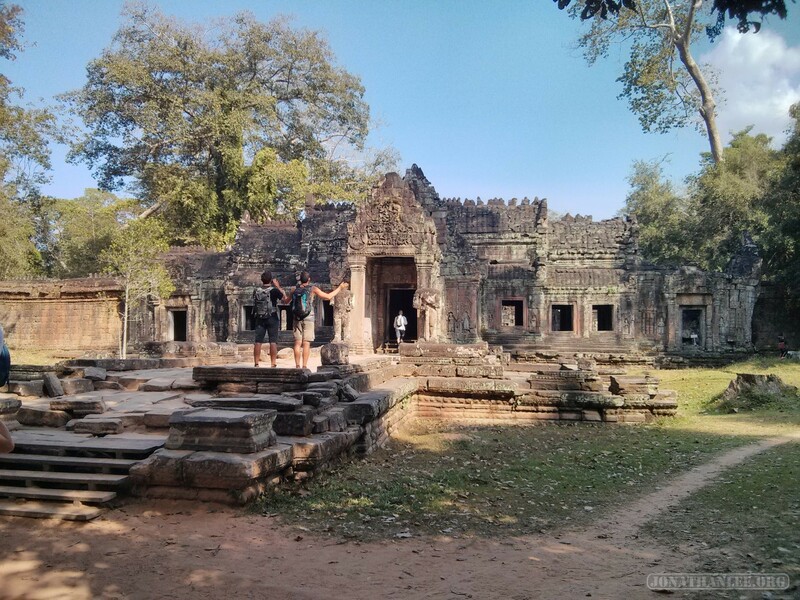 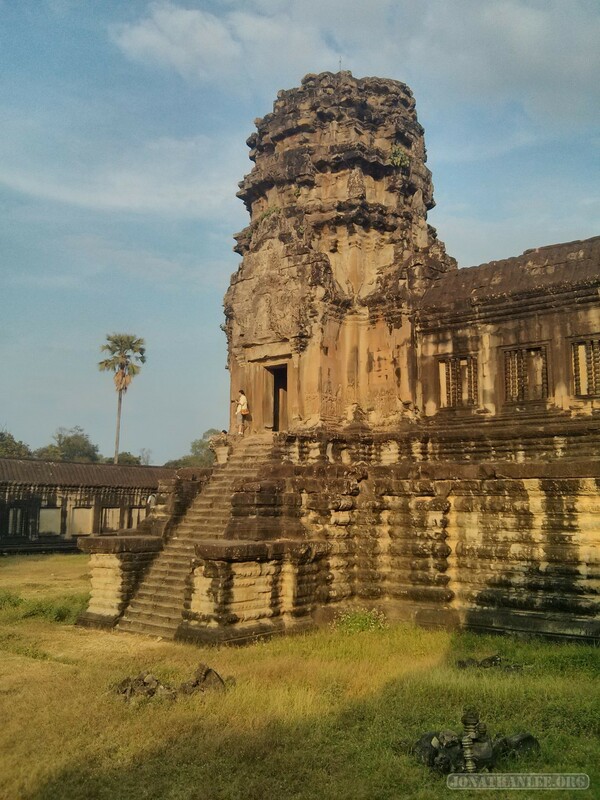 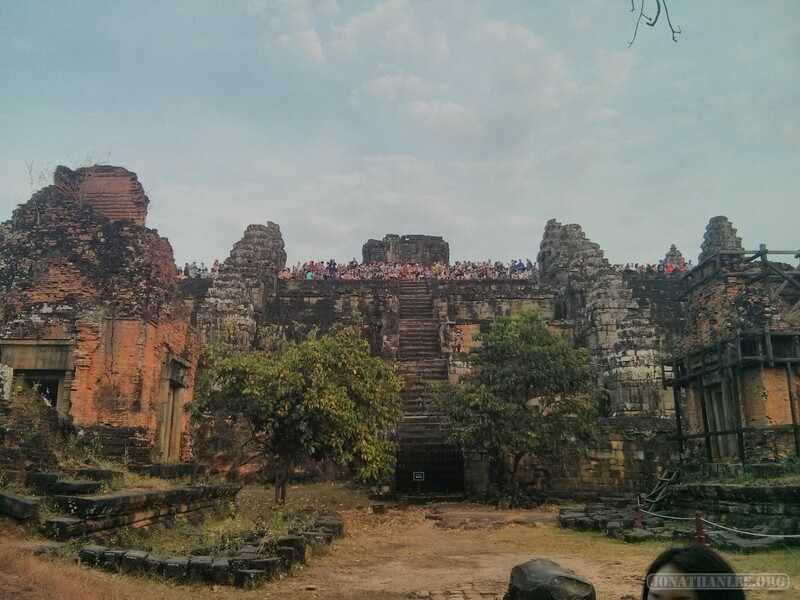 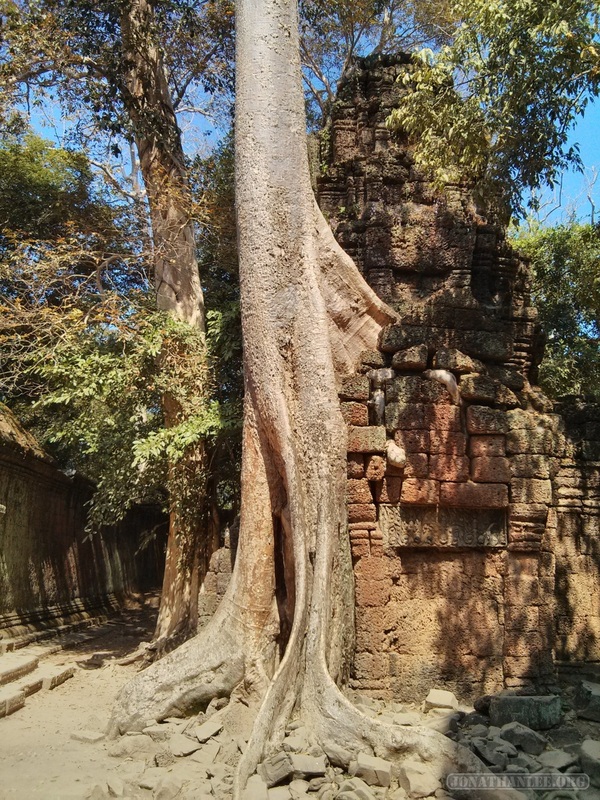 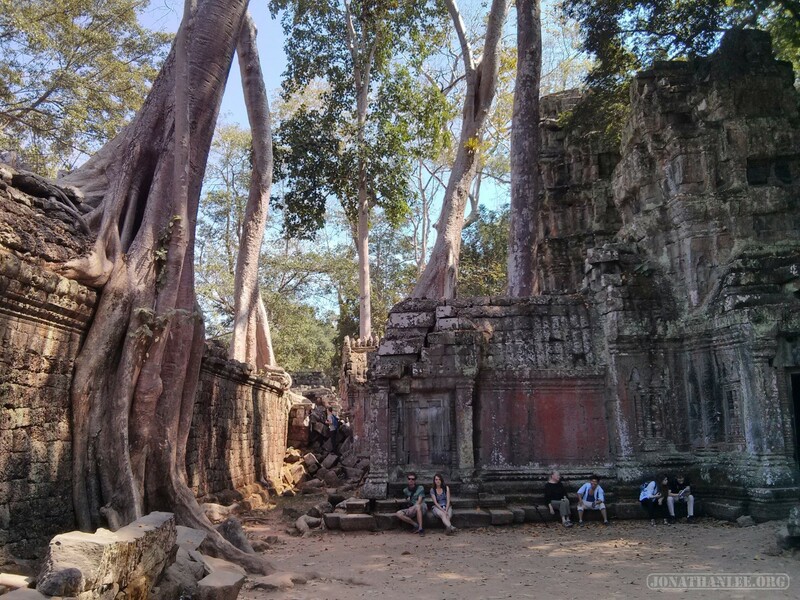 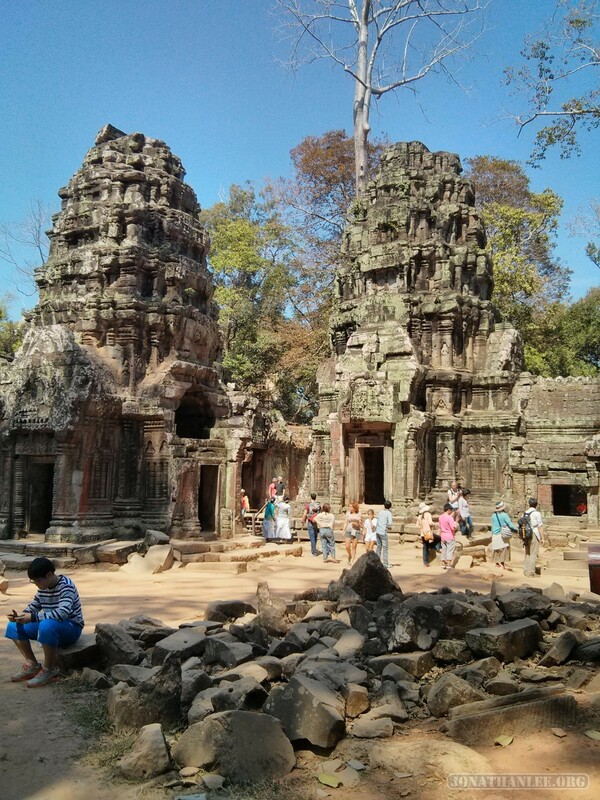 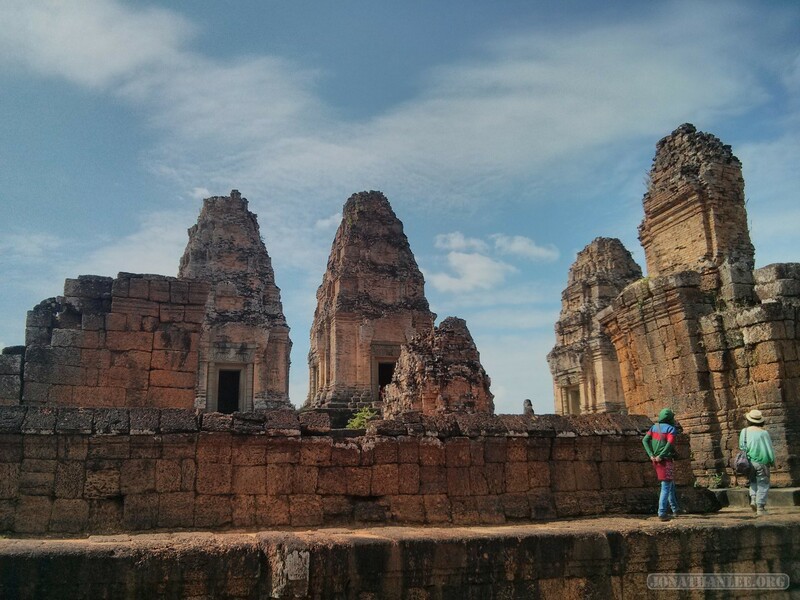 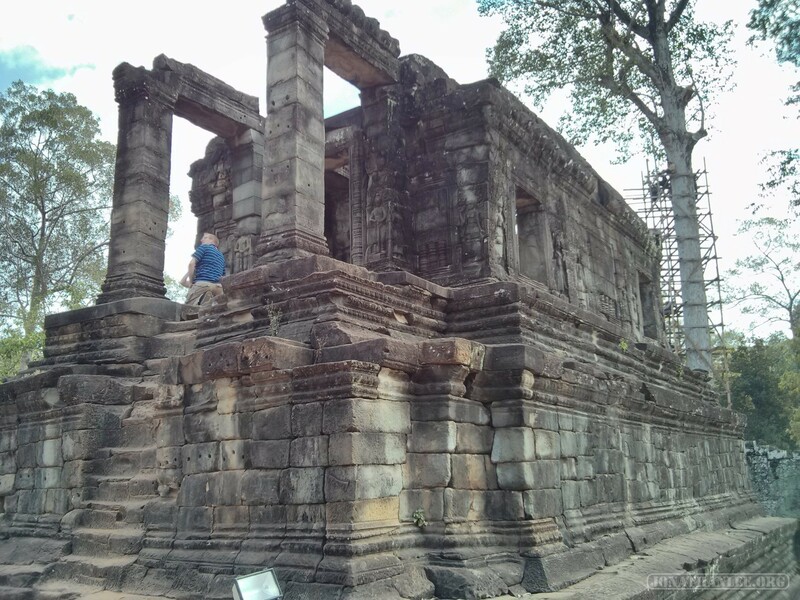 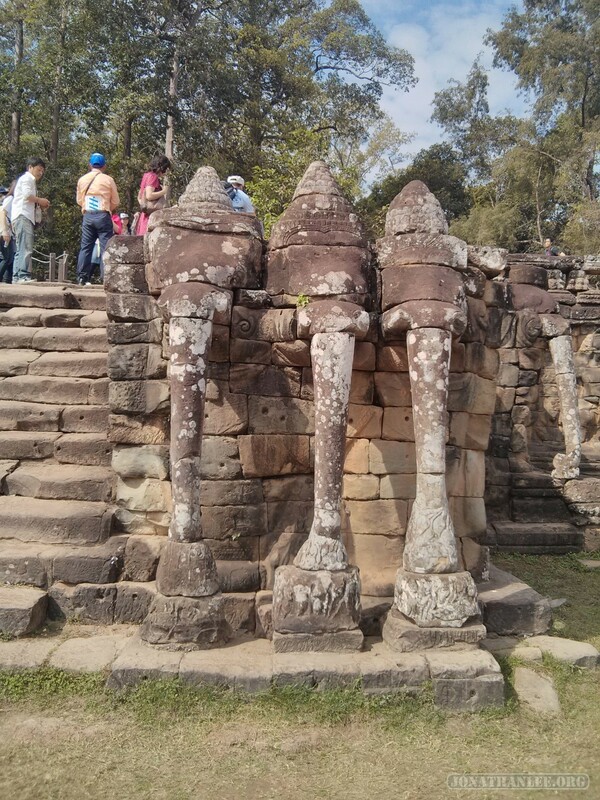 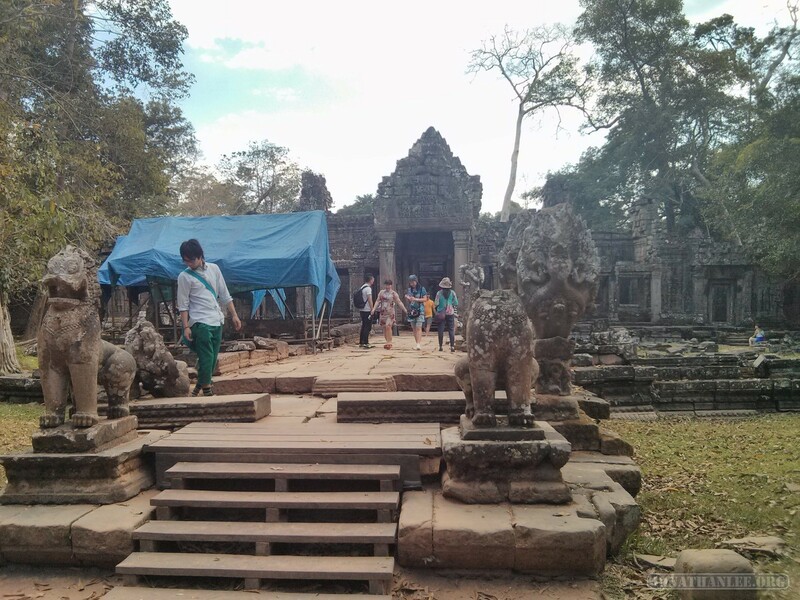 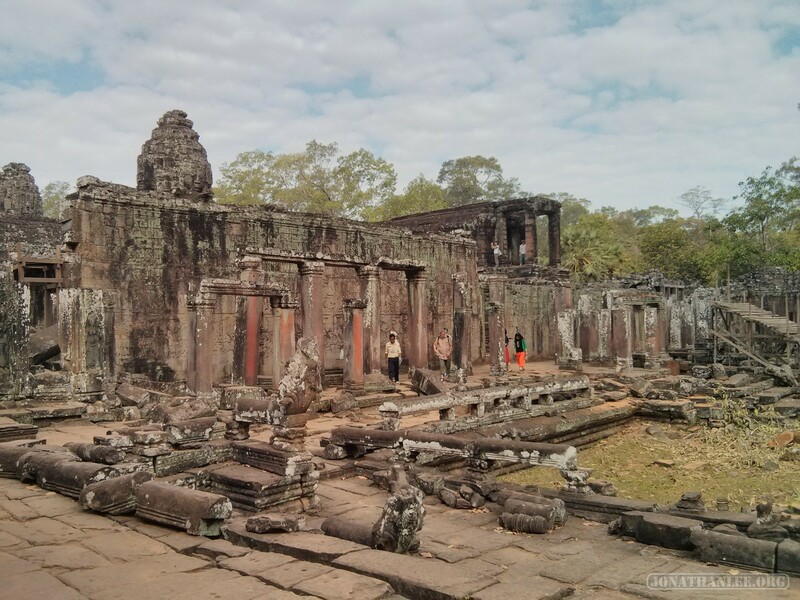 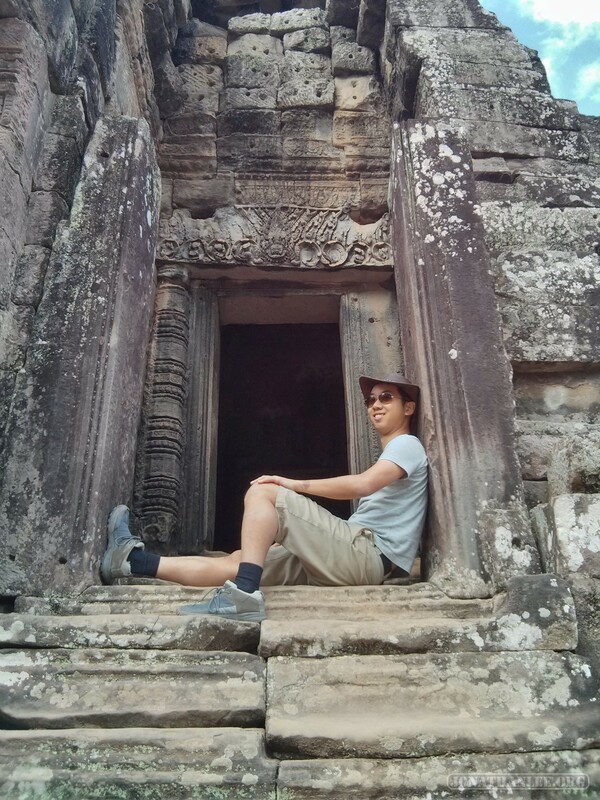 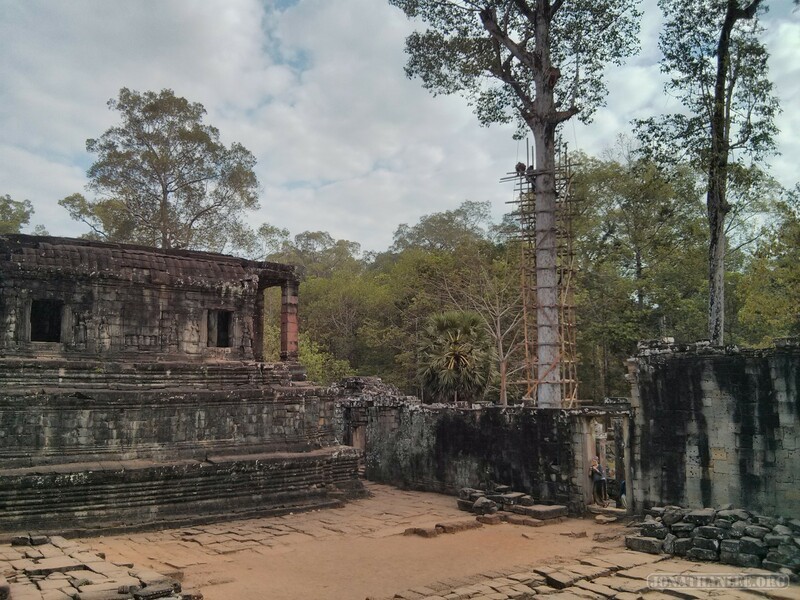 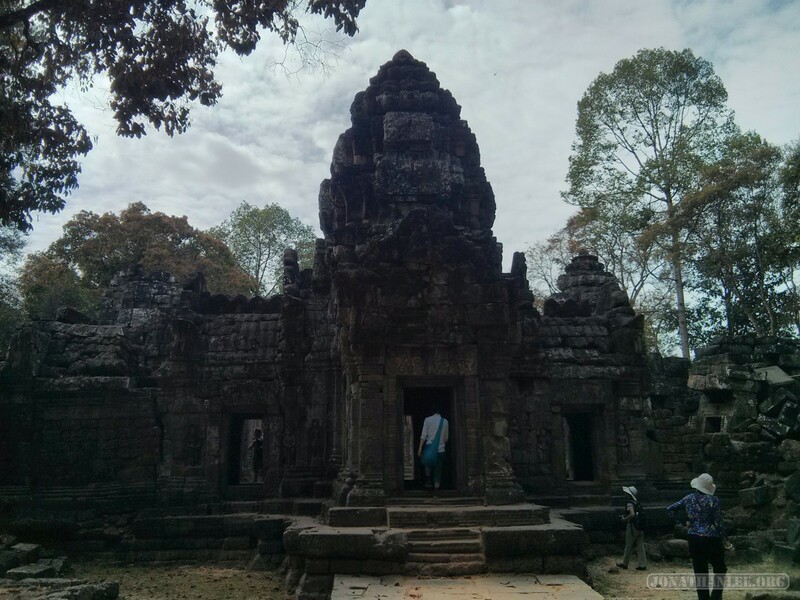 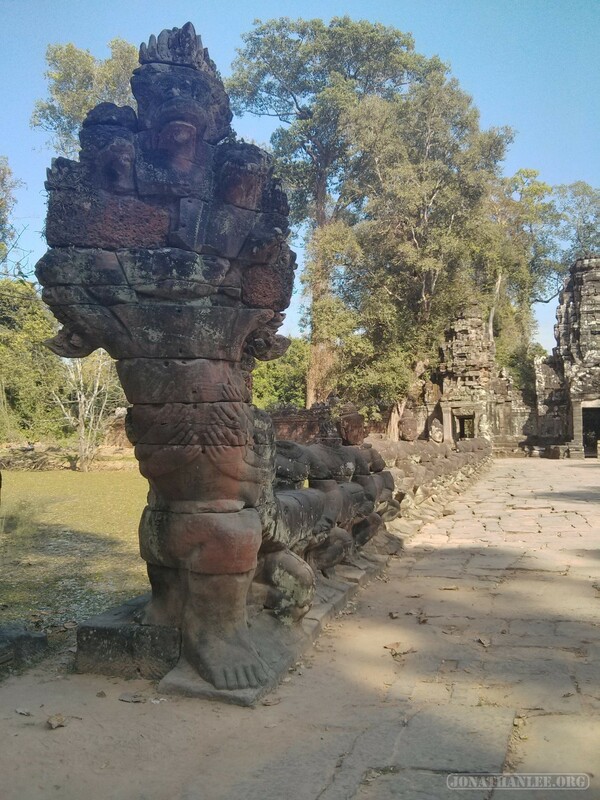 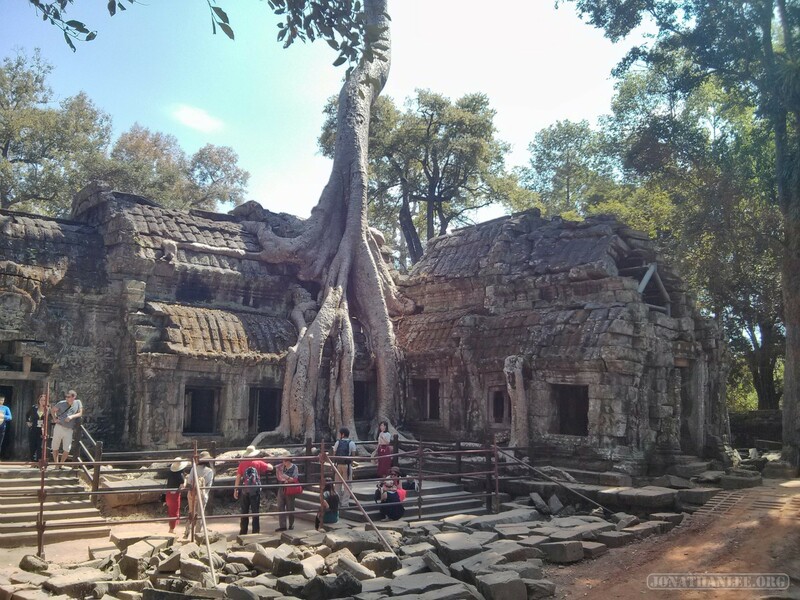 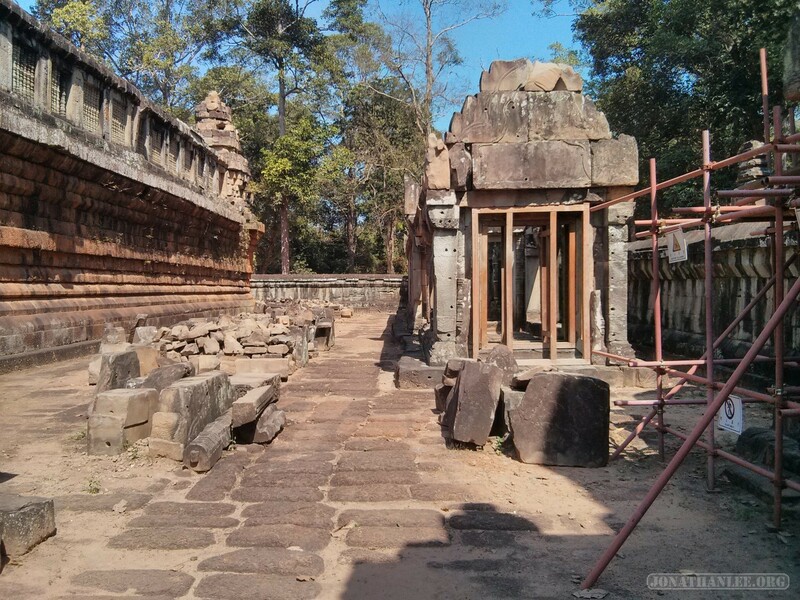 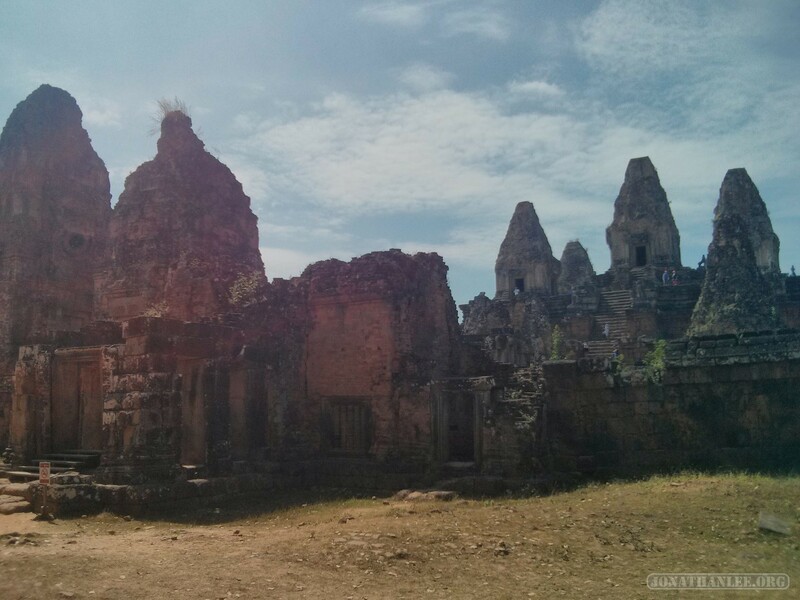 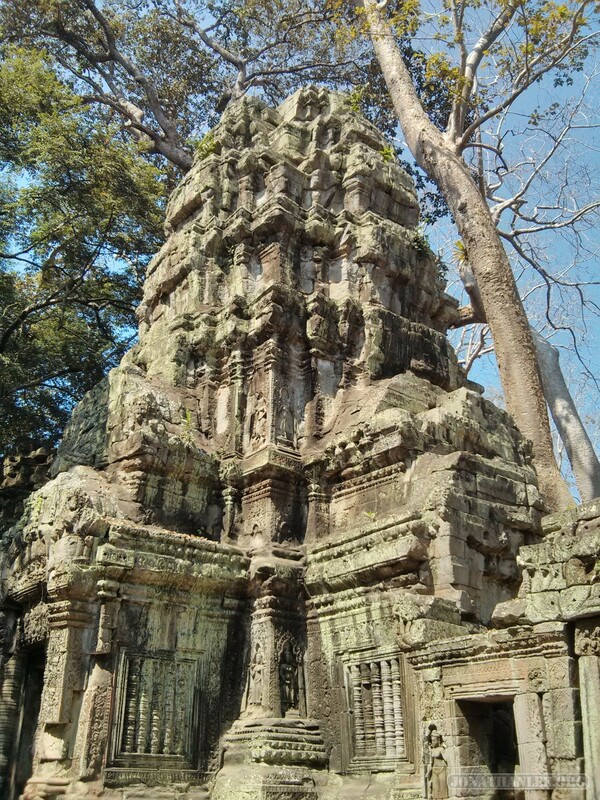 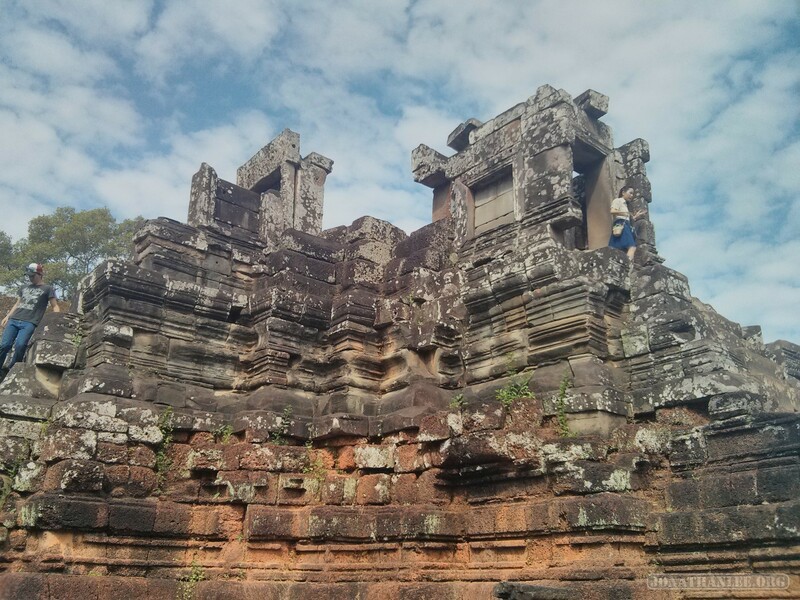 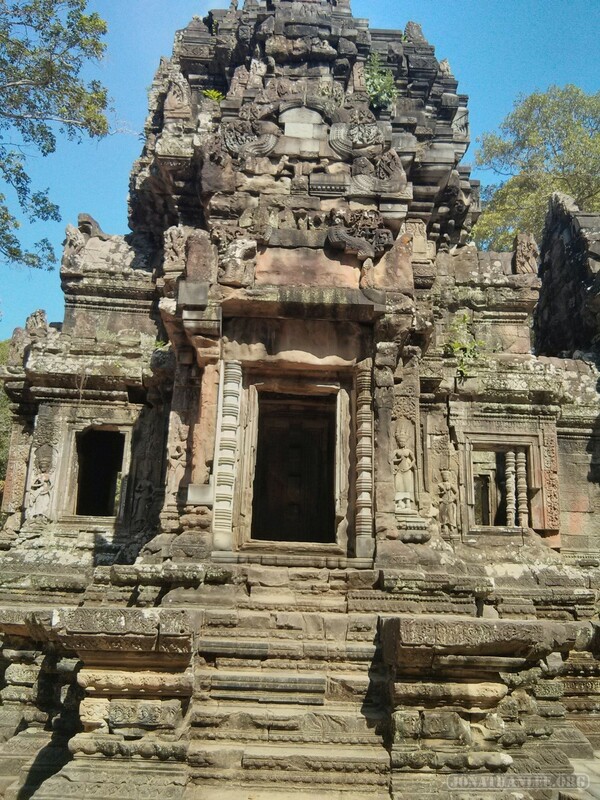 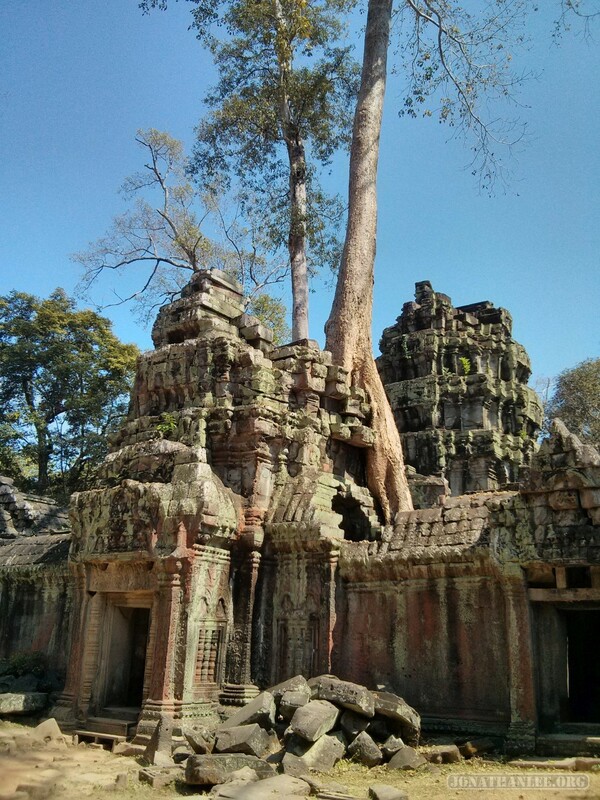 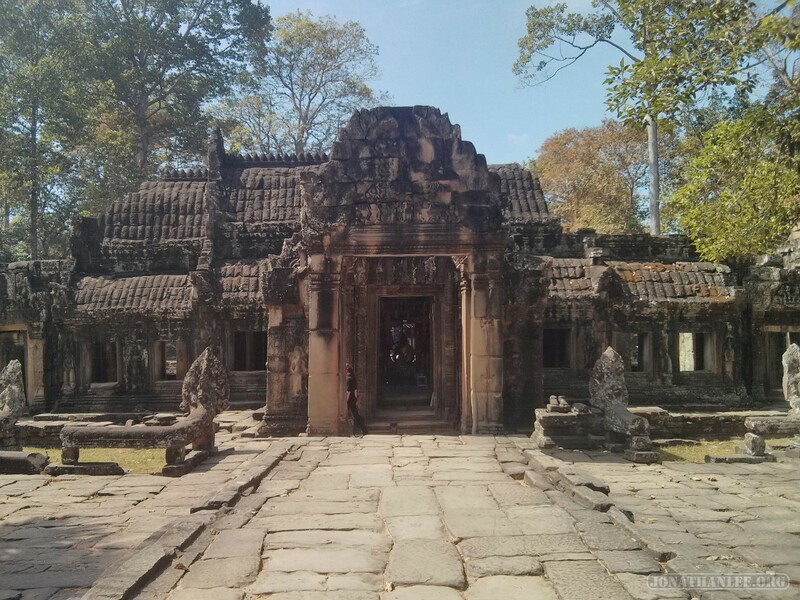 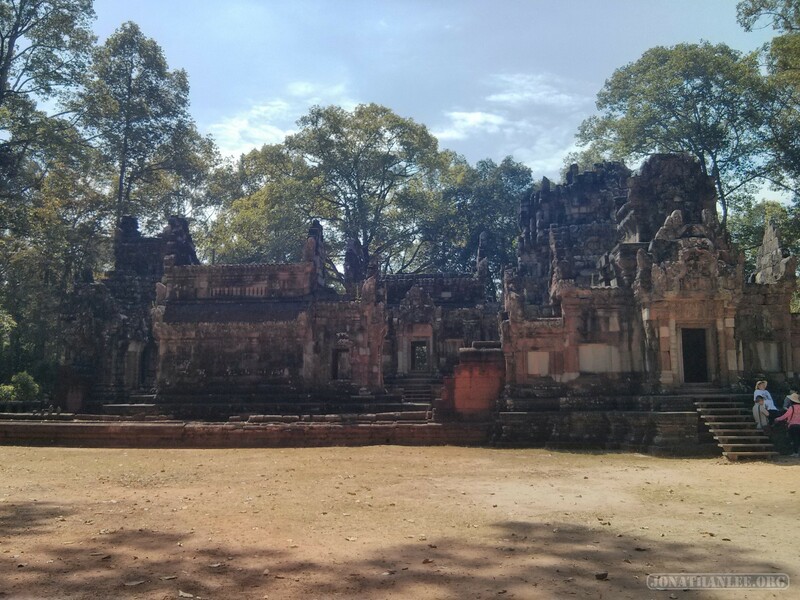 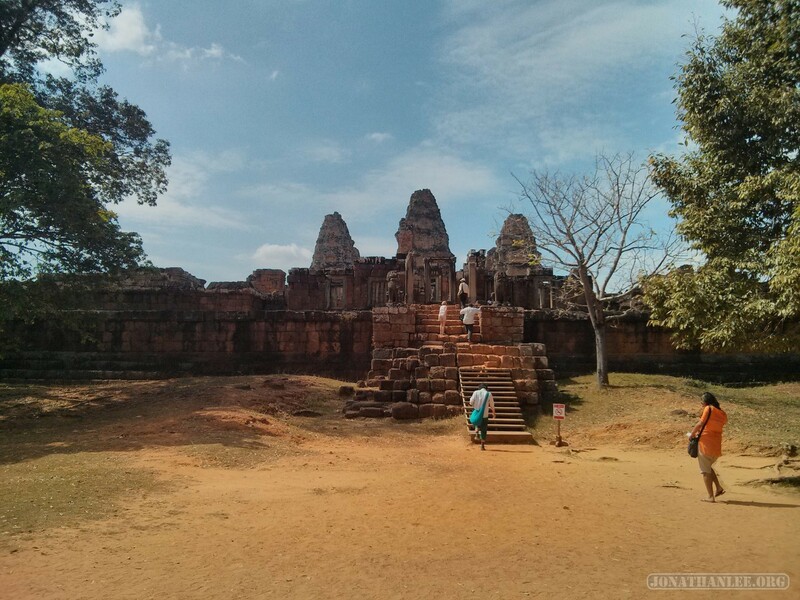 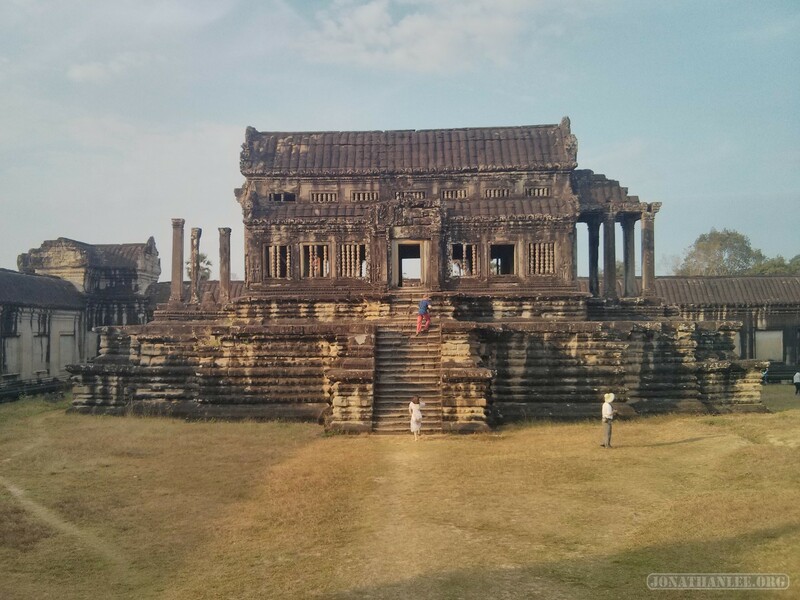 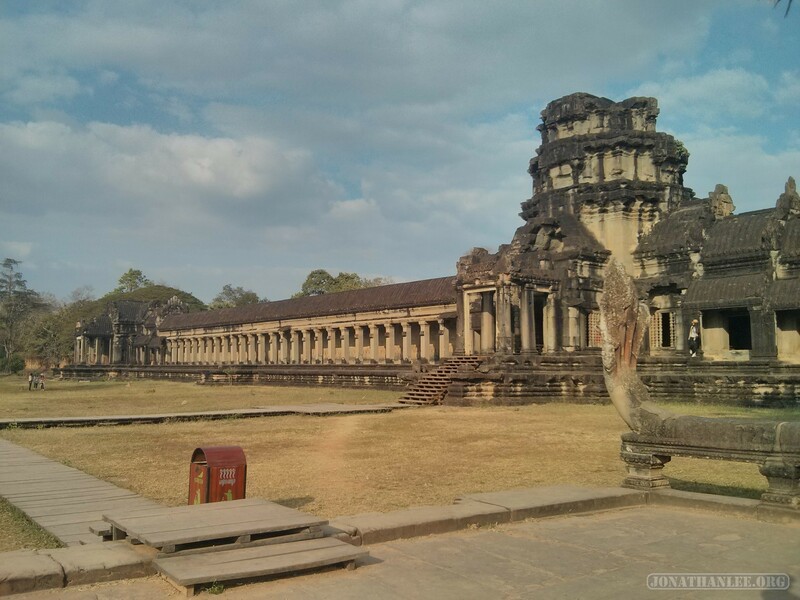 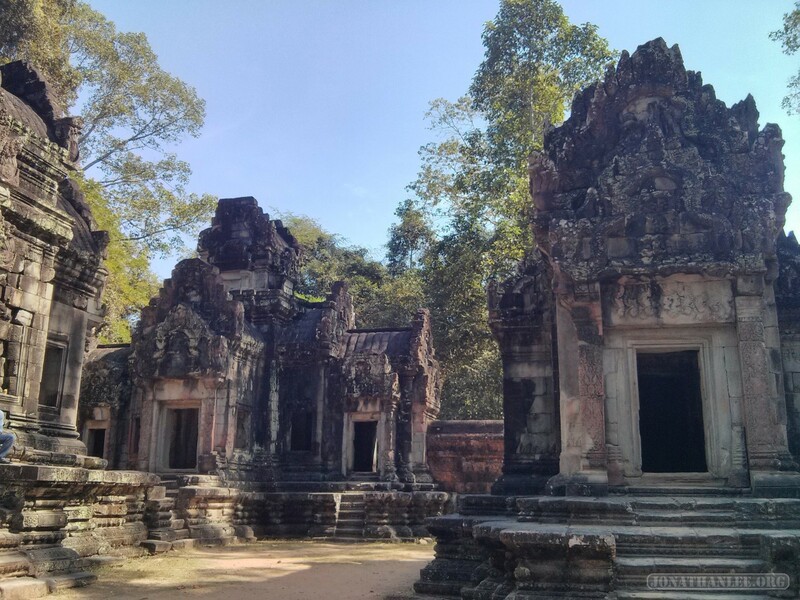 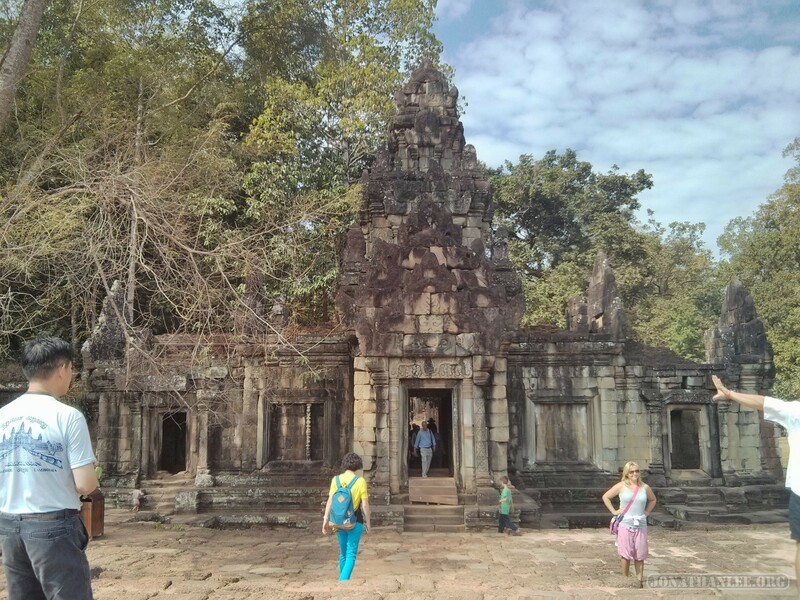 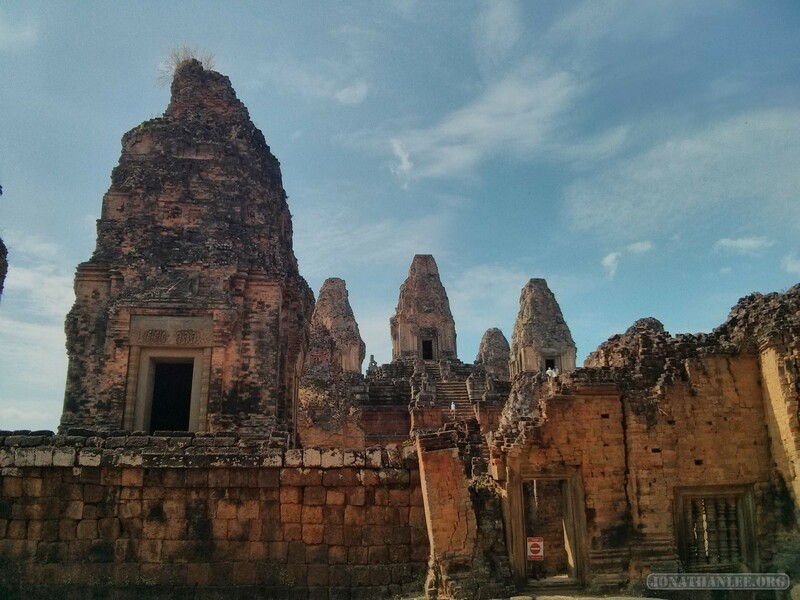 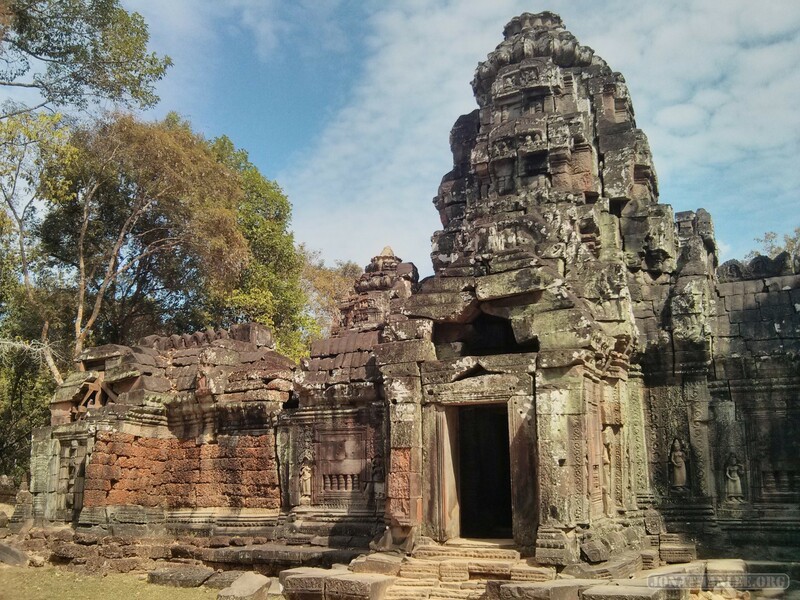 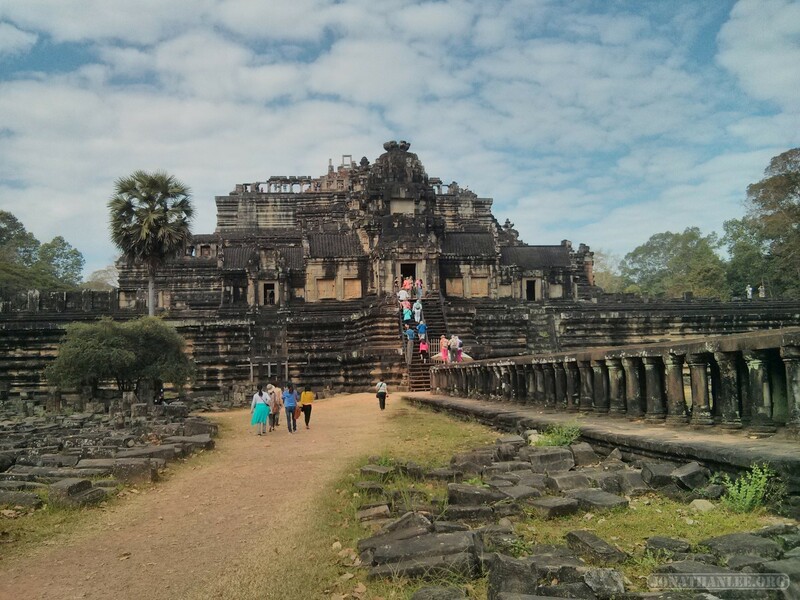 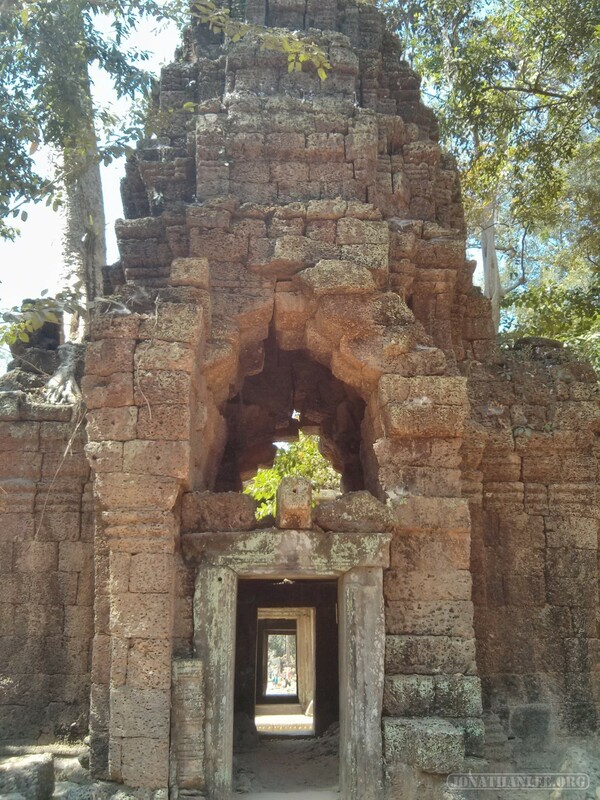 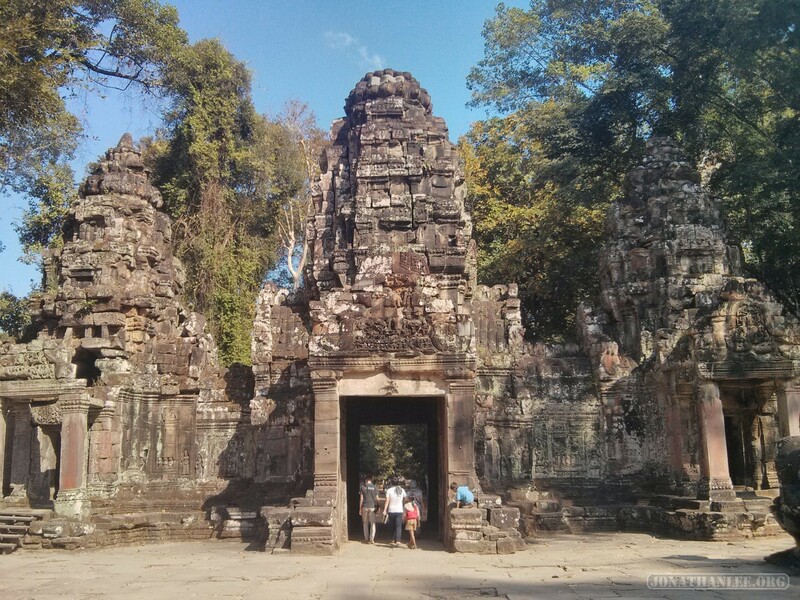 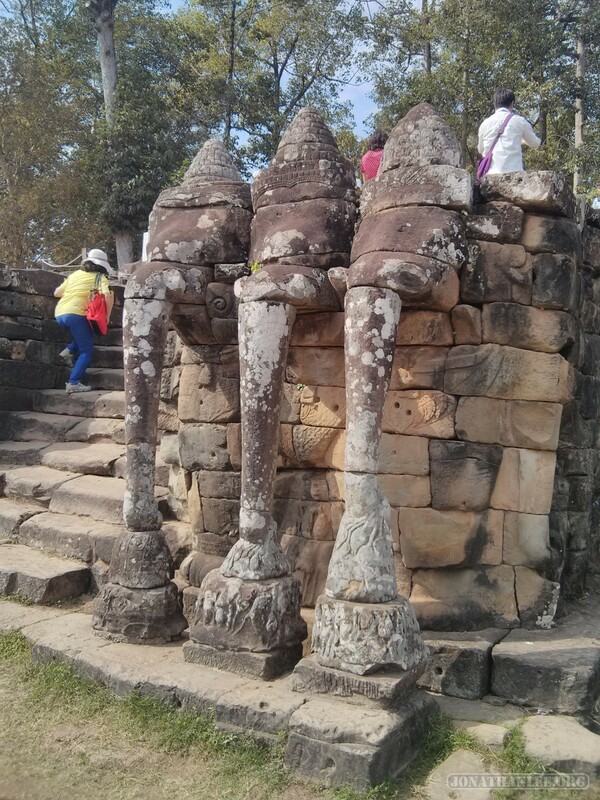 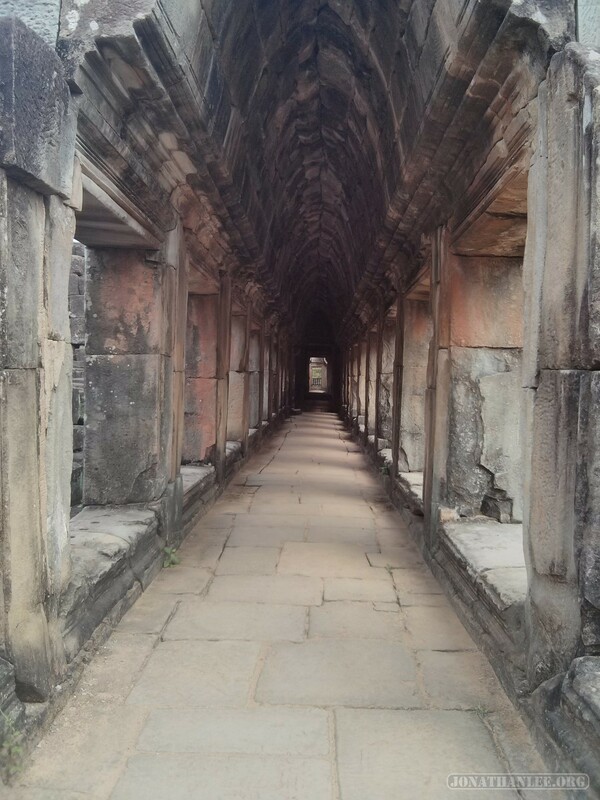 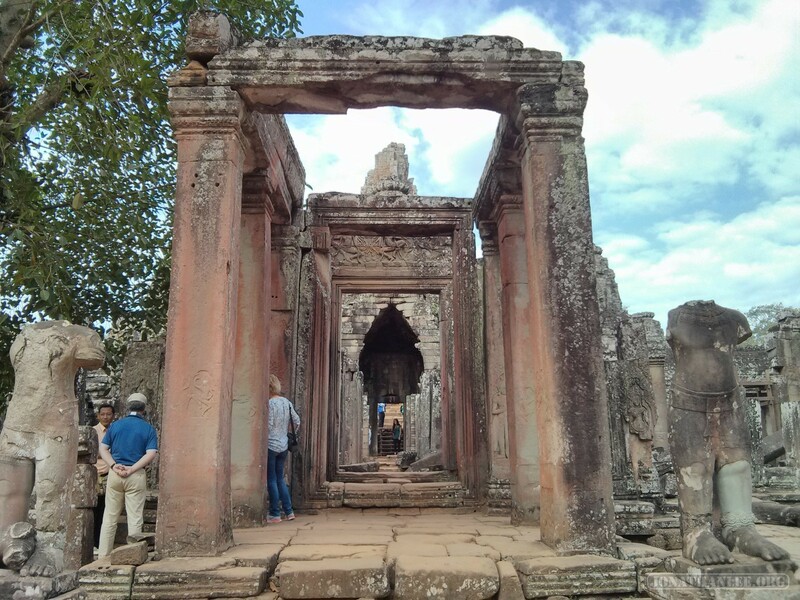 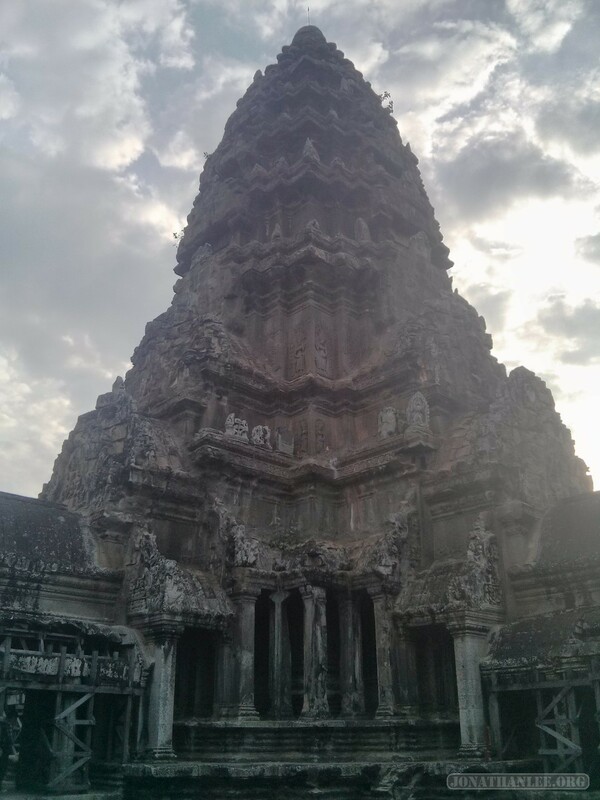 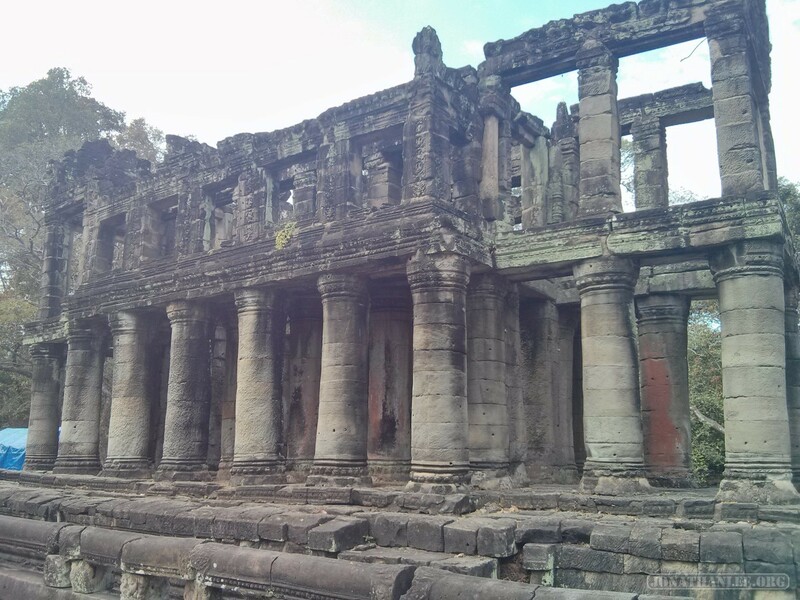 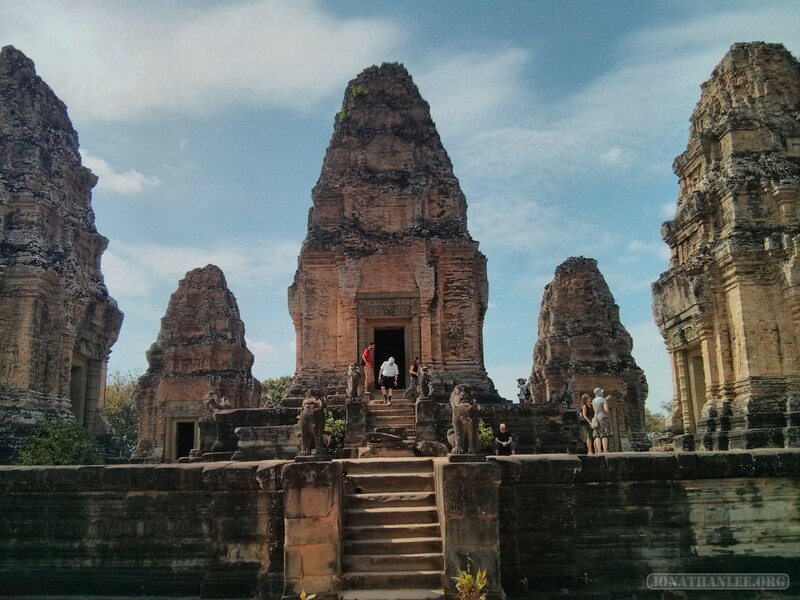 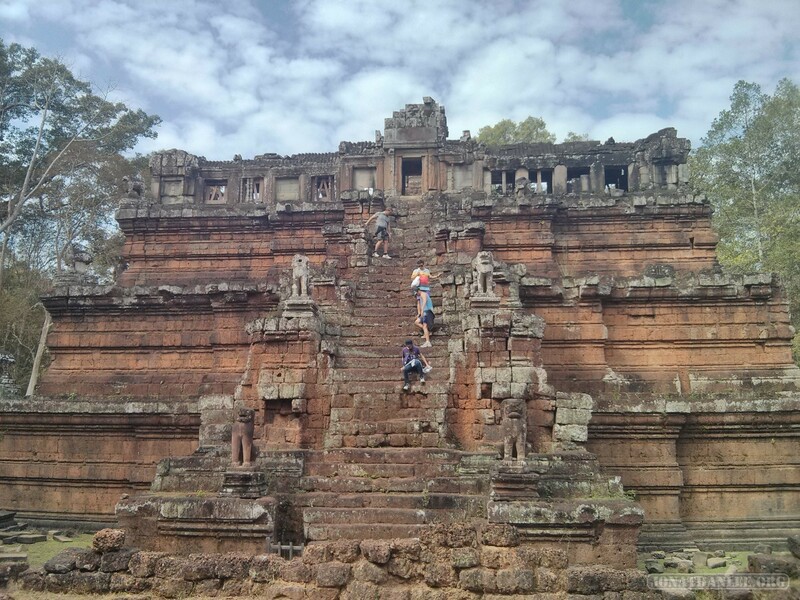 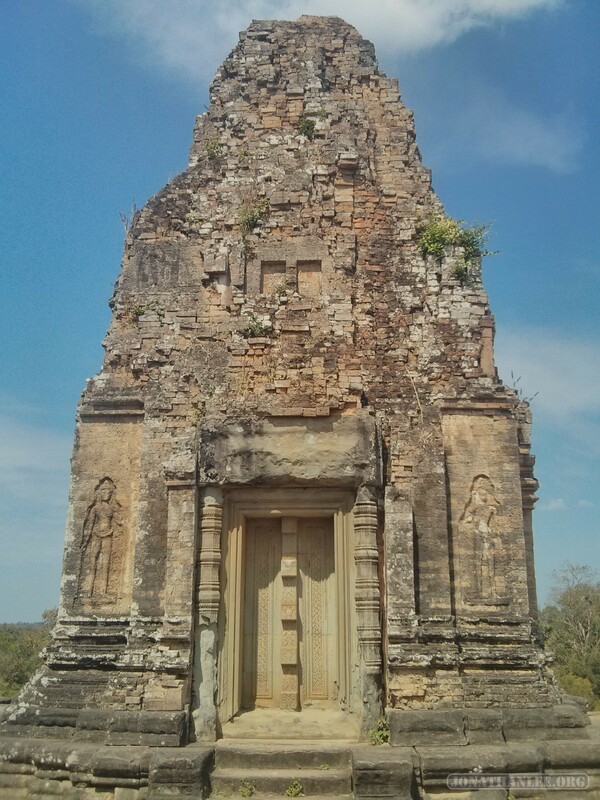 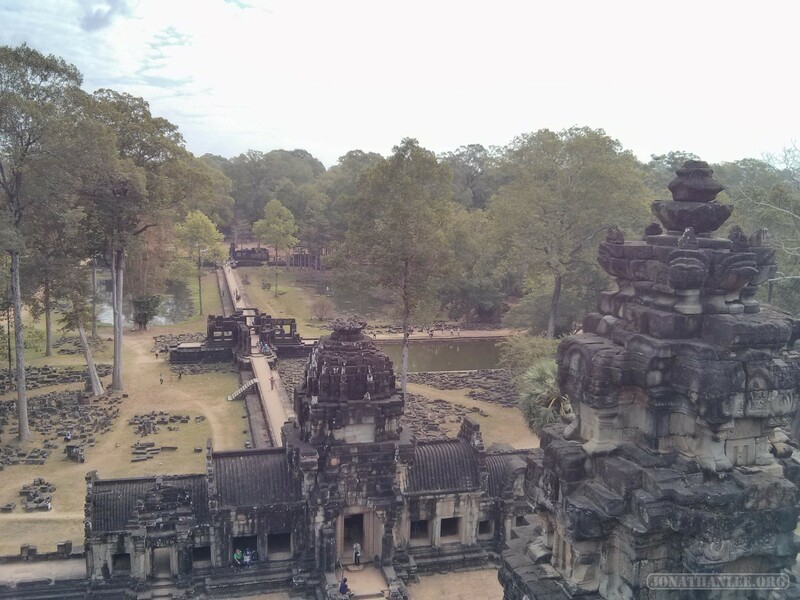 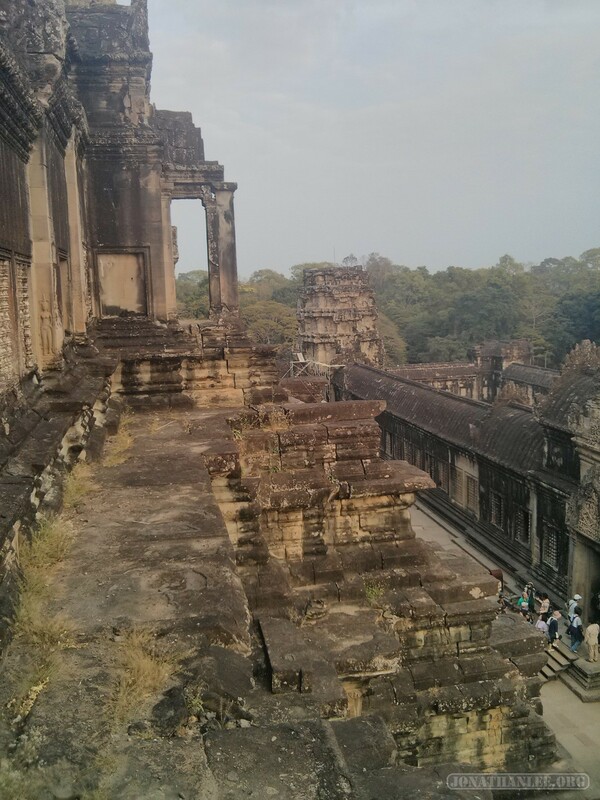 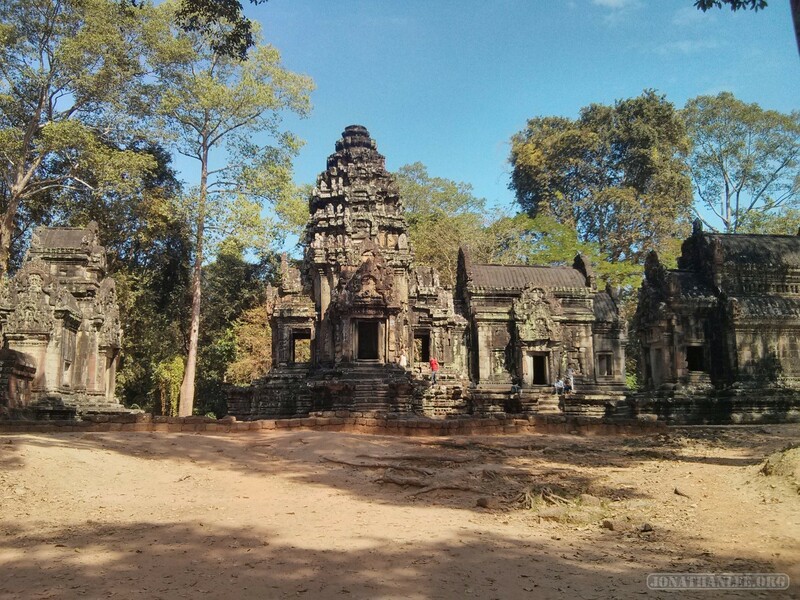 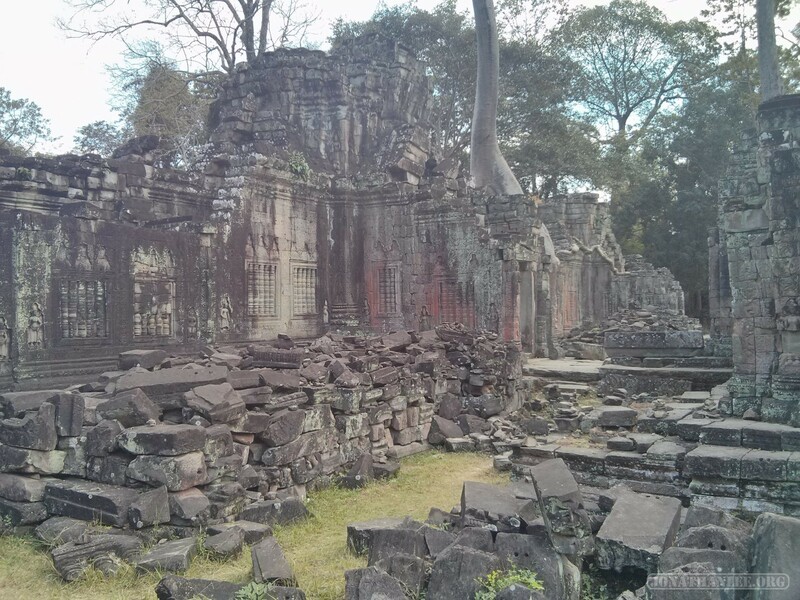 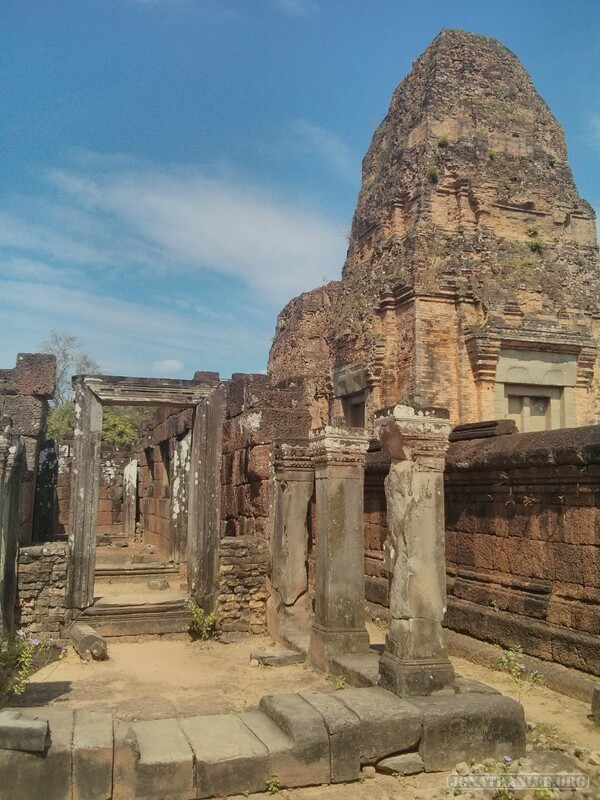 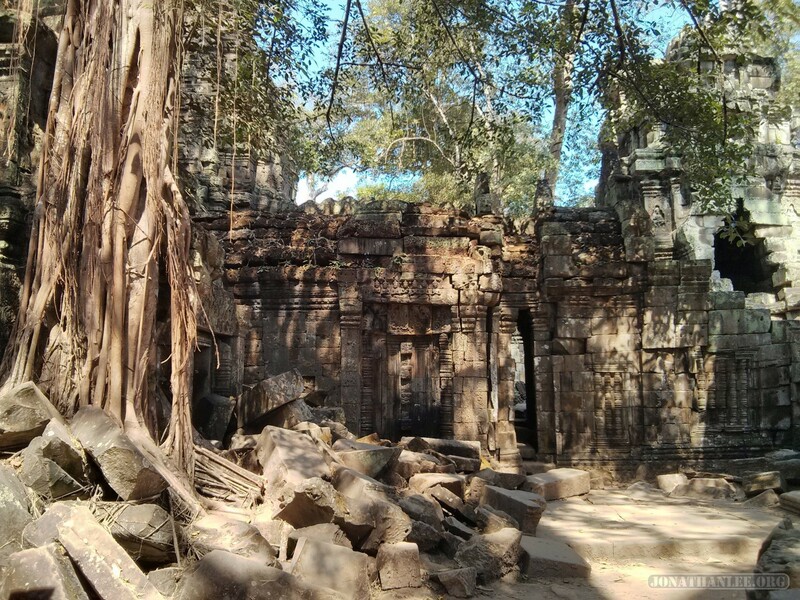 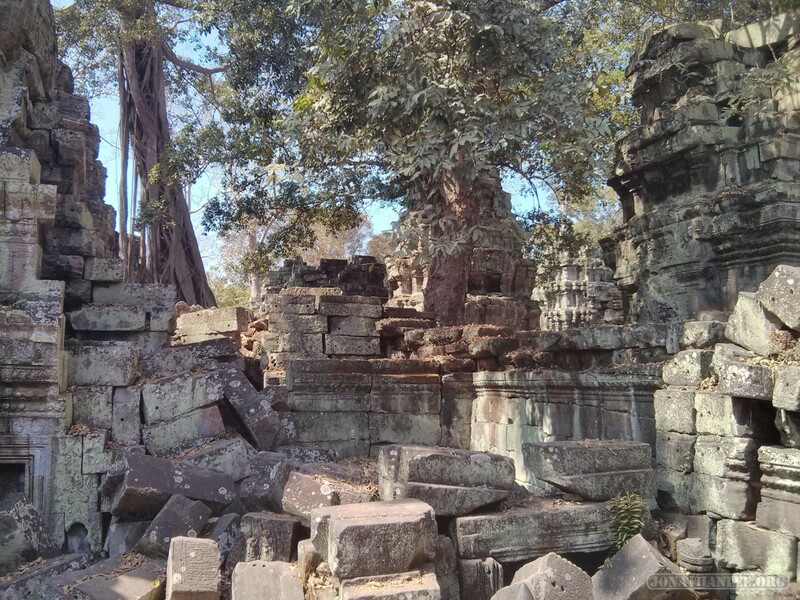 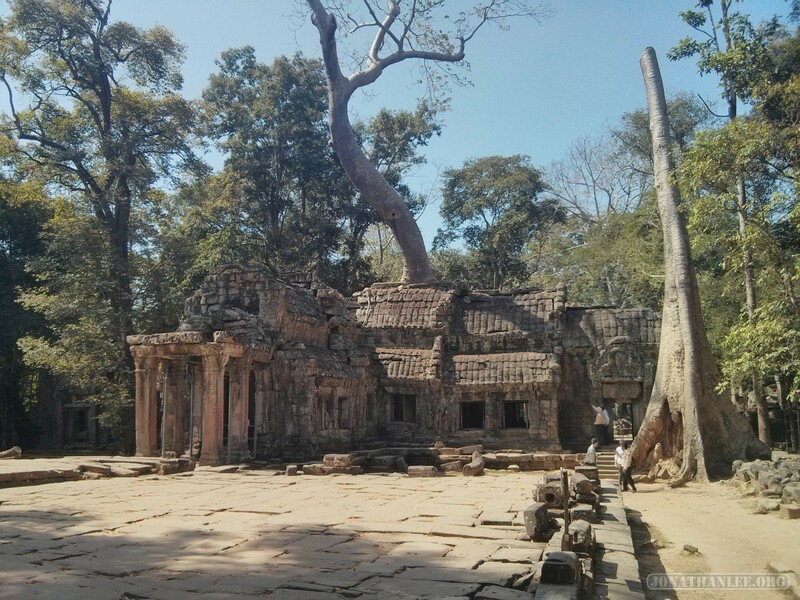 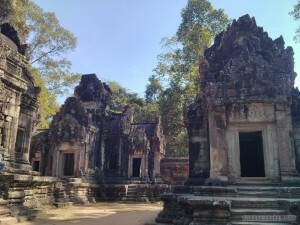 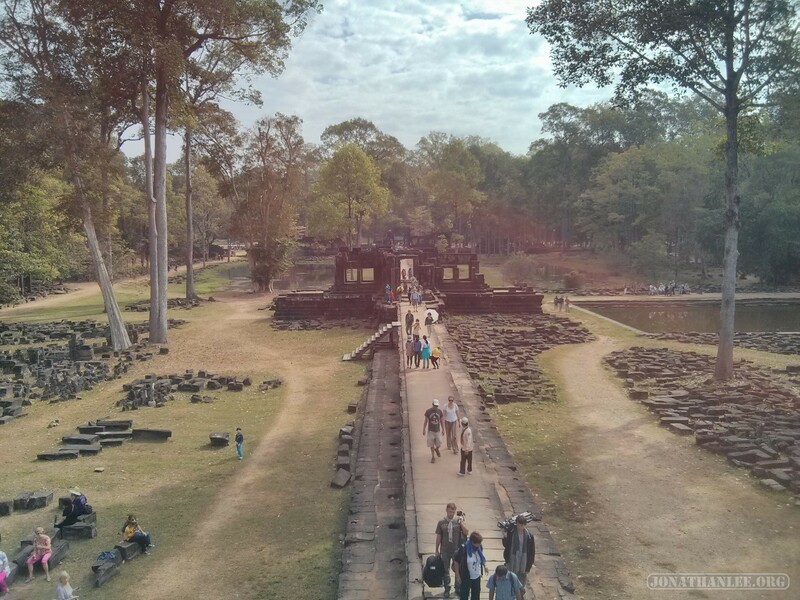 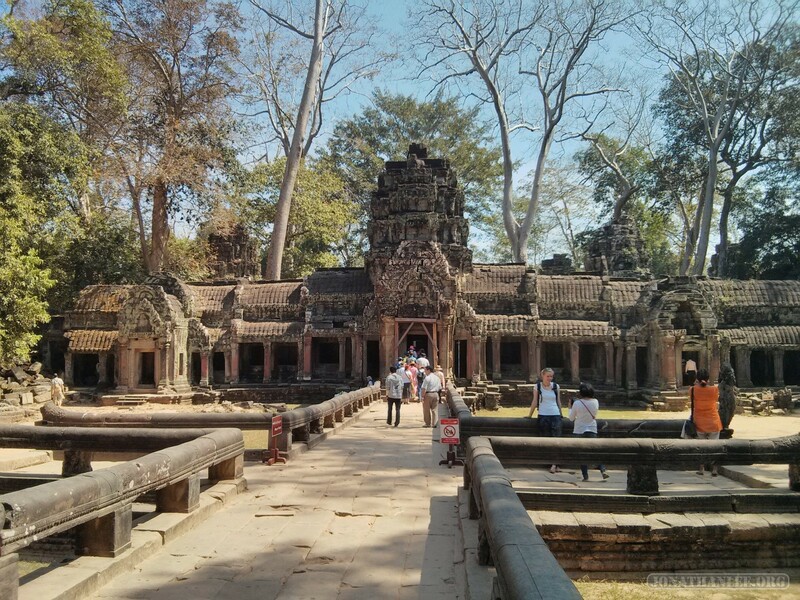 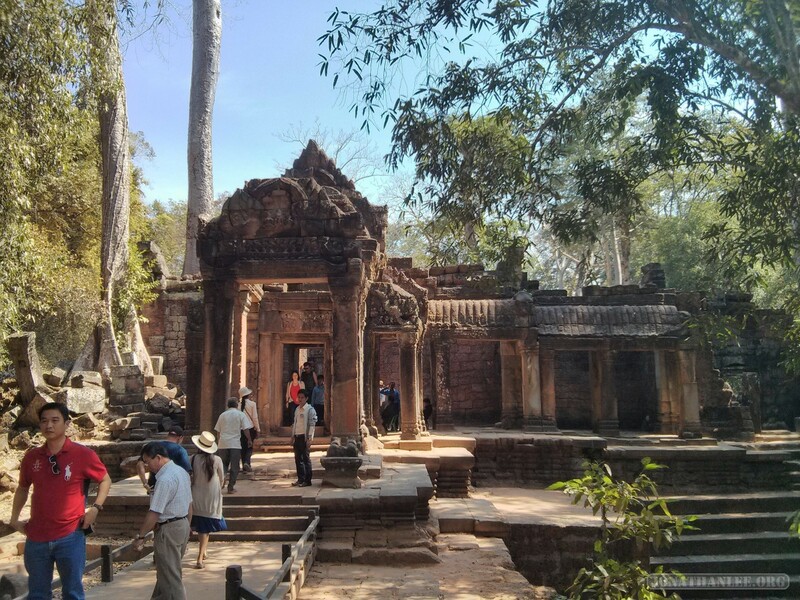 After all, temples such as Preah Khan are almost as big and grand as Angkor Wat. 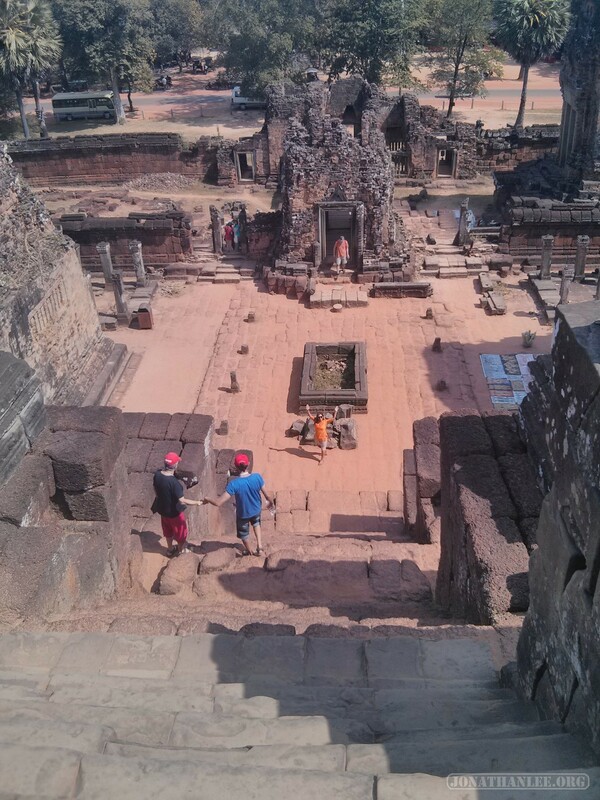 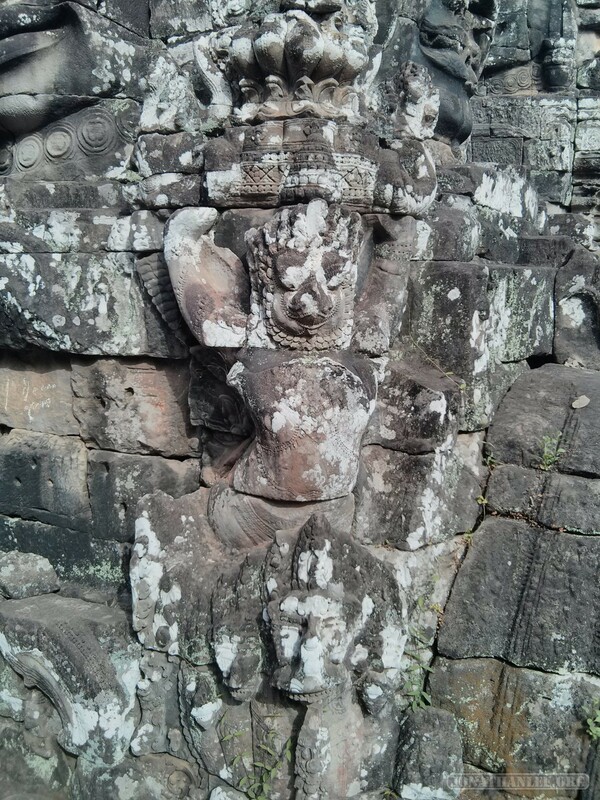 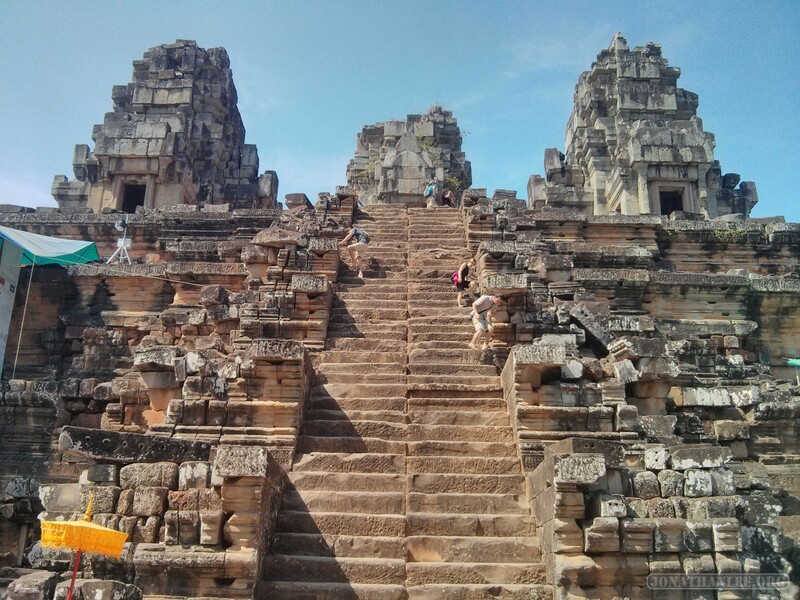 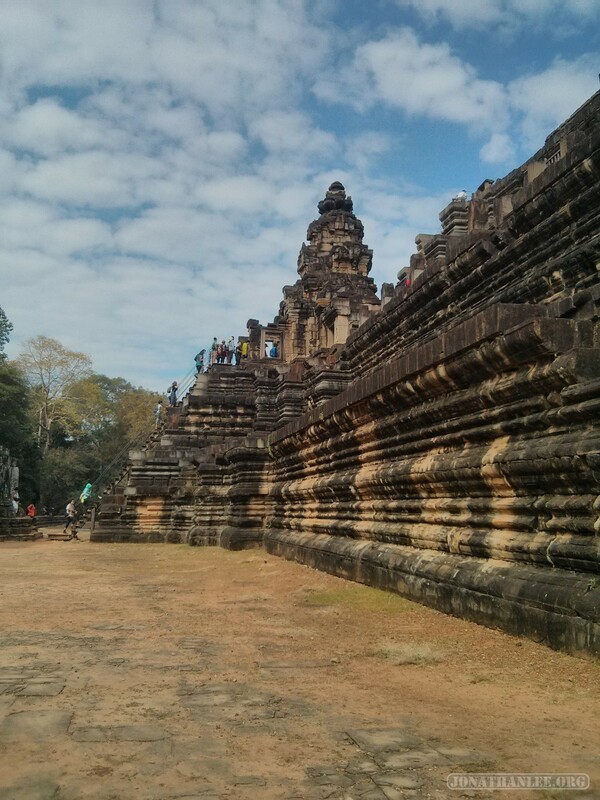 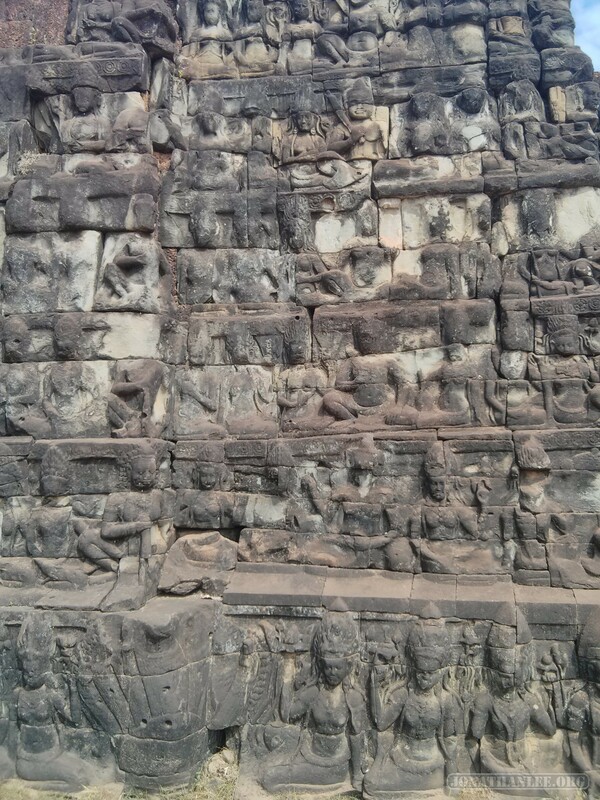 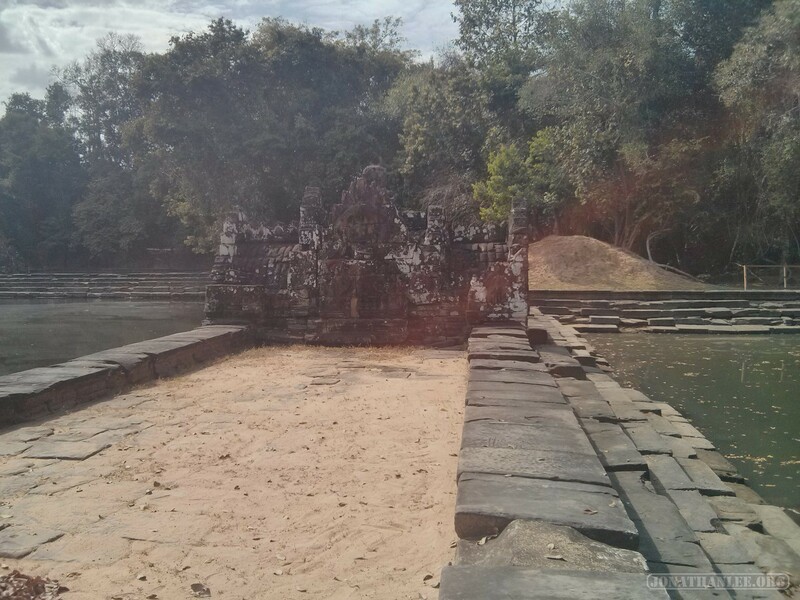 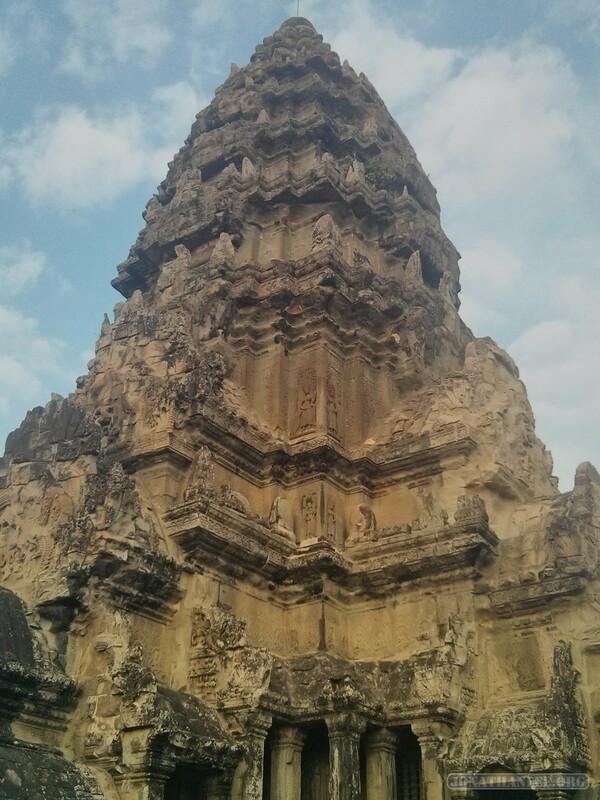 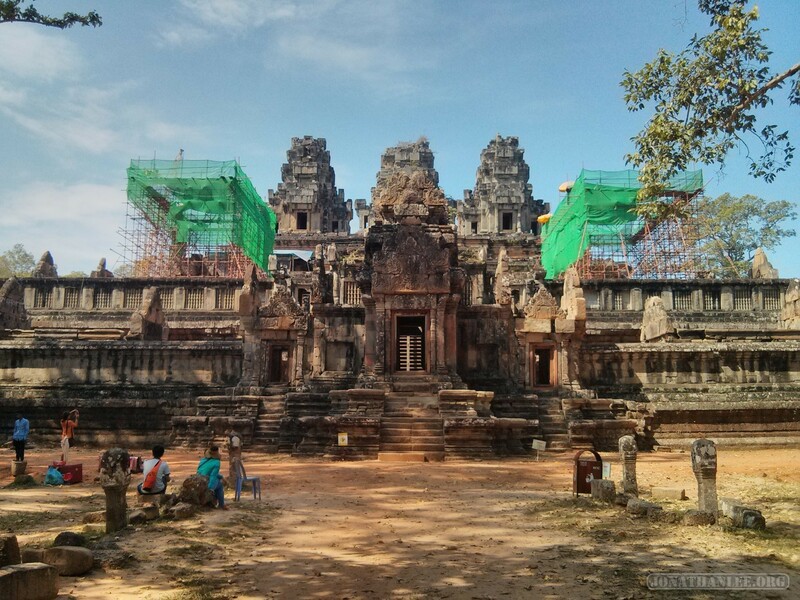 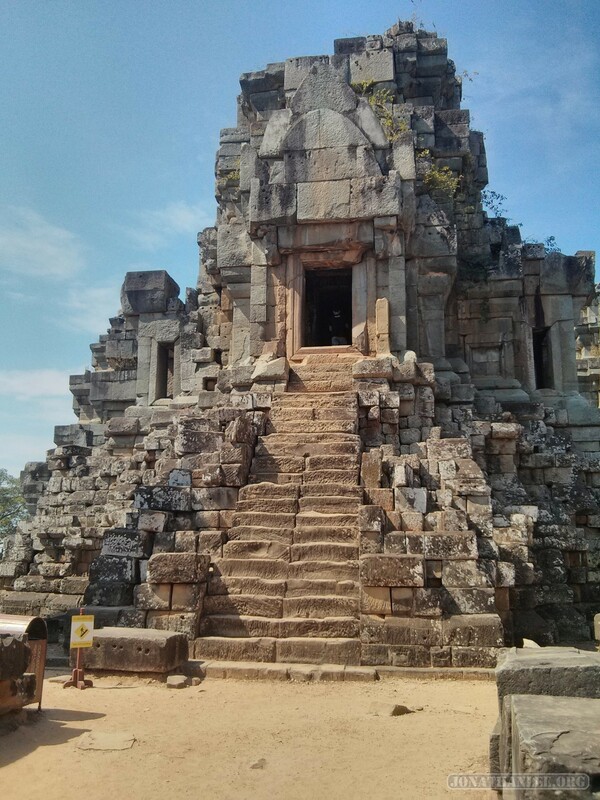 Next, back to Angkor Wat to properly explore the temple! 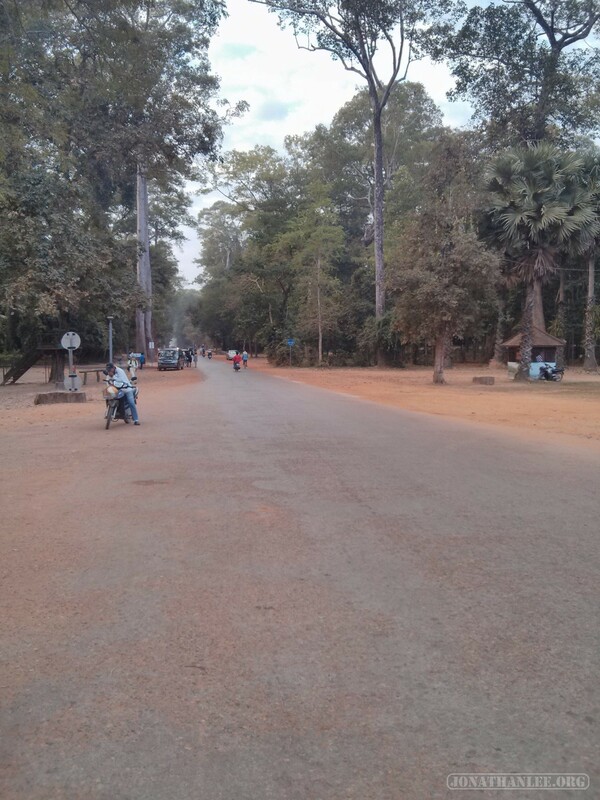 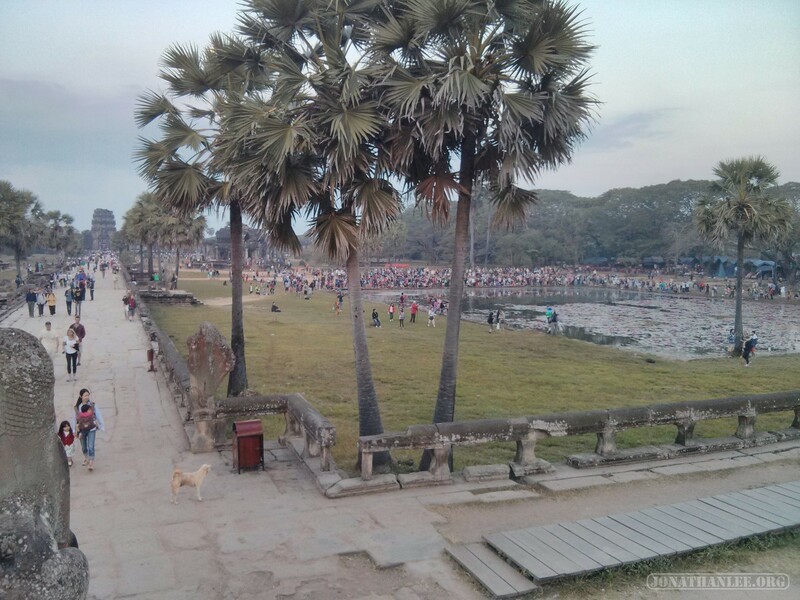 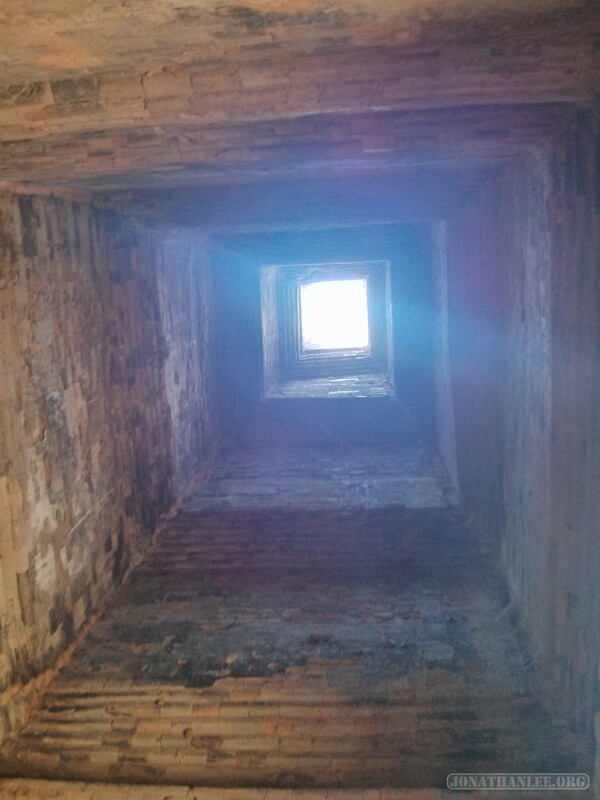 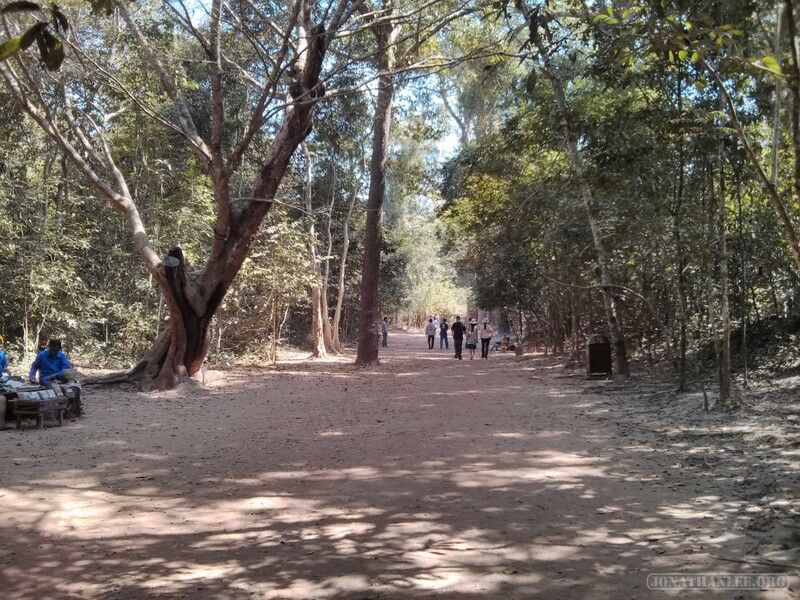 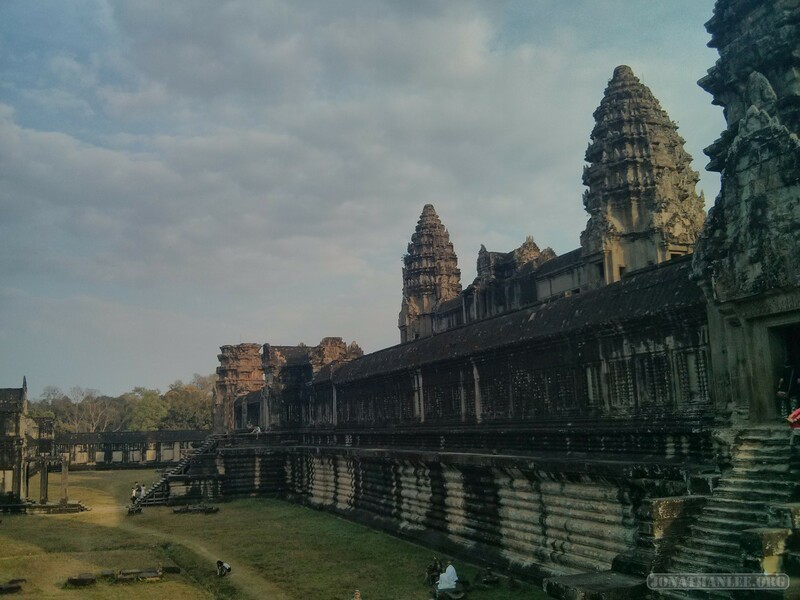 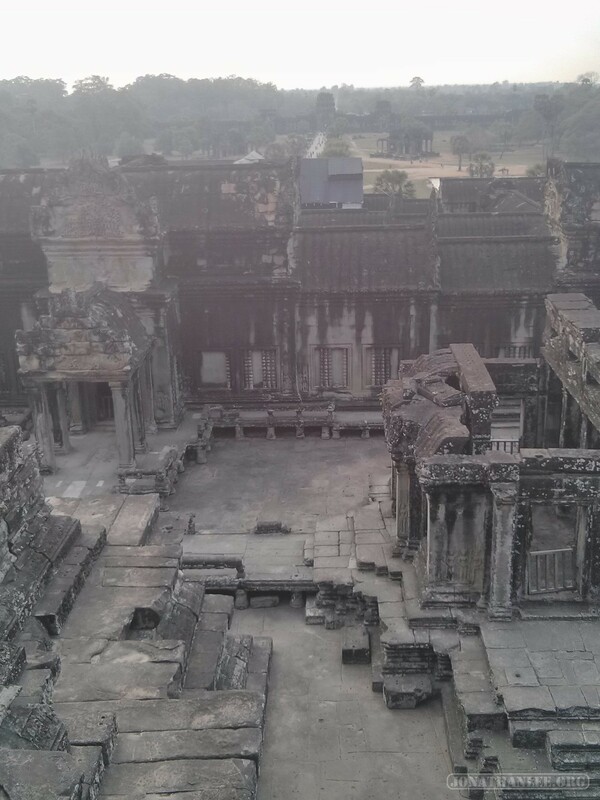 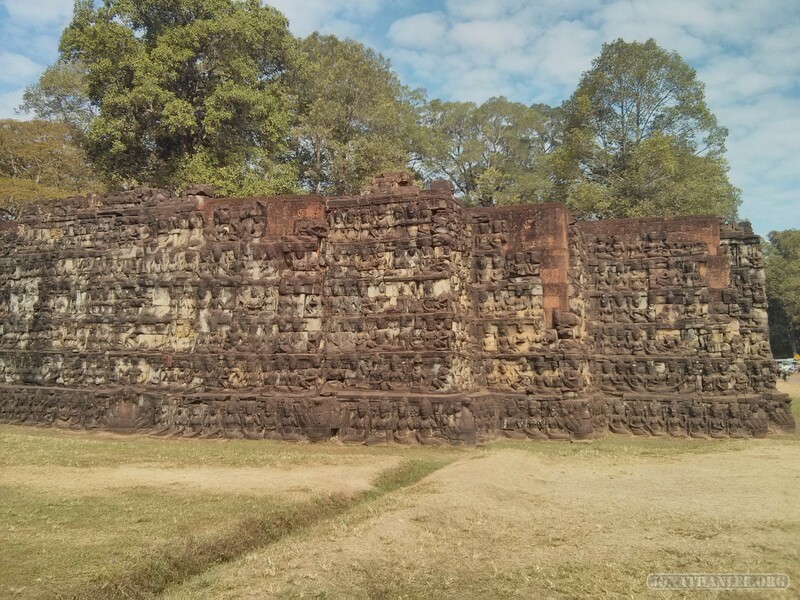 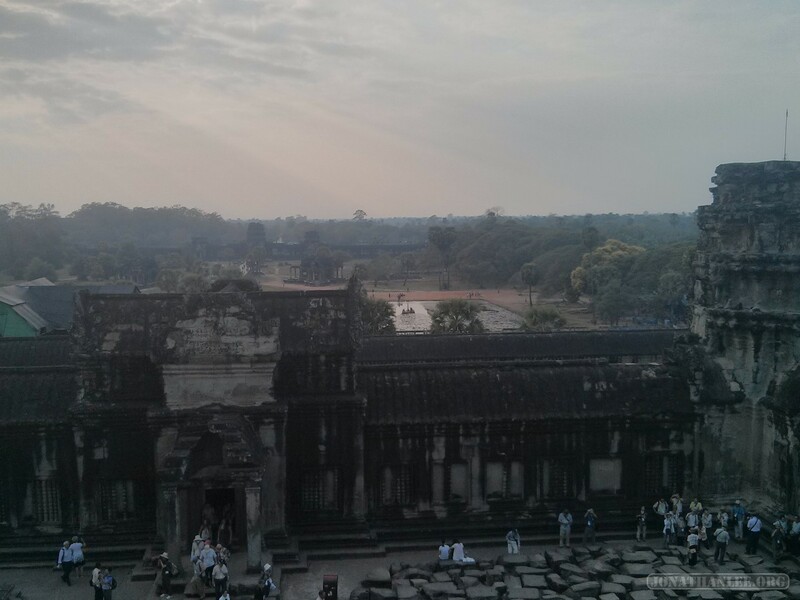 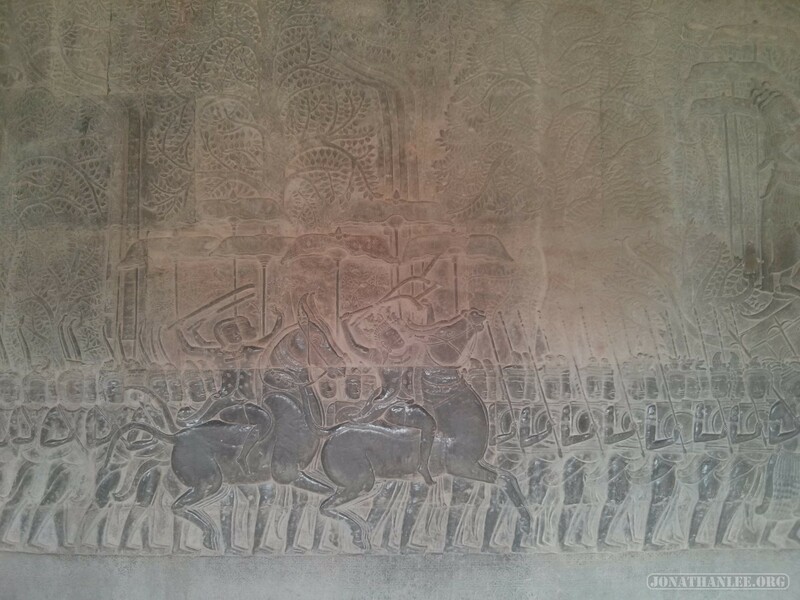 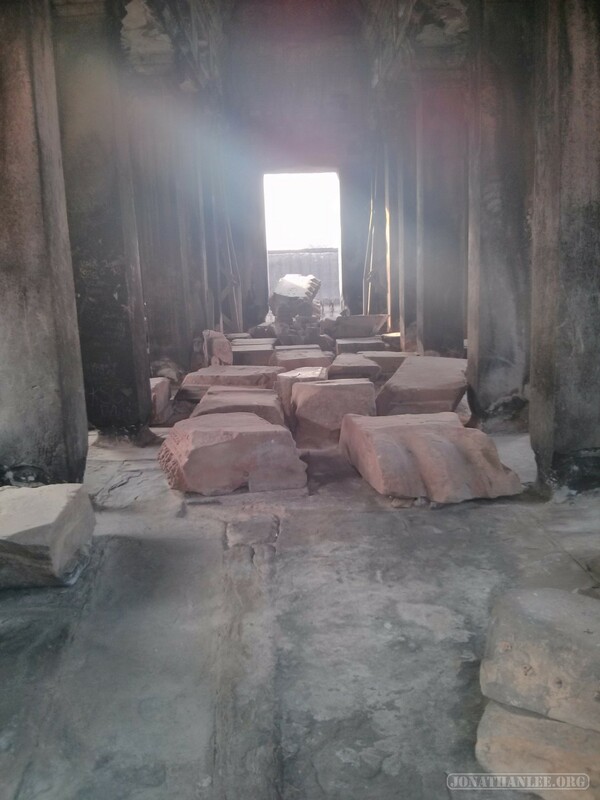 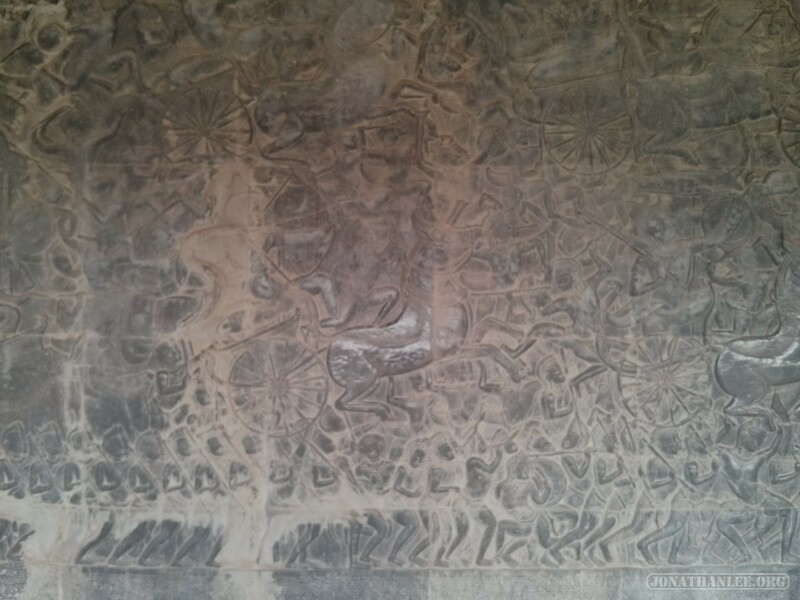 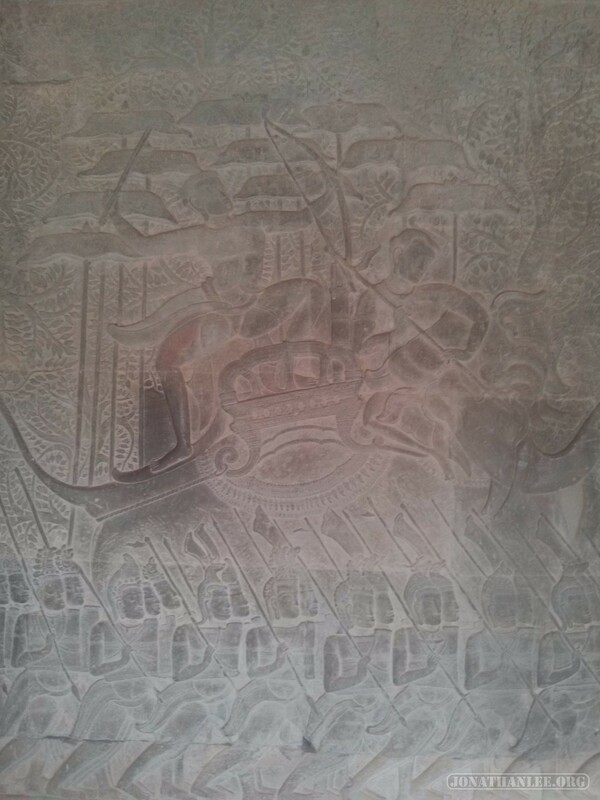 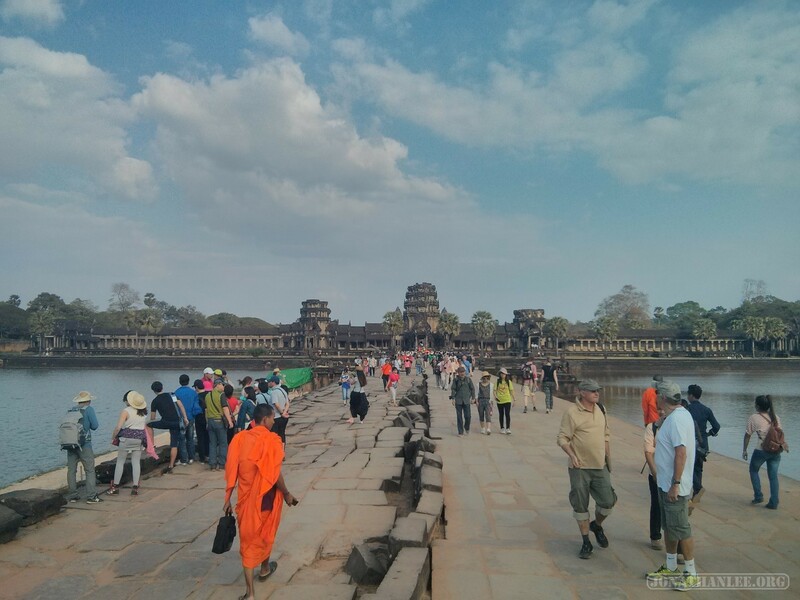 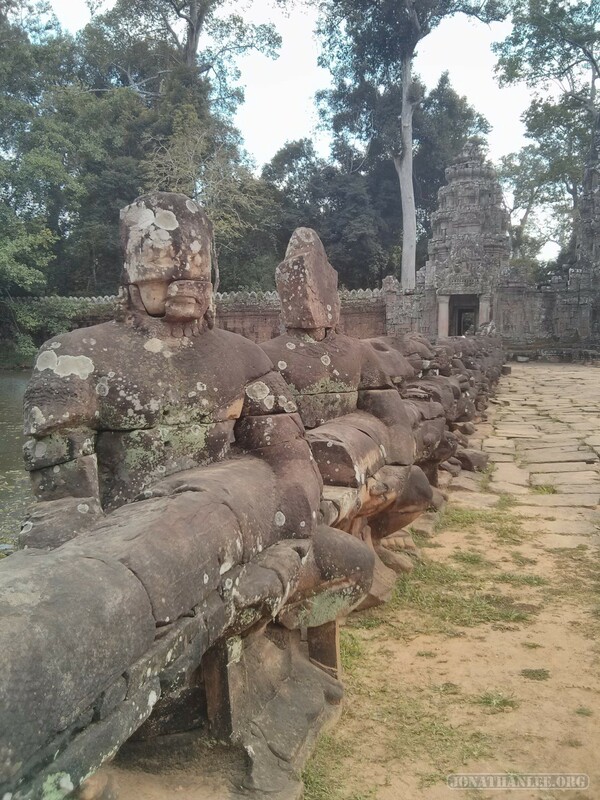 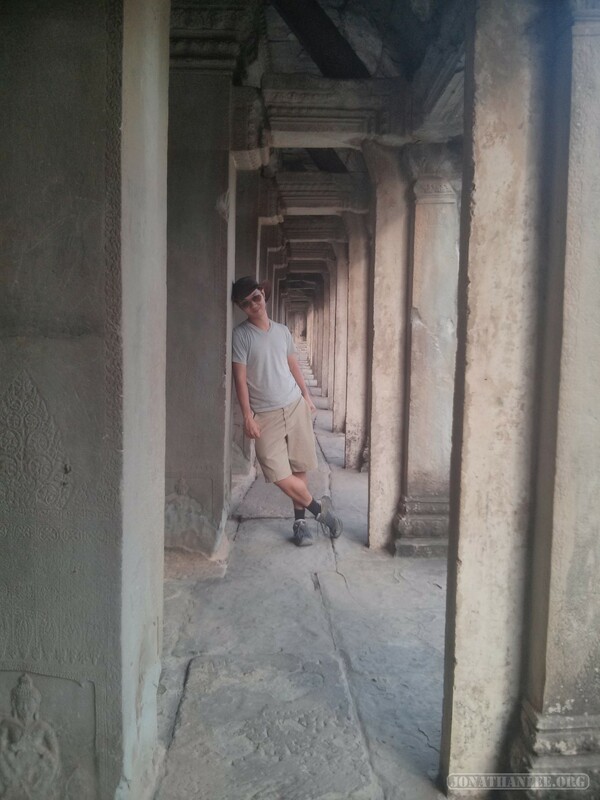 What struck me when walking around Angkor Wat, is how BIG it is. 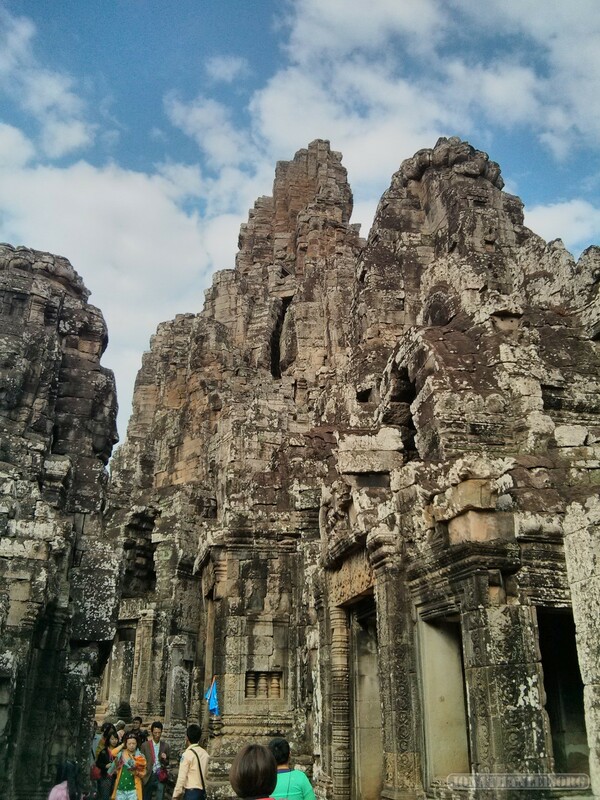 From the front, there are the seven iconic spires, and they look pretty huge. 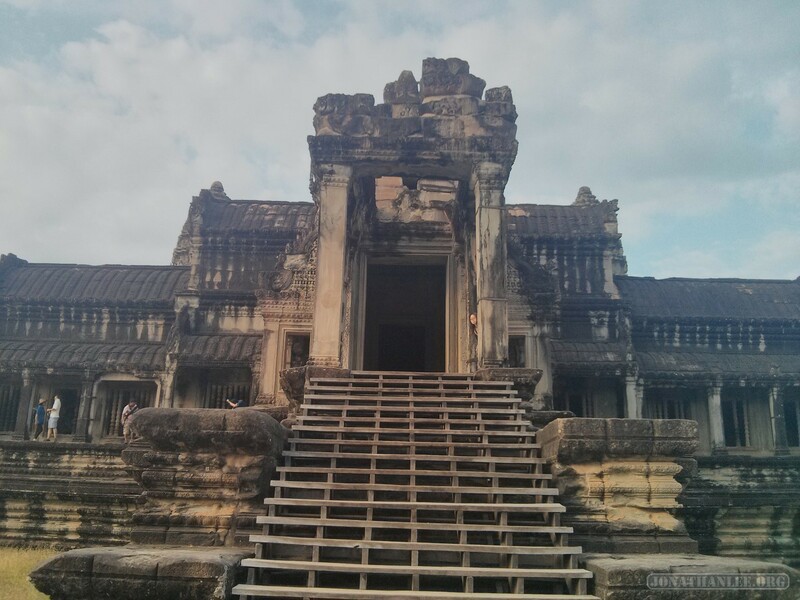 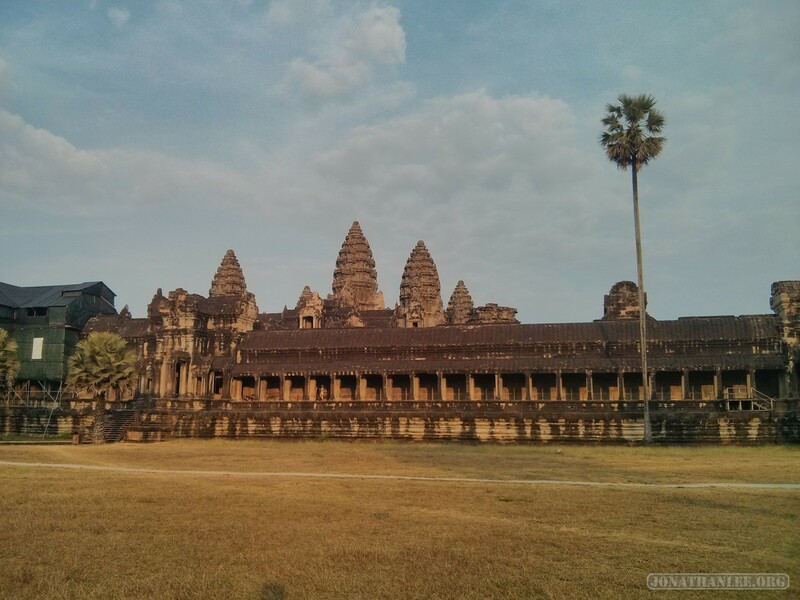 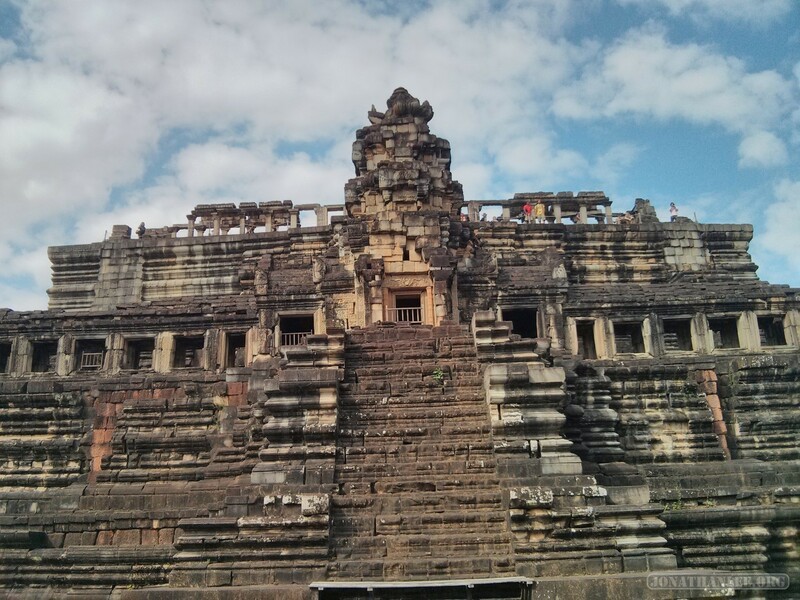 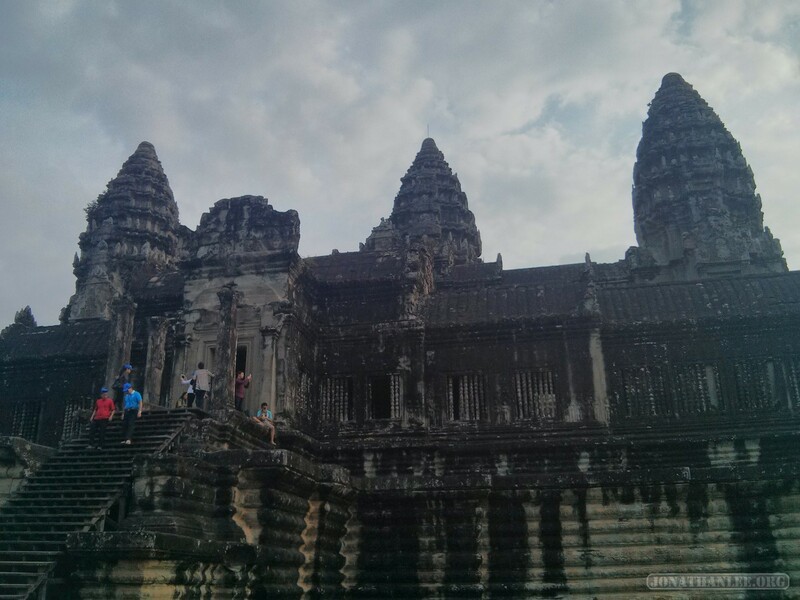 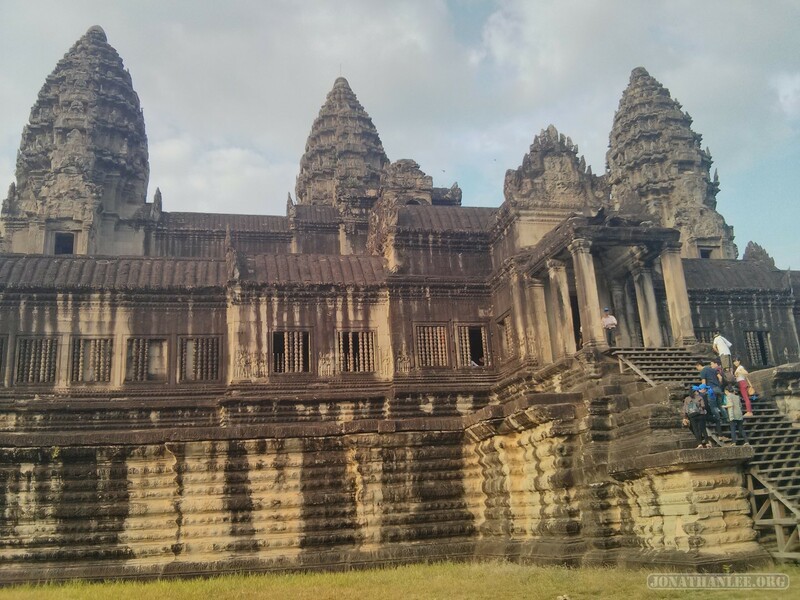 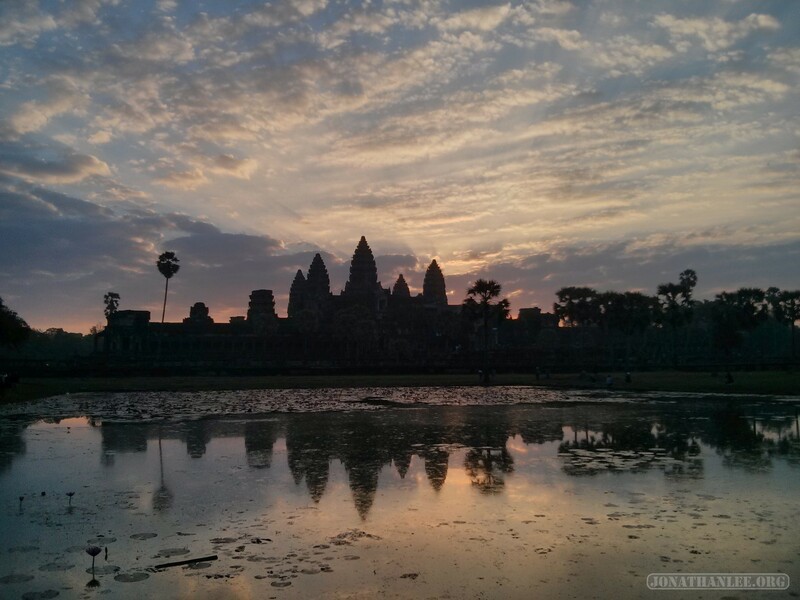 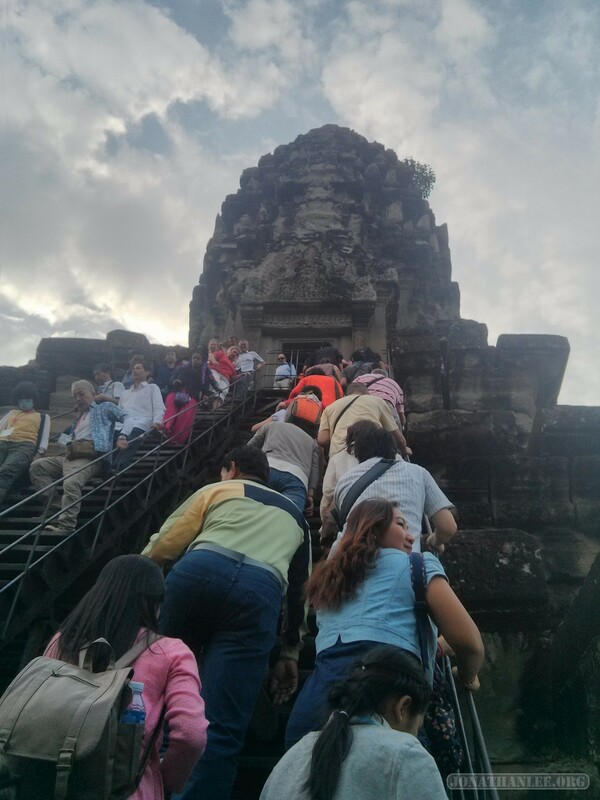 What’s not immediately obvious is that it isn’t just a facade – Angkor Wat is indeed enormous! 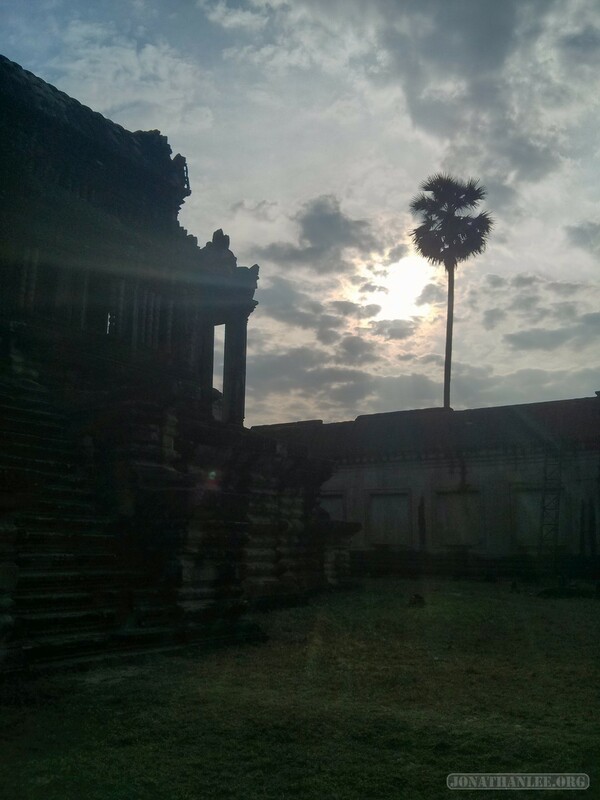 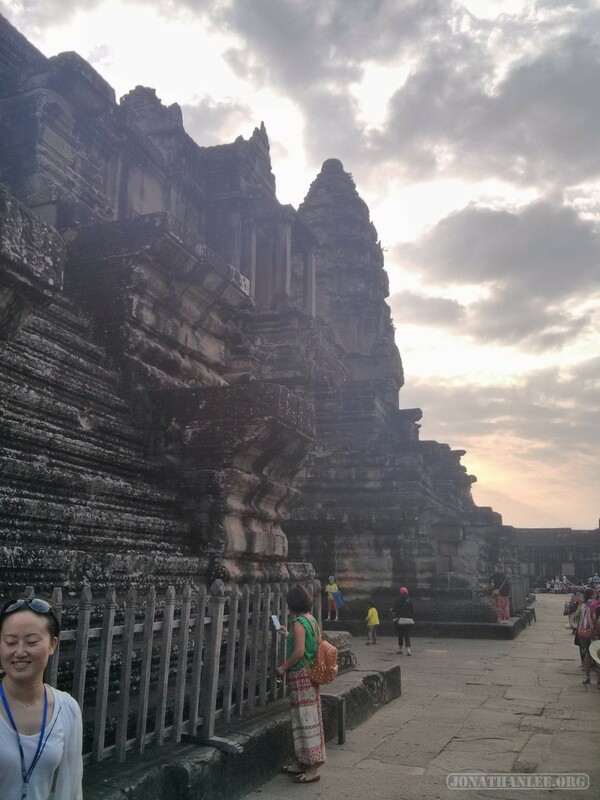 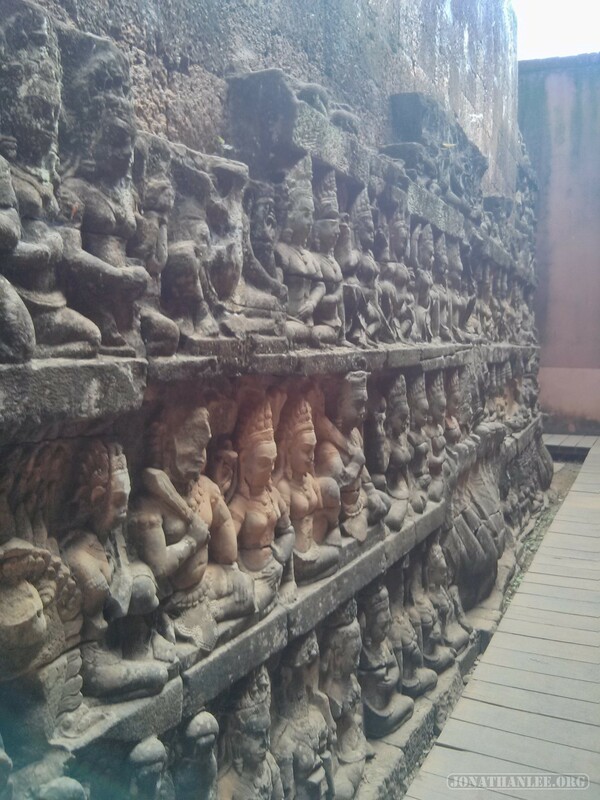 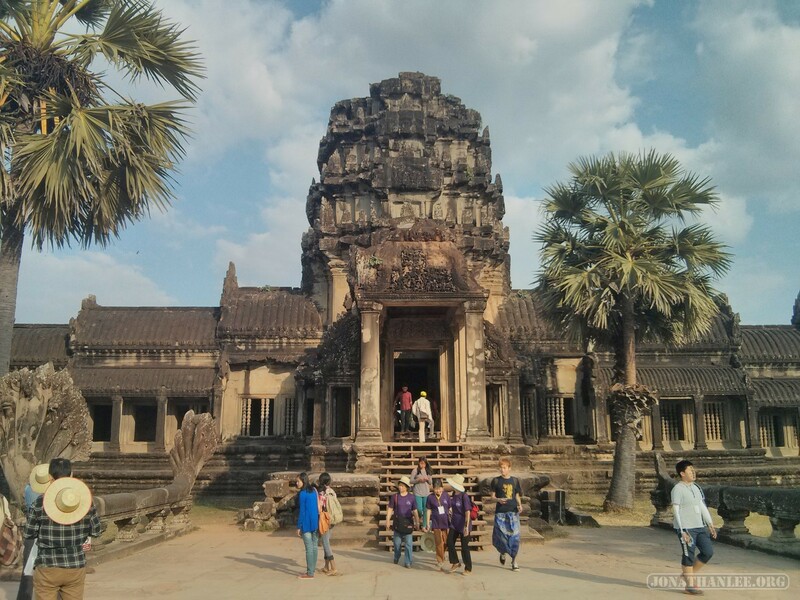 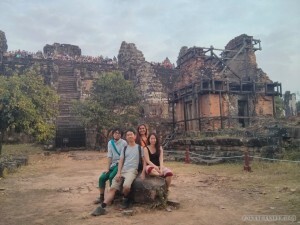 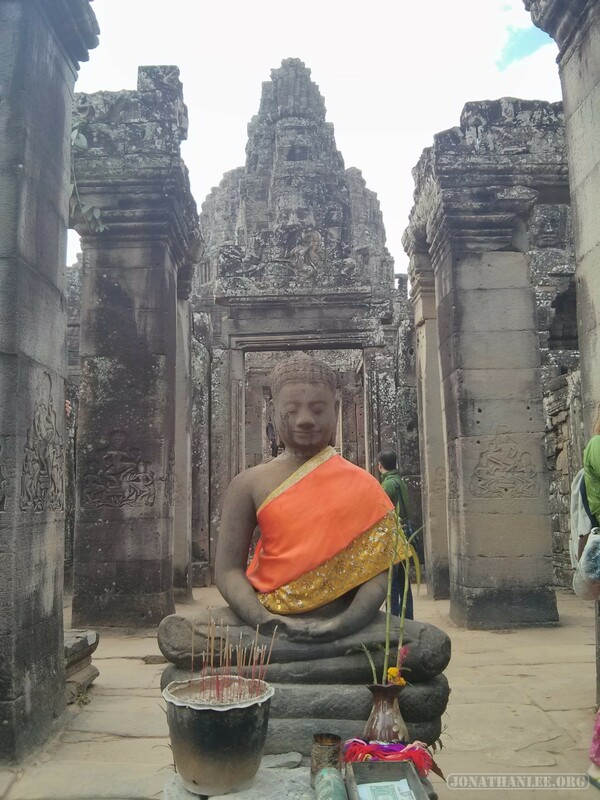 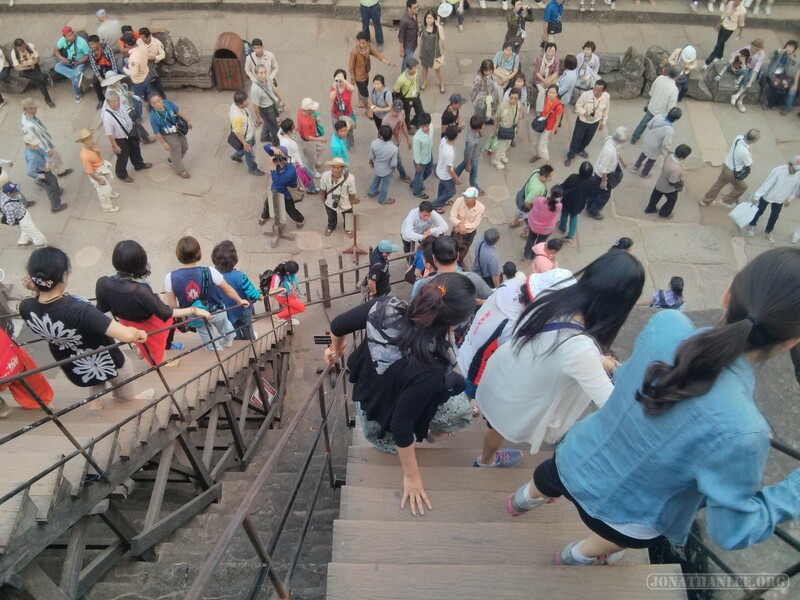 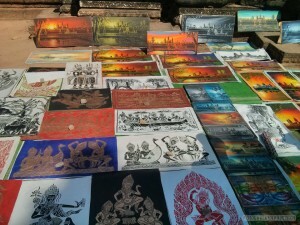 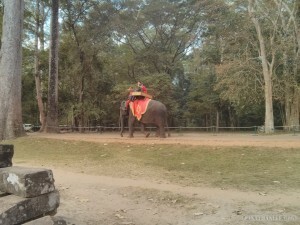 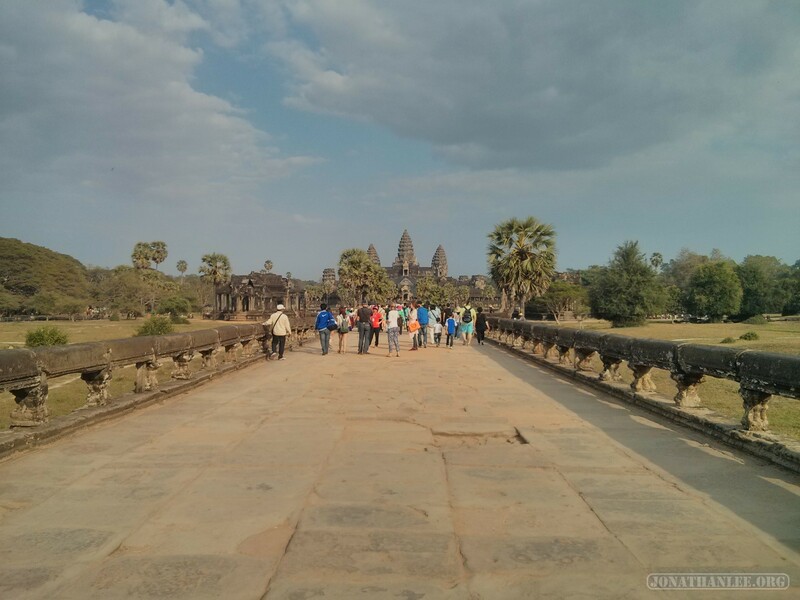 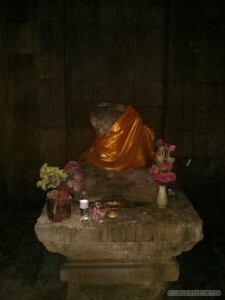 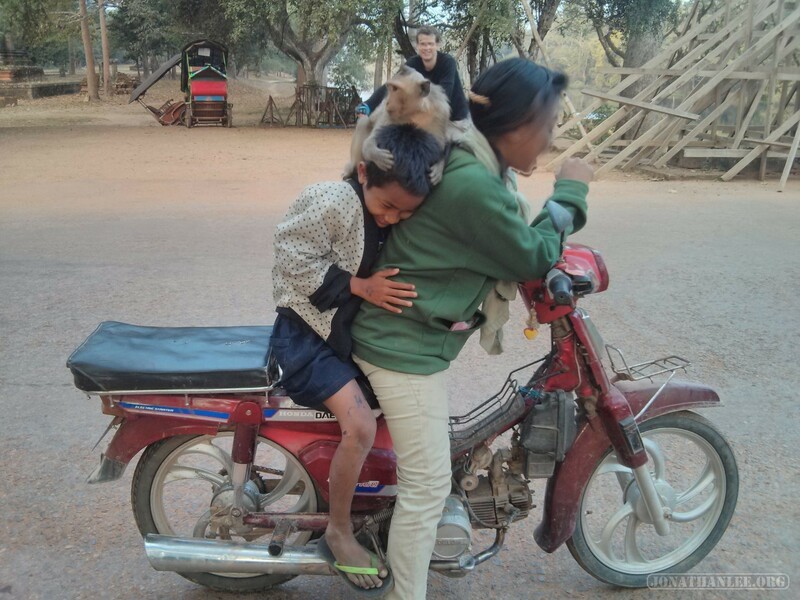 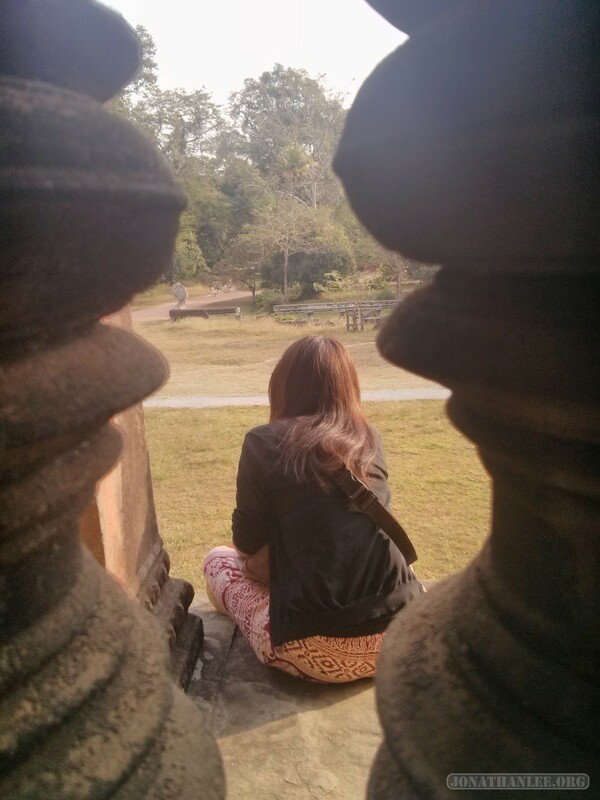 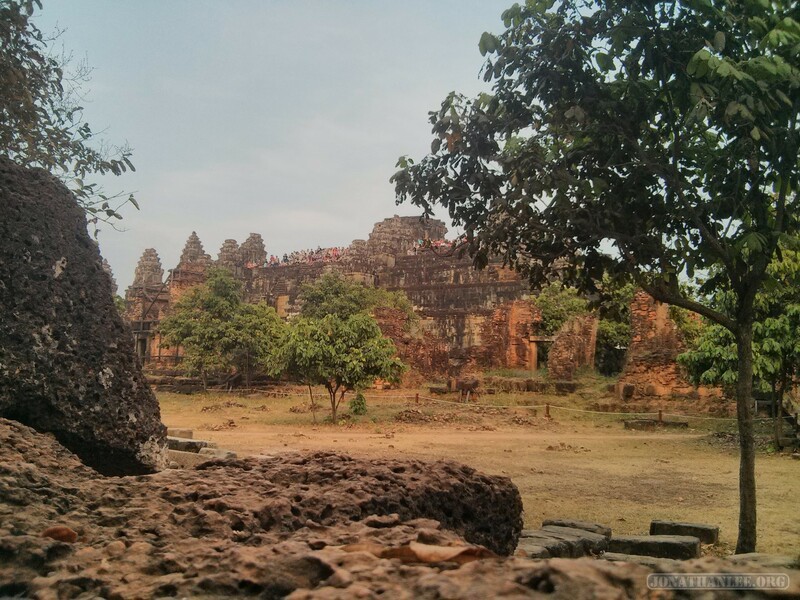 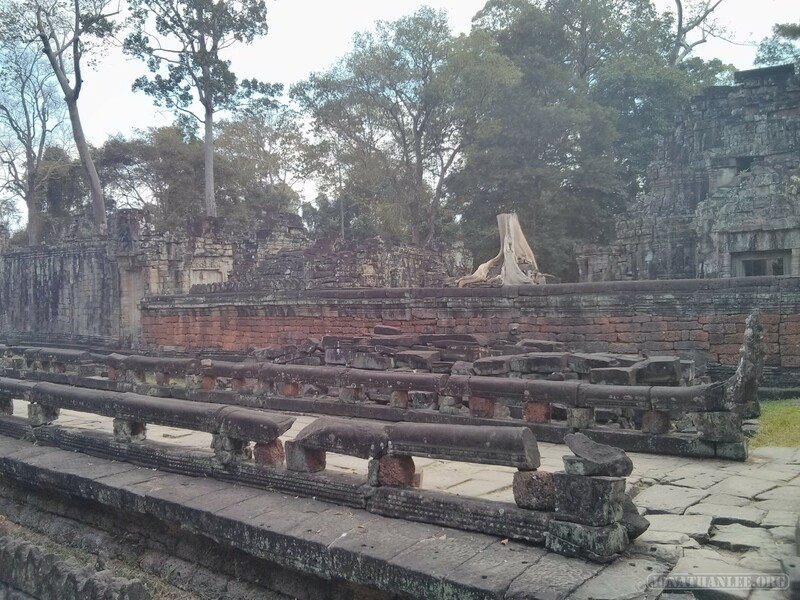 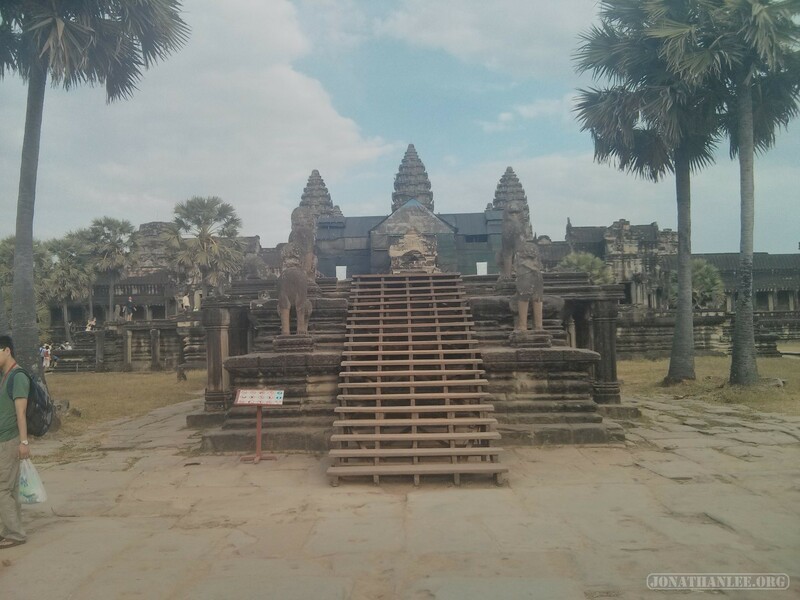 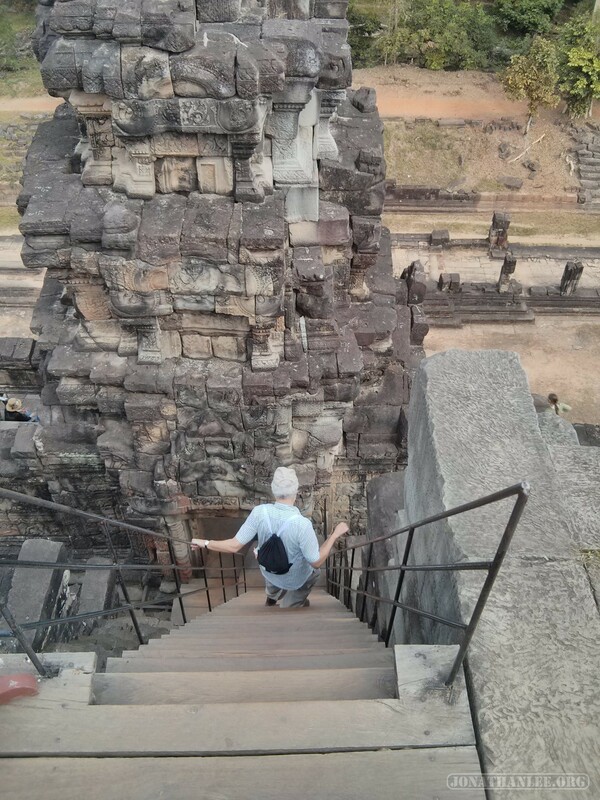 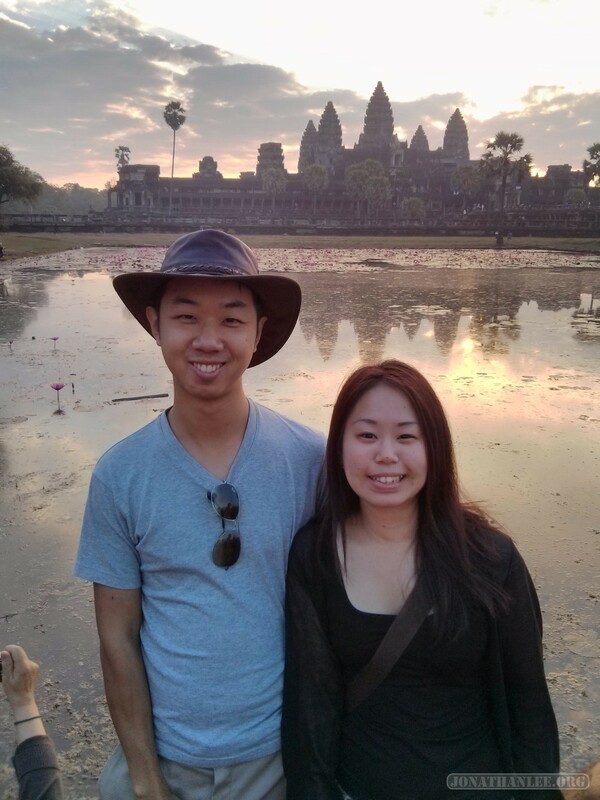 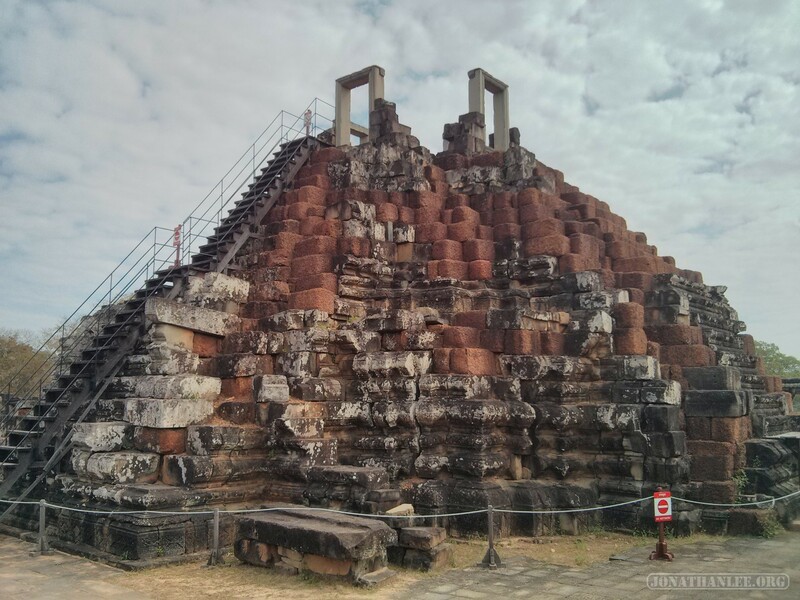 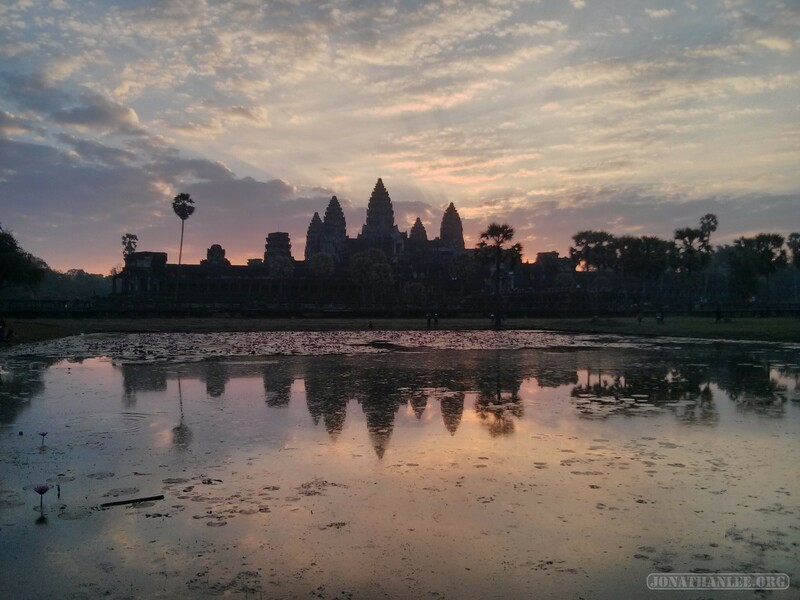 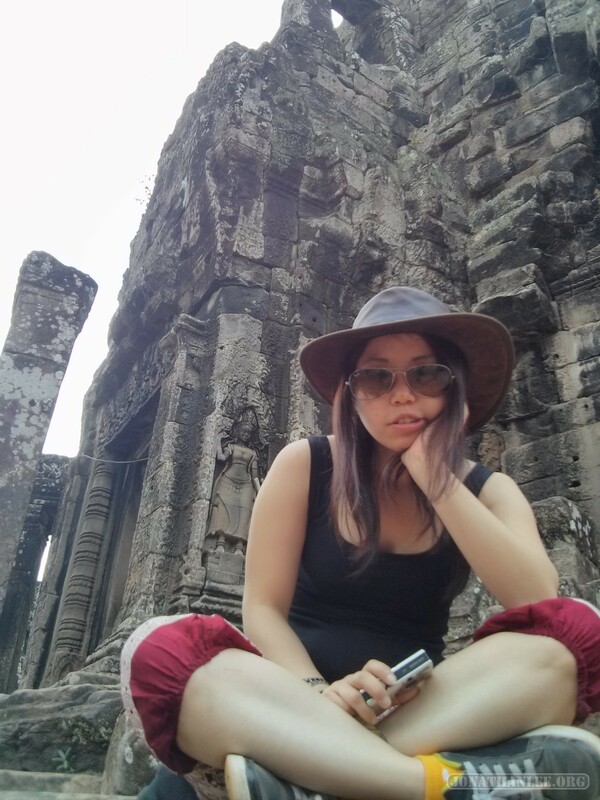 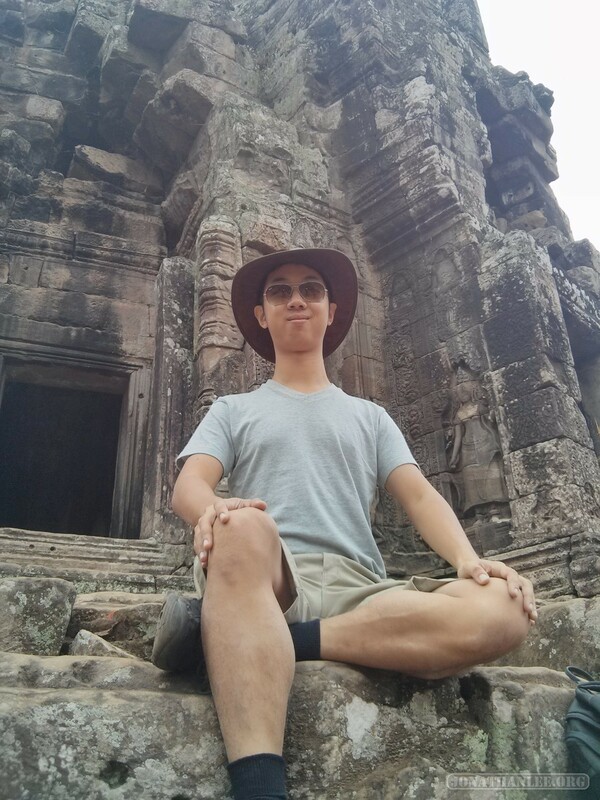 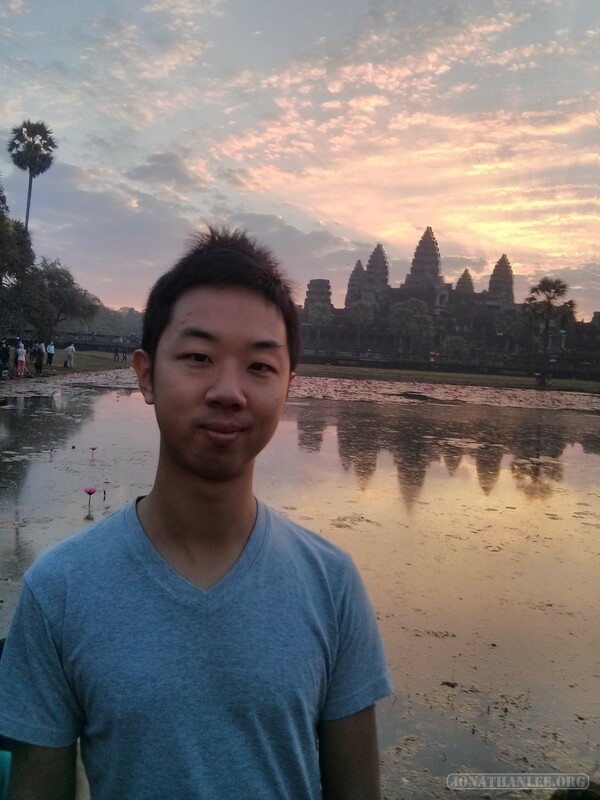 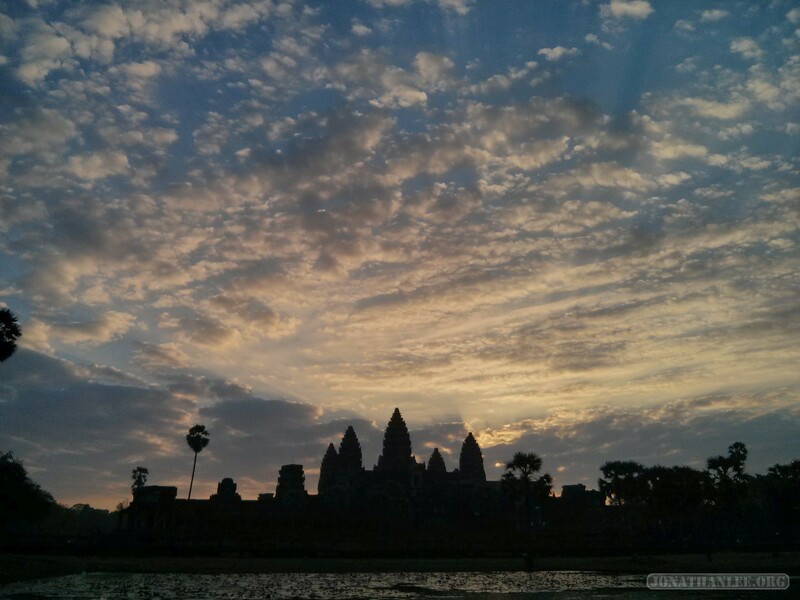 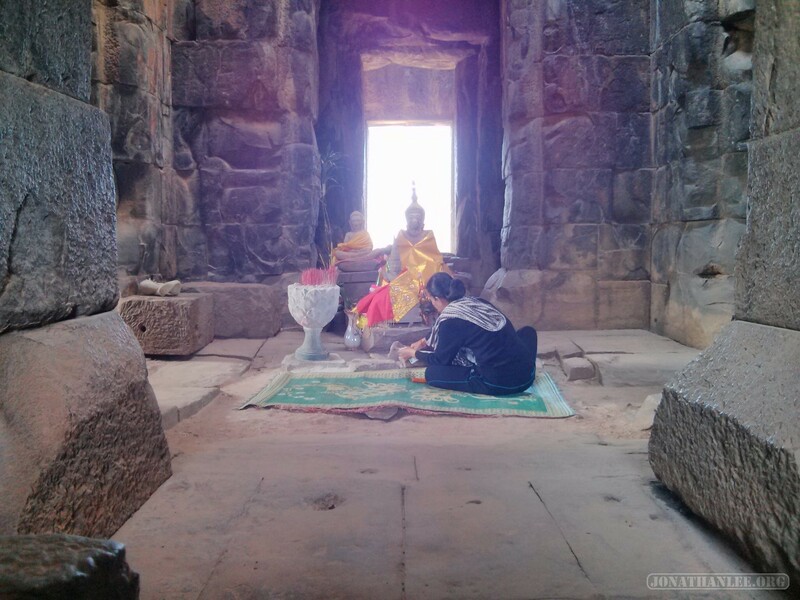 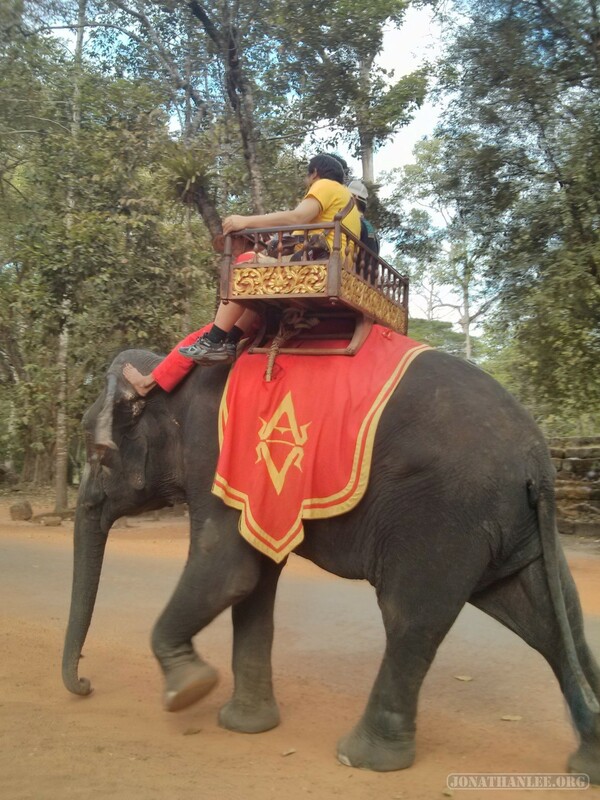 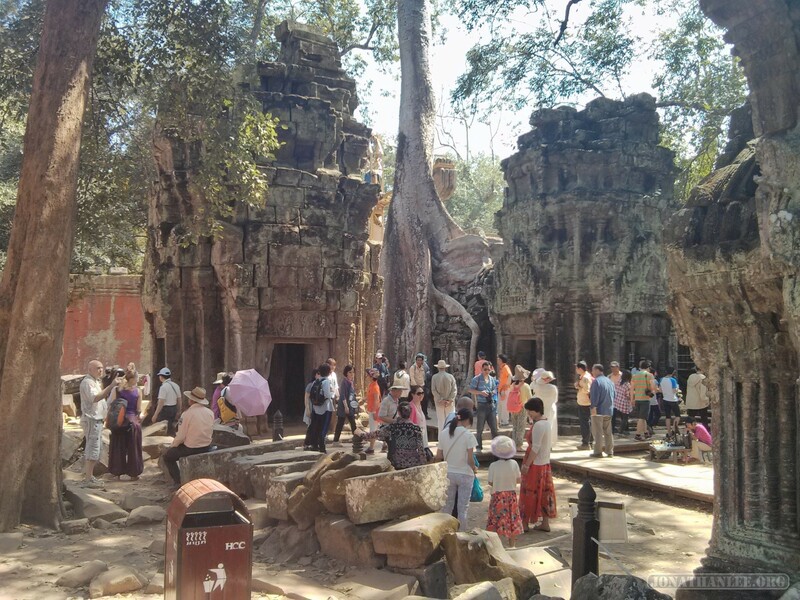 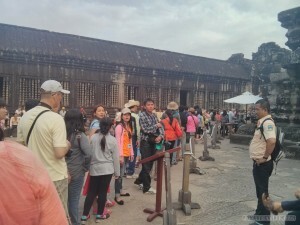 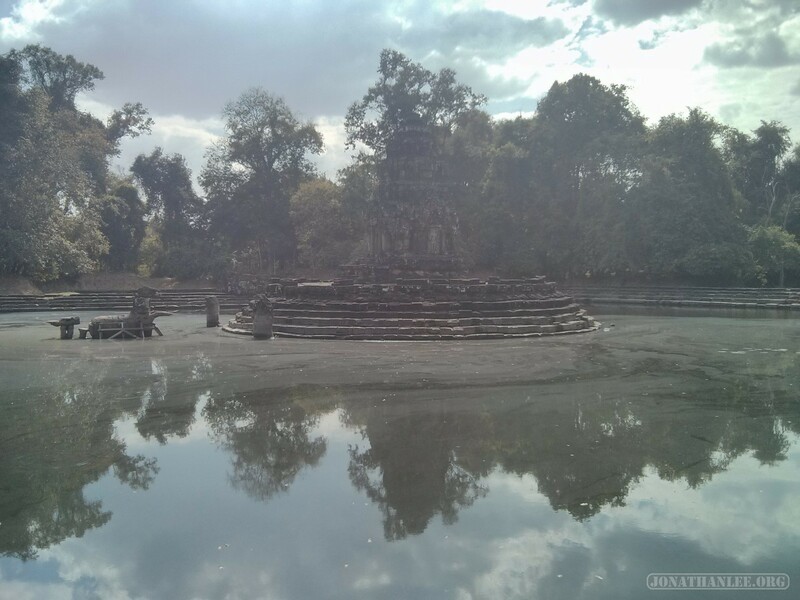 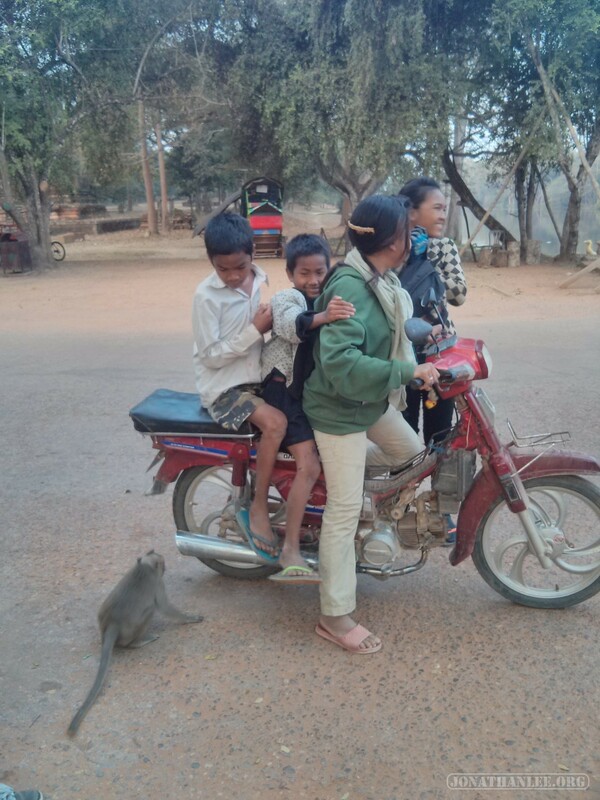 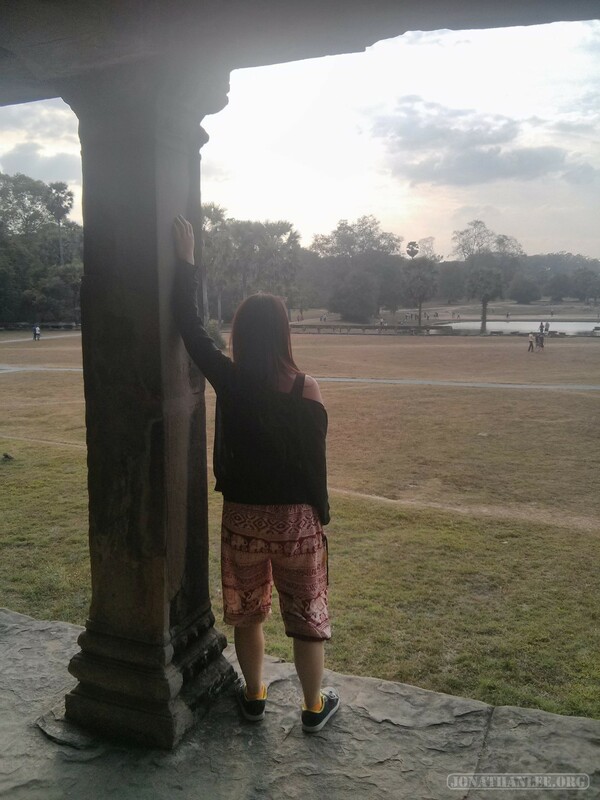 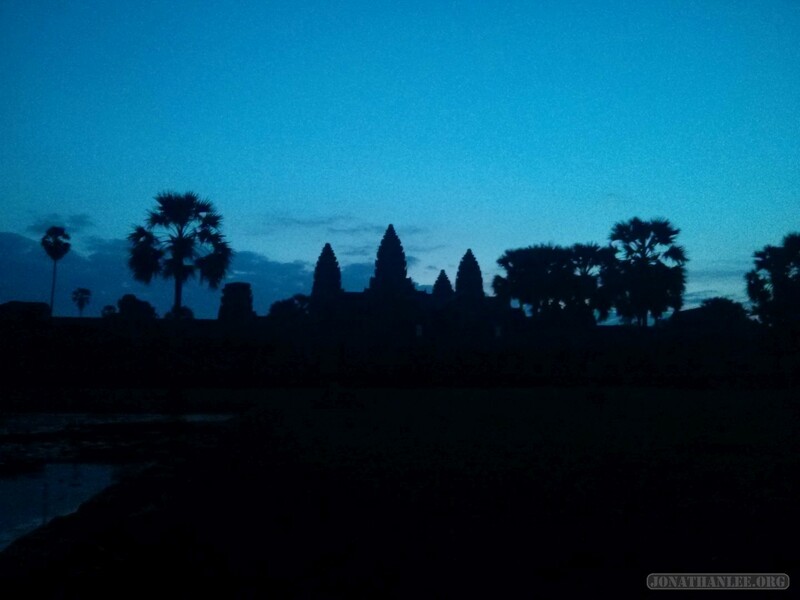 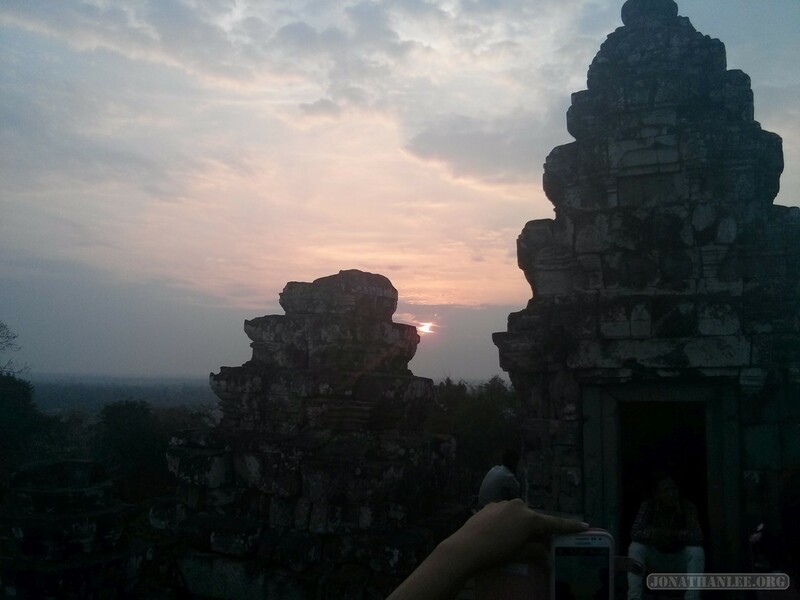 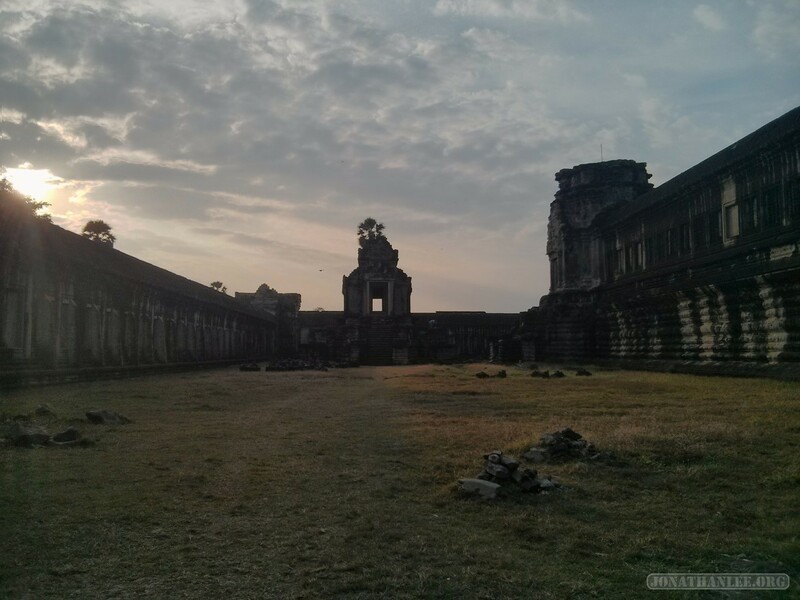 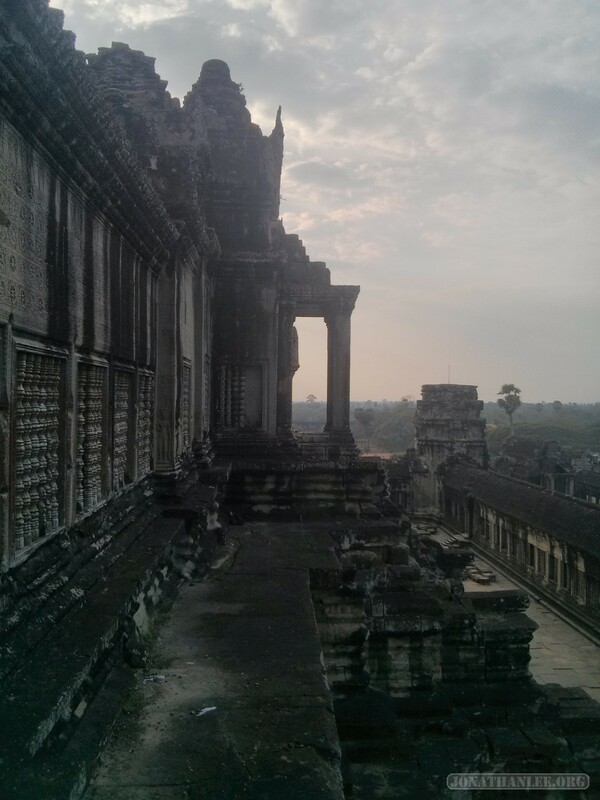 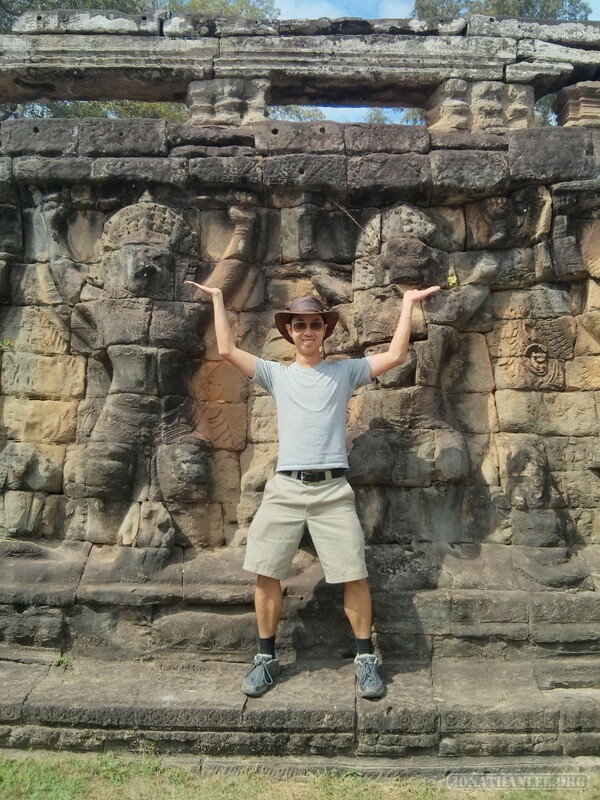 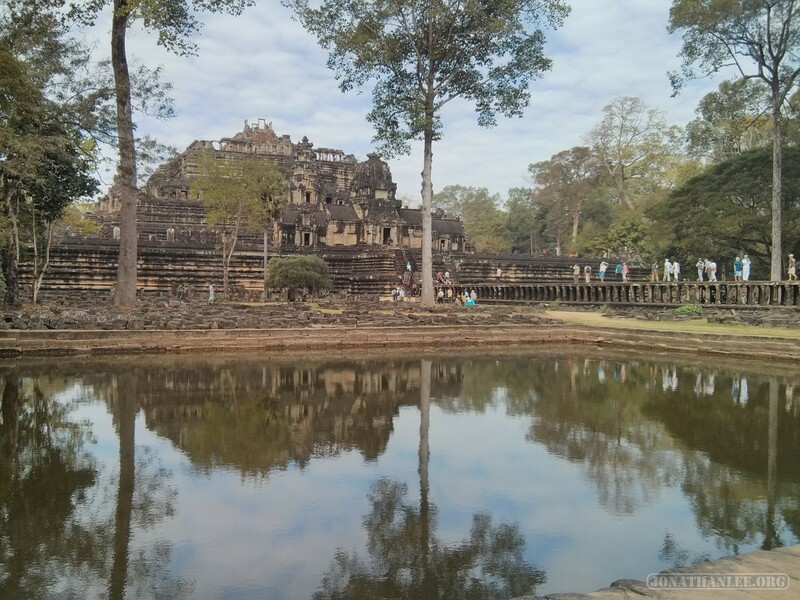 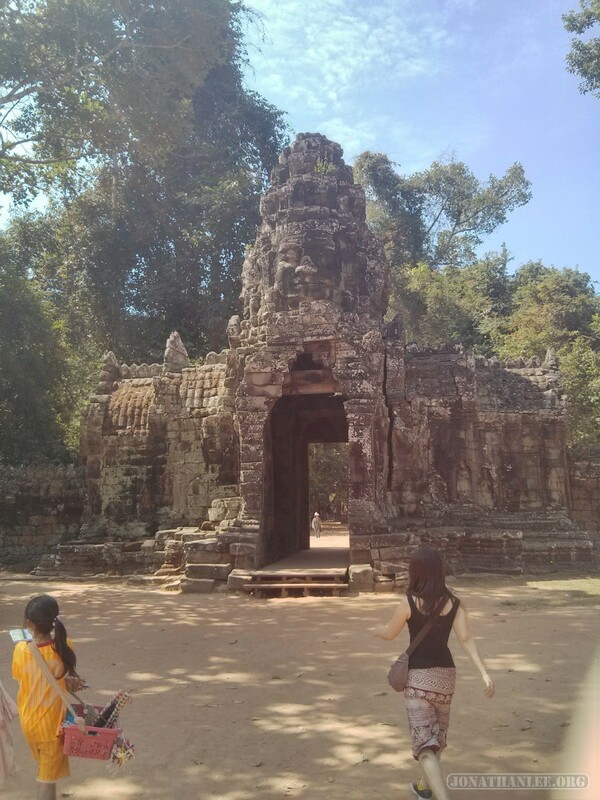 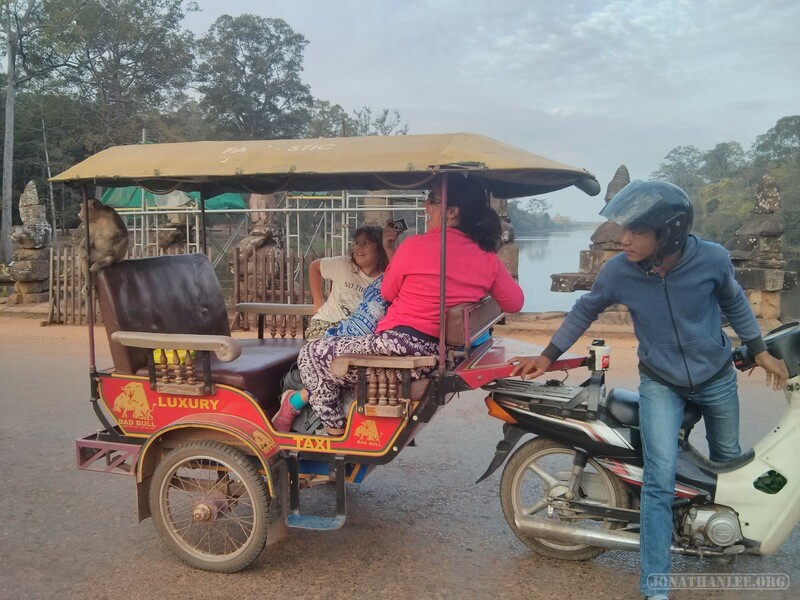 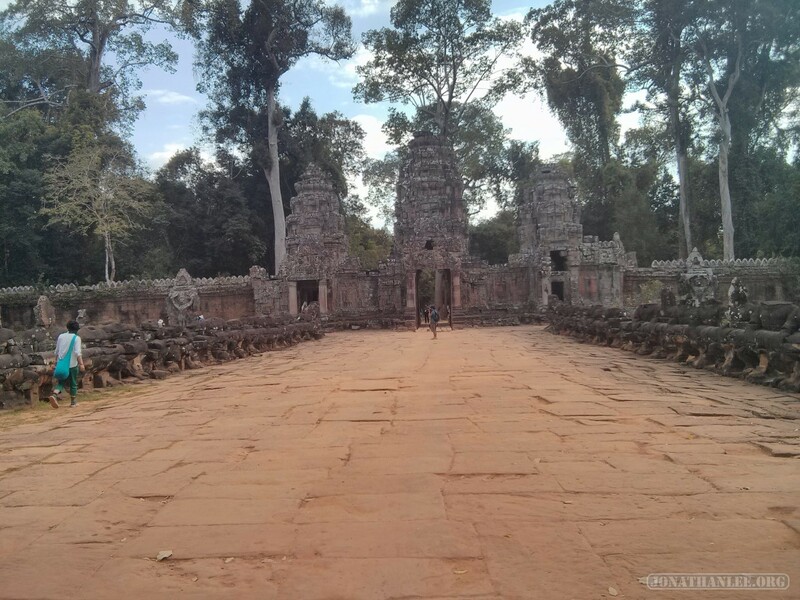 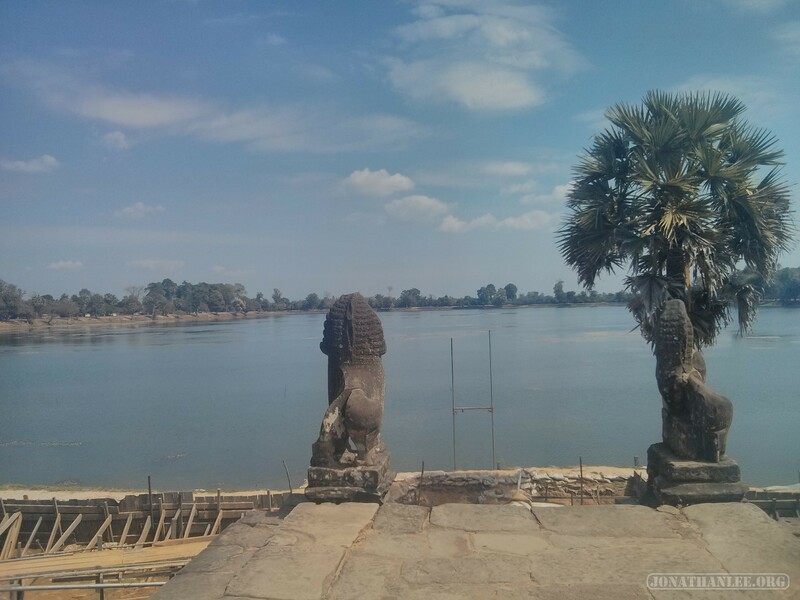 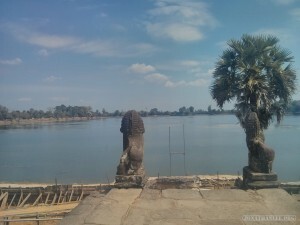 – Introducing Sayaka, my travel companion for Angkor Wat. I took and really liked these photos!